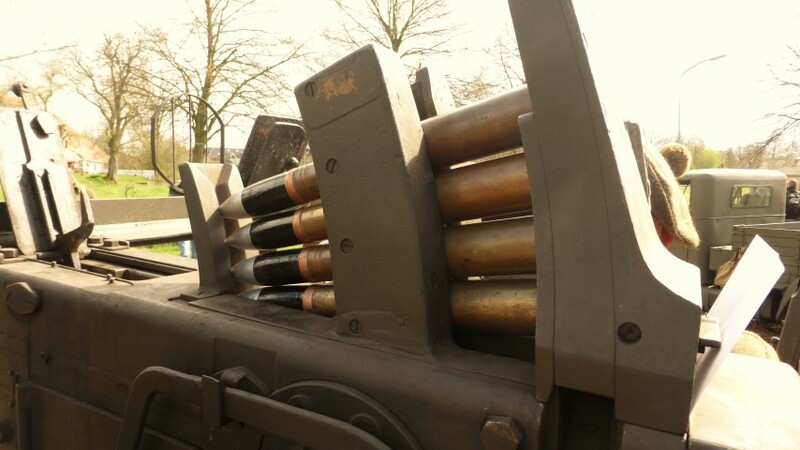 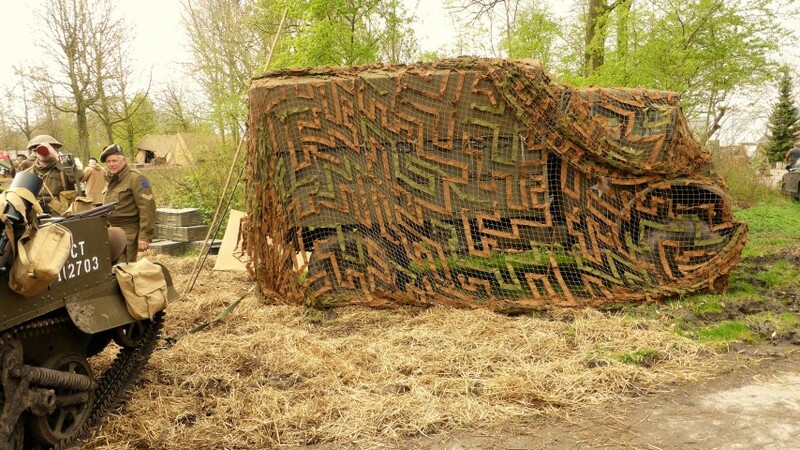 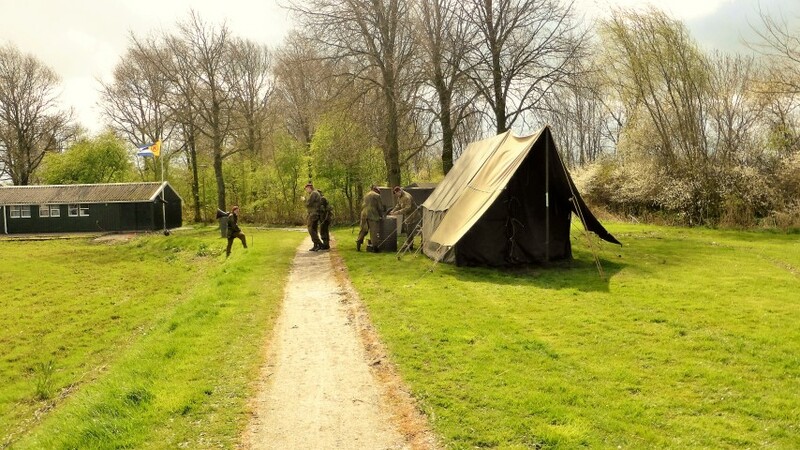 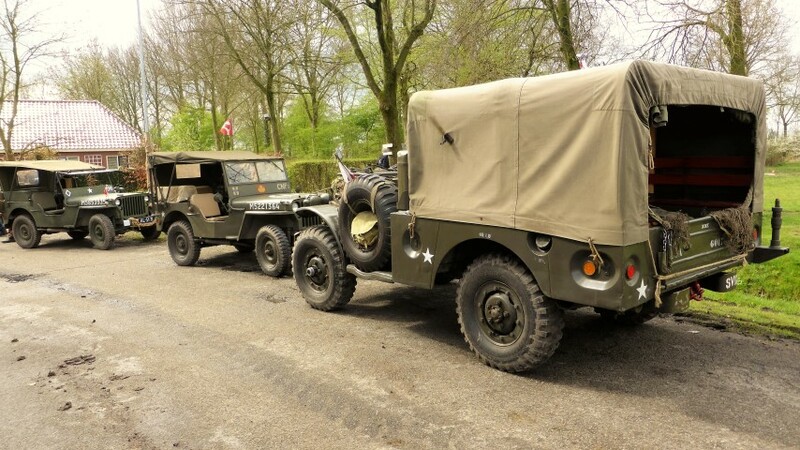 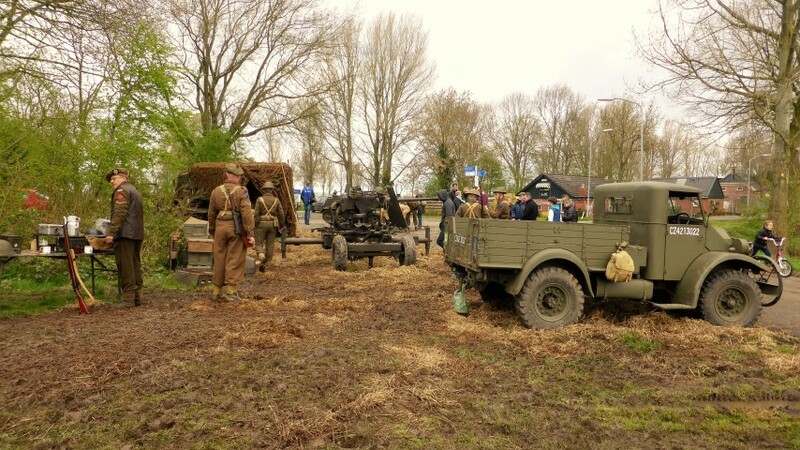 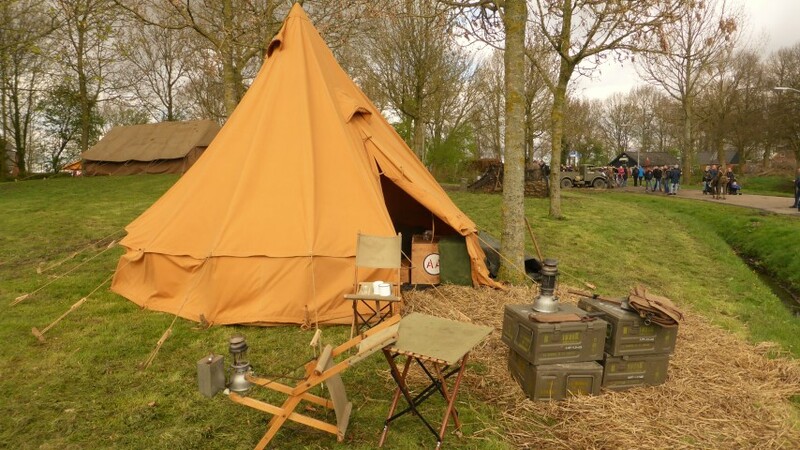 On Saturday 16 and Sunday, April 17th, 2016 we attended an impressive event at the village Spijk (Groningen). 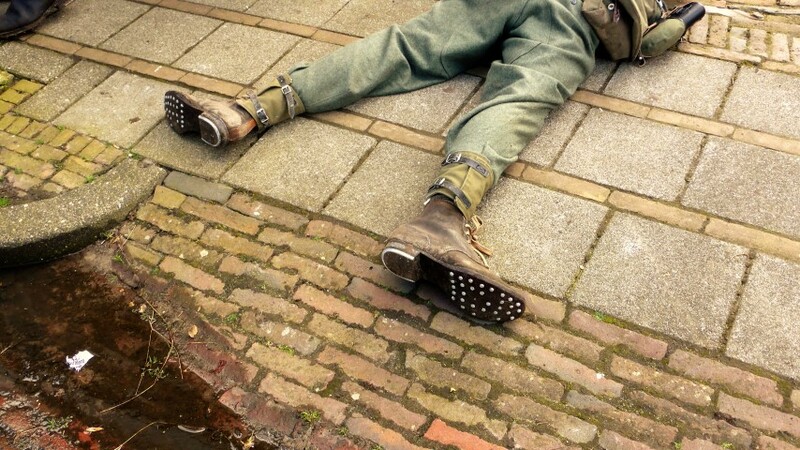 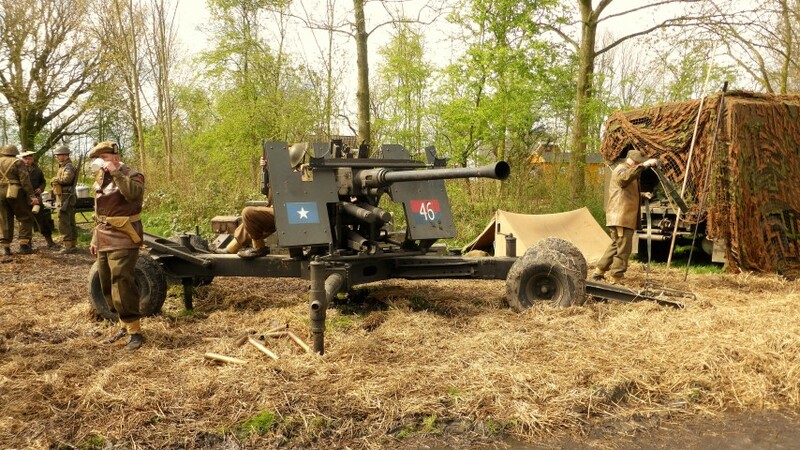 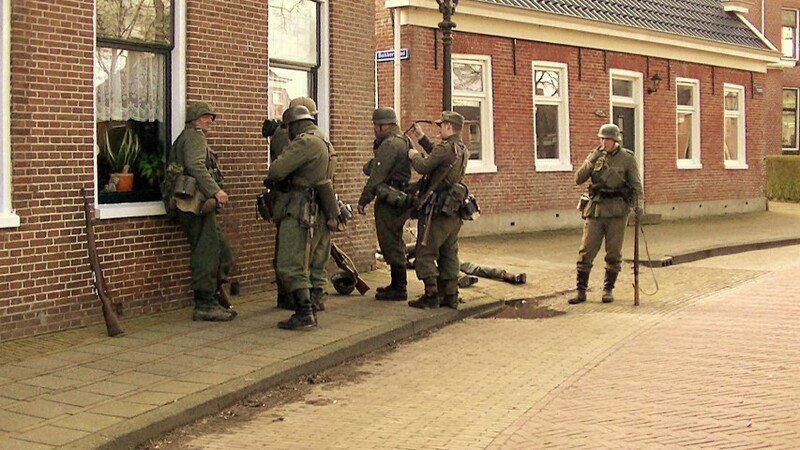 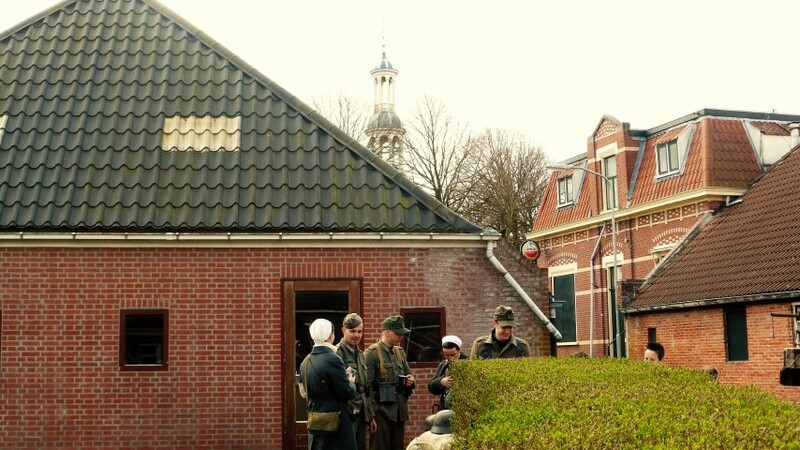 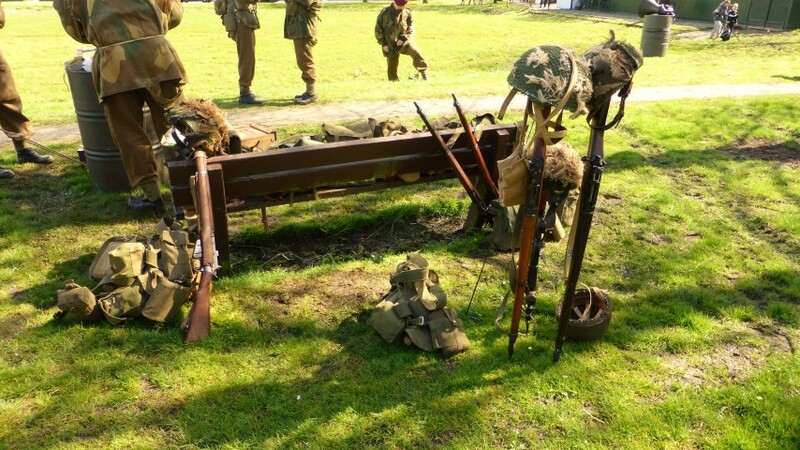 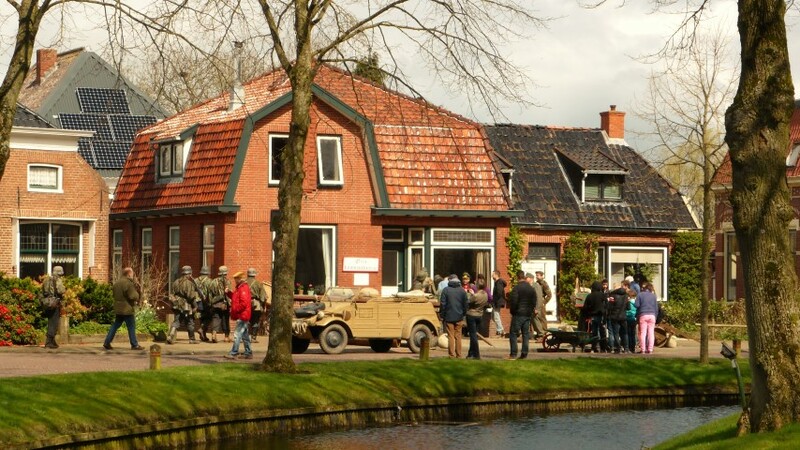 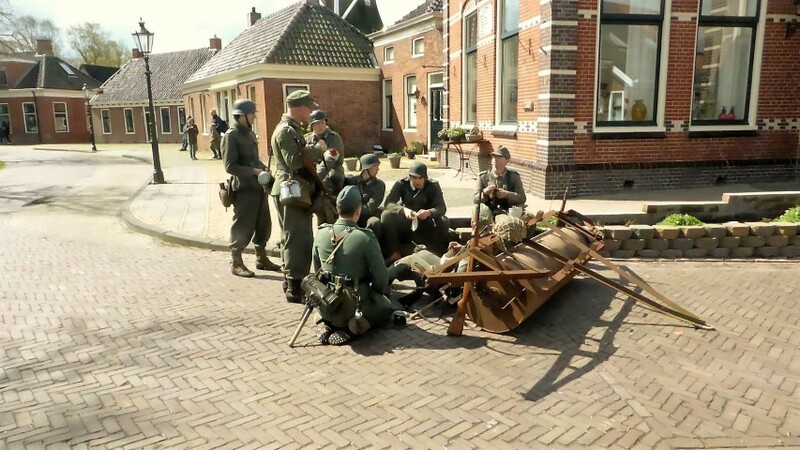 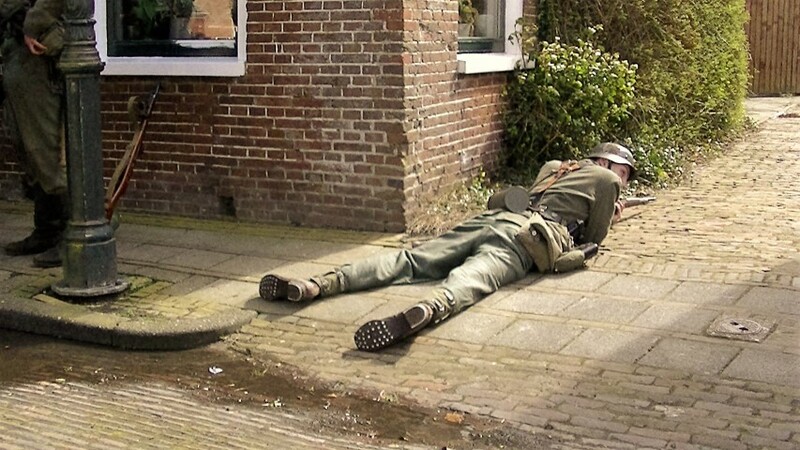 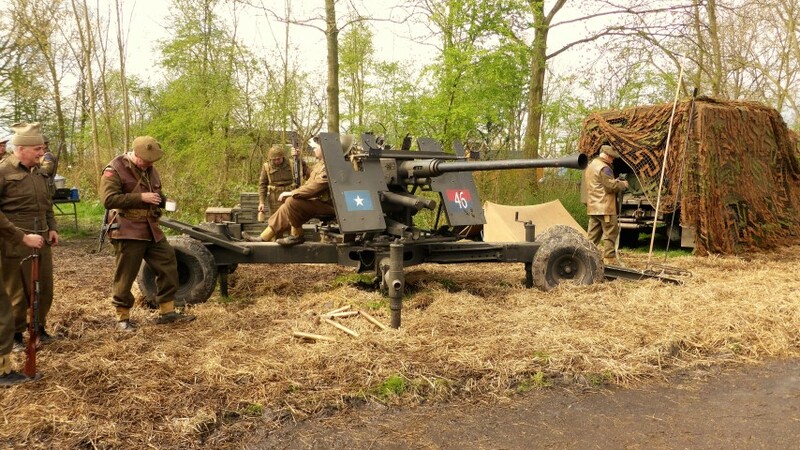 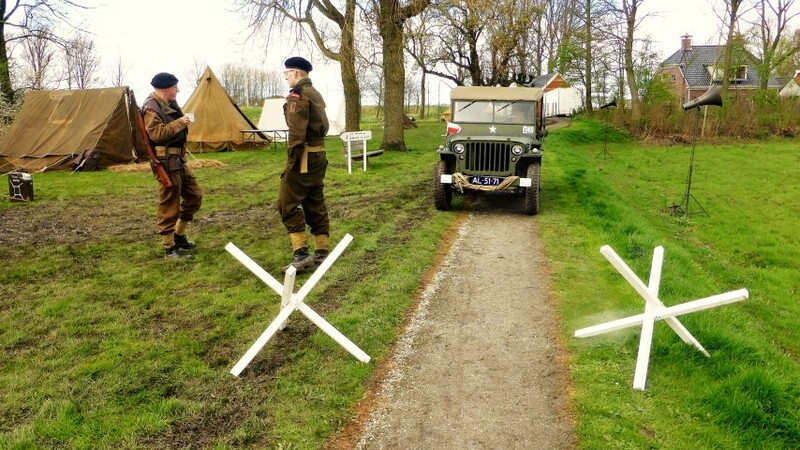 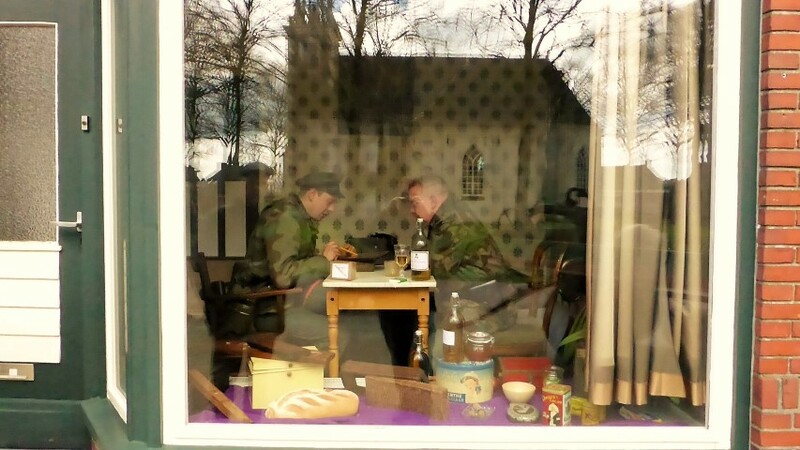 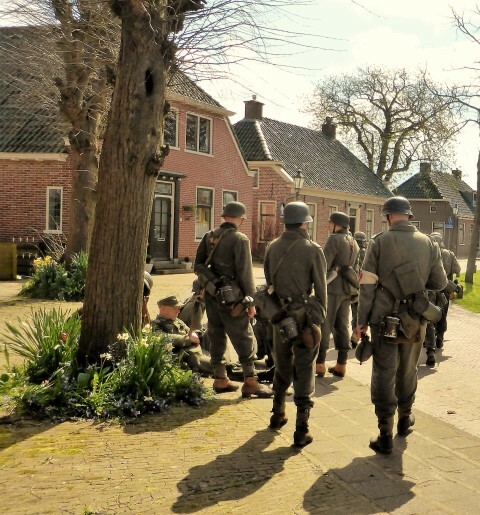 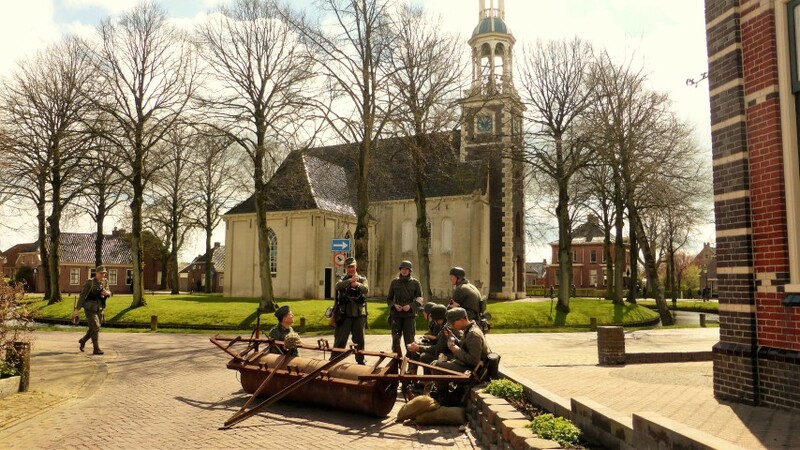 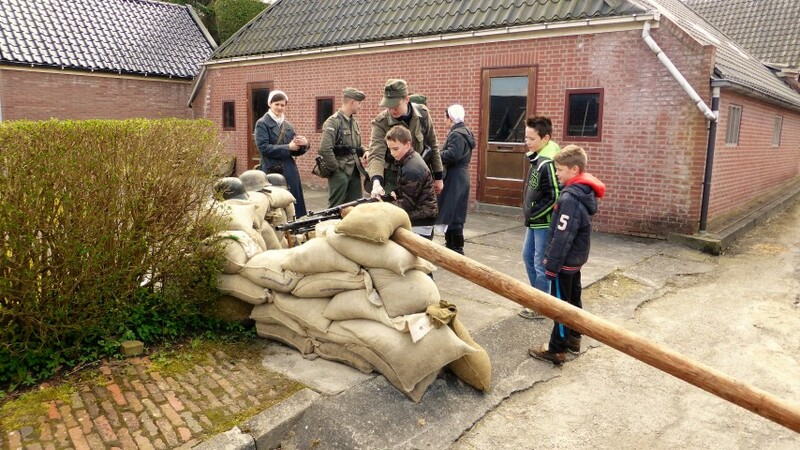 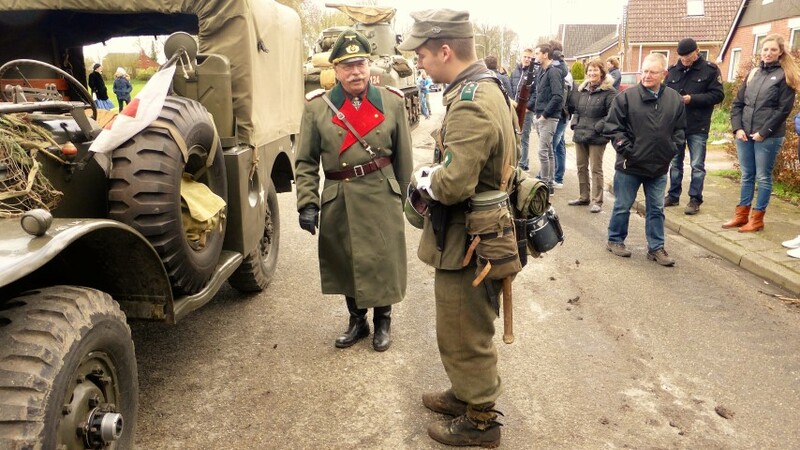 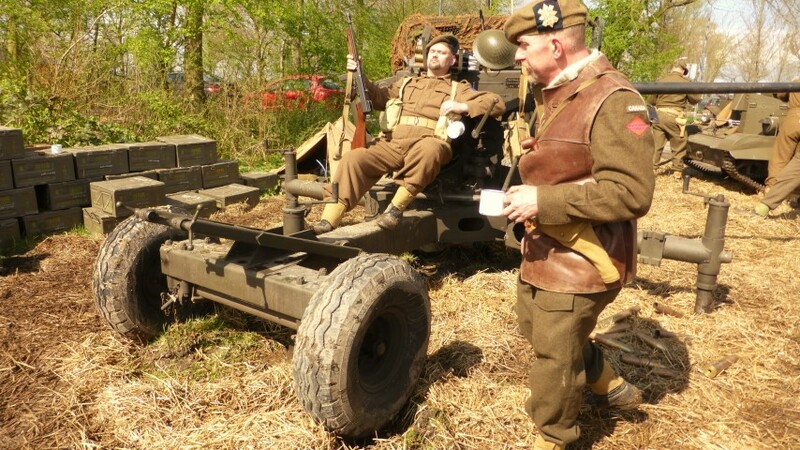 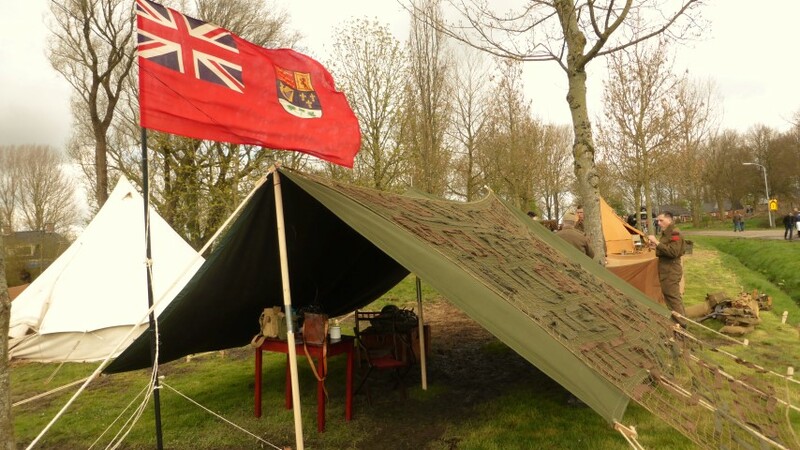 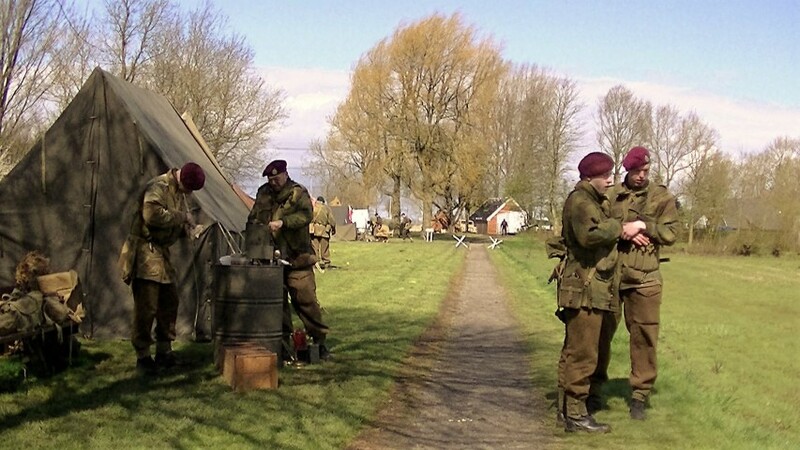 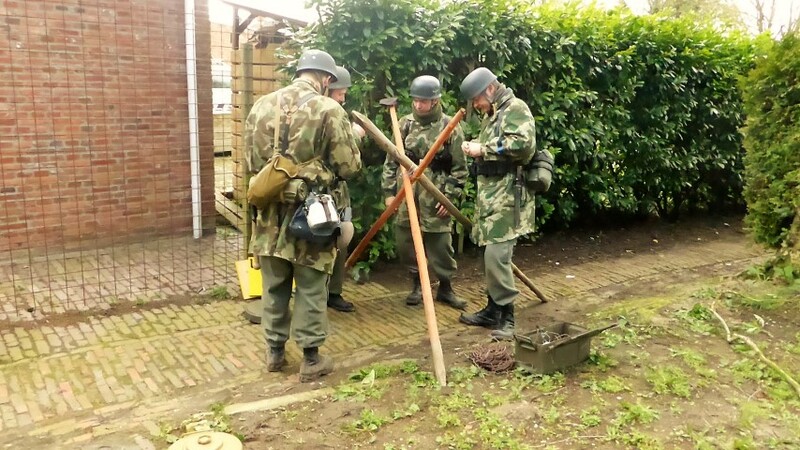 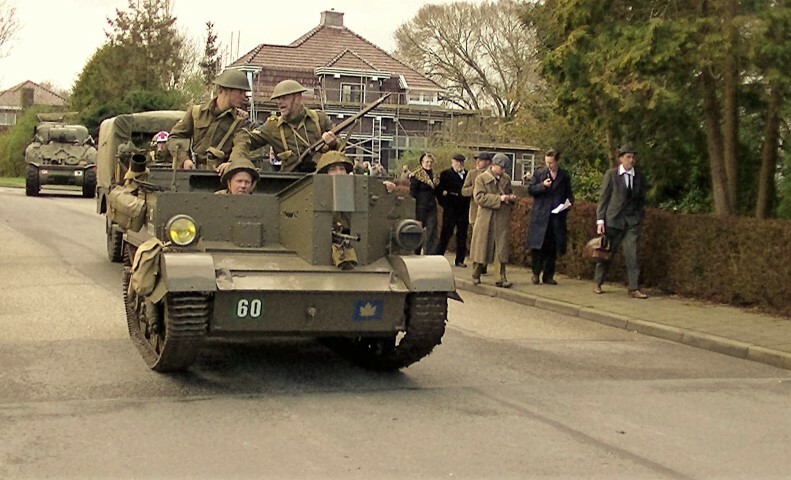 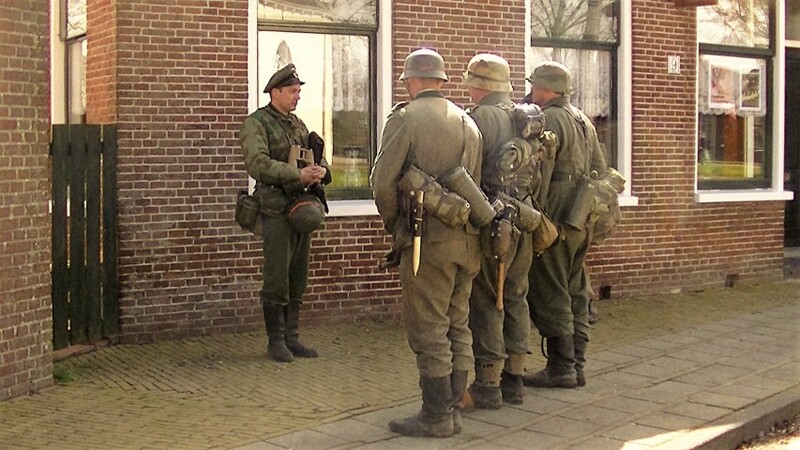 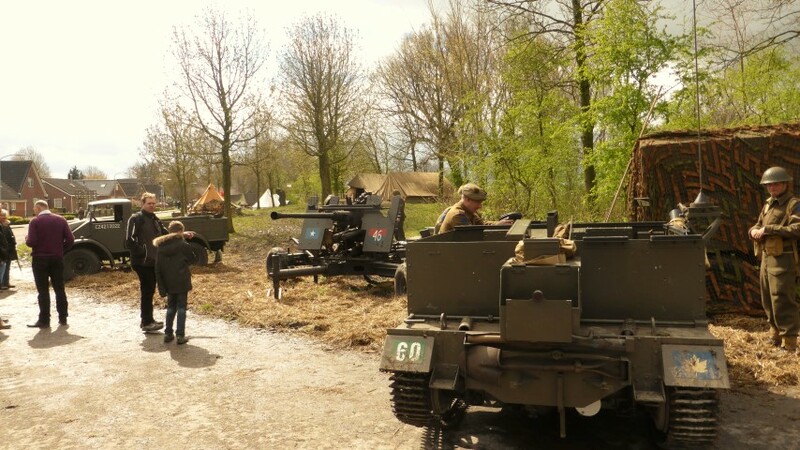 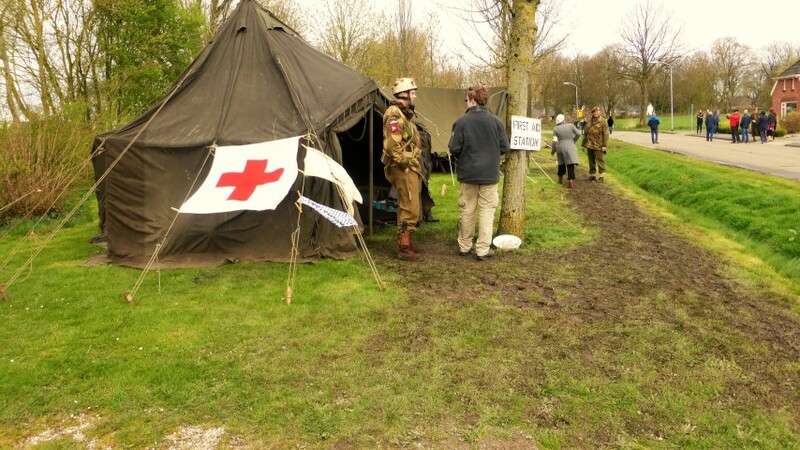 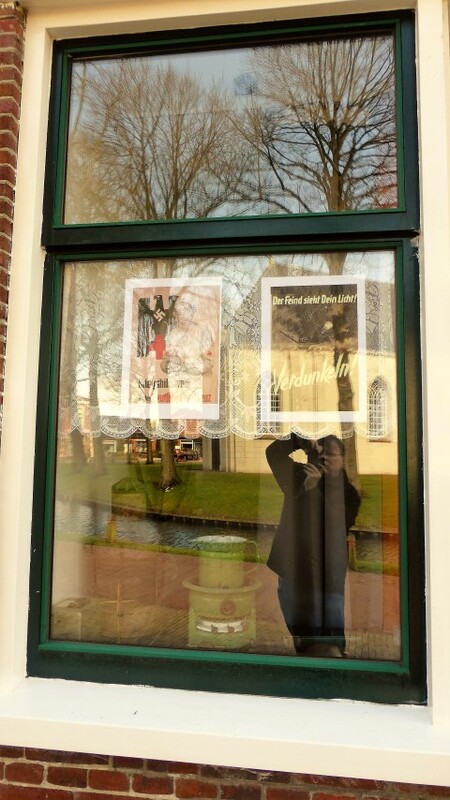 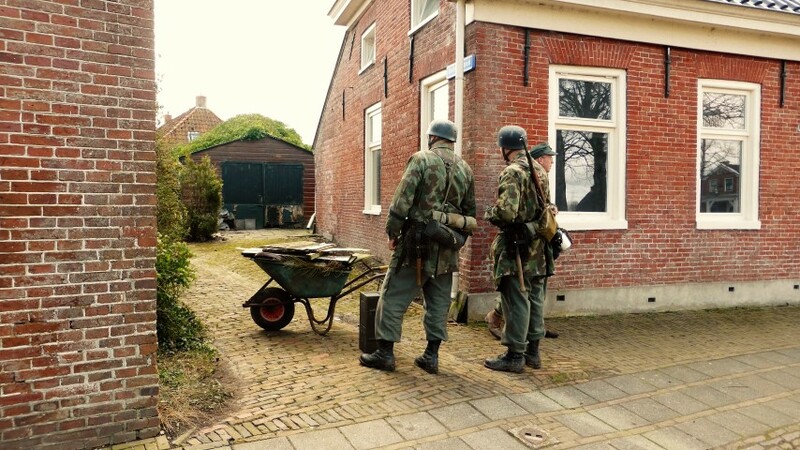 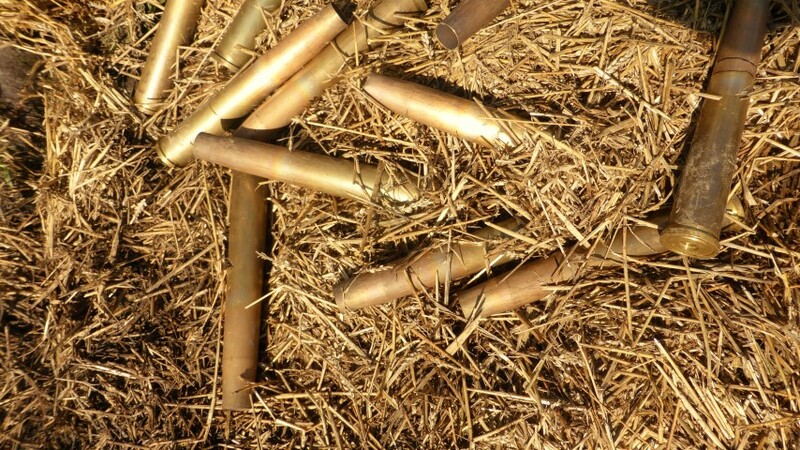 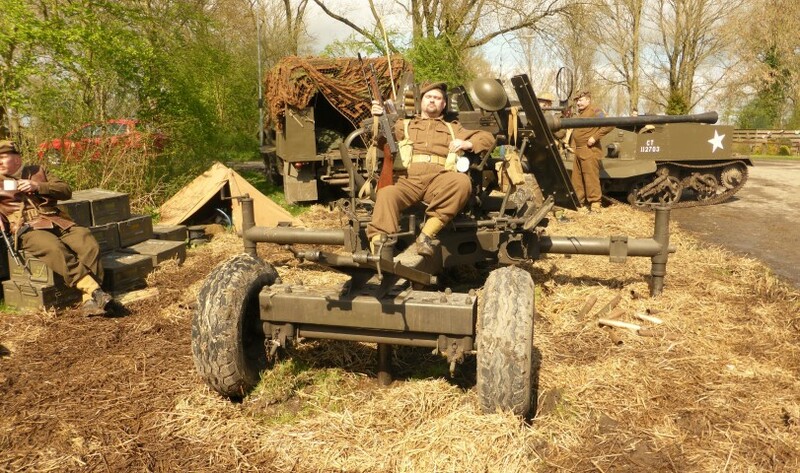 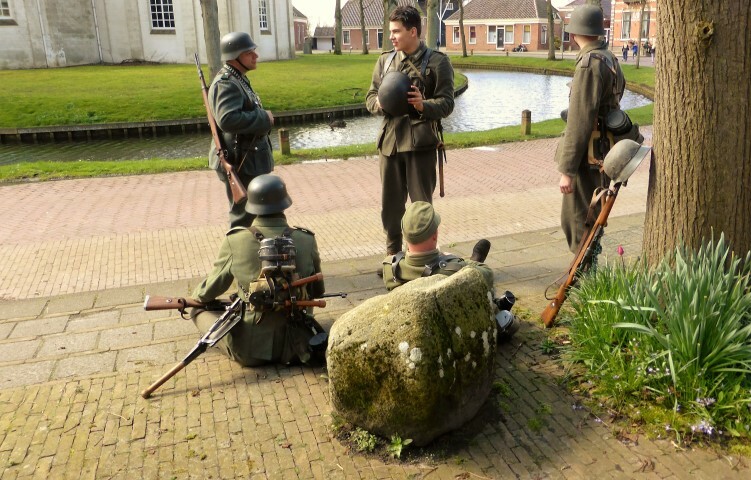 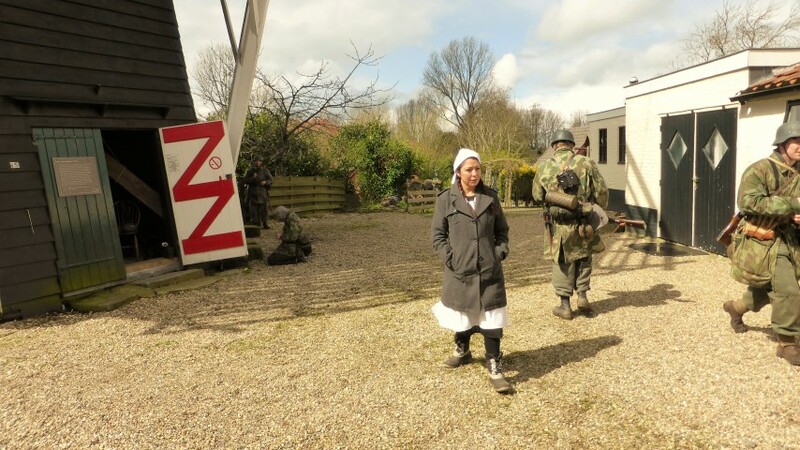 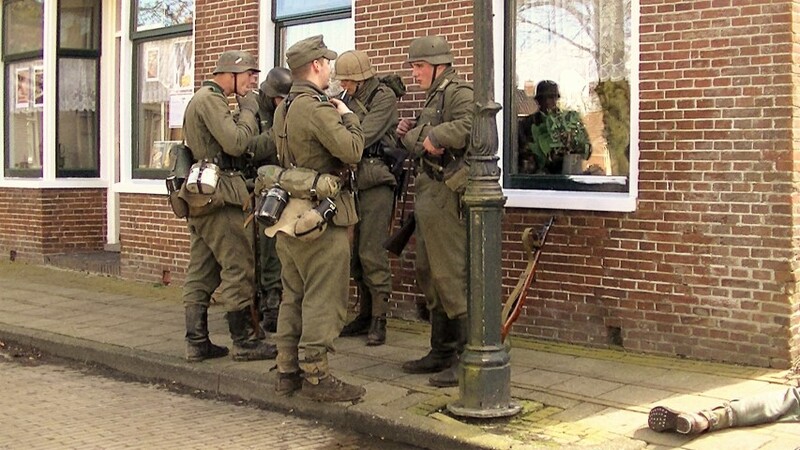 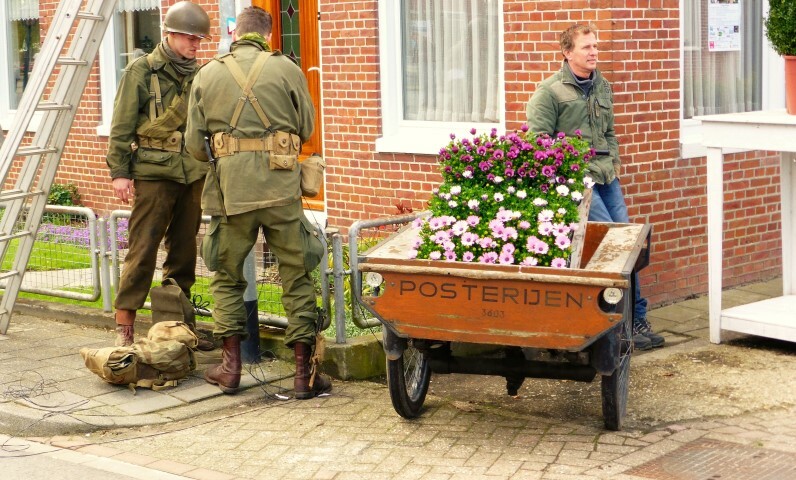 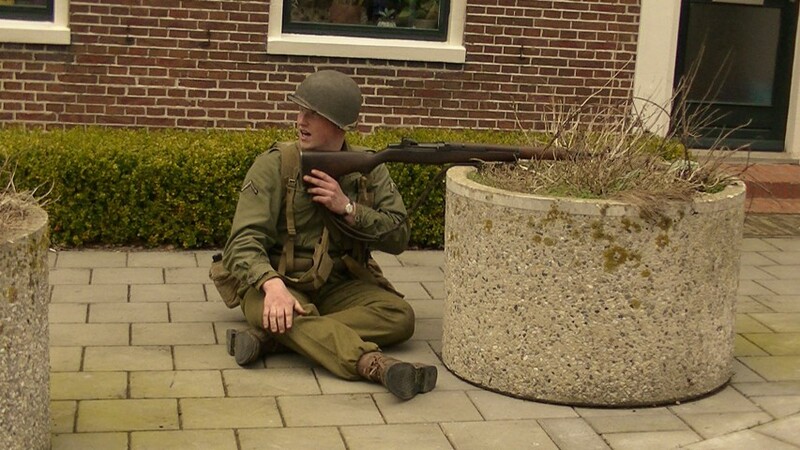 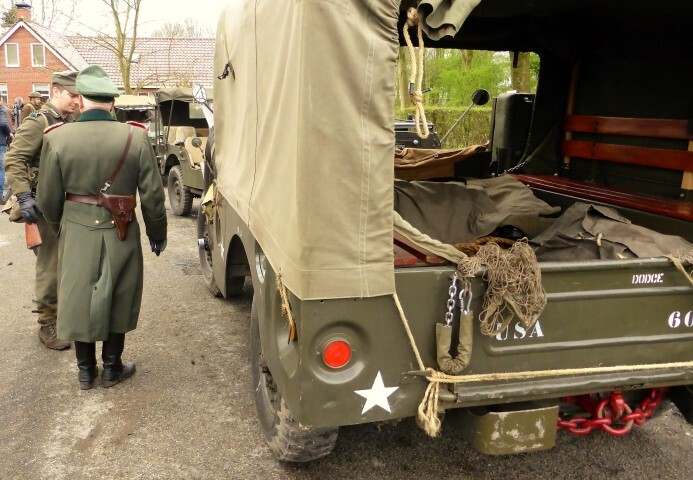 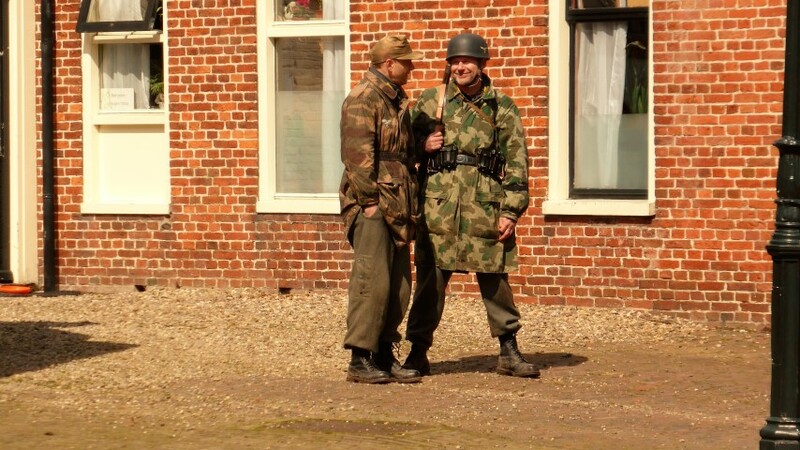 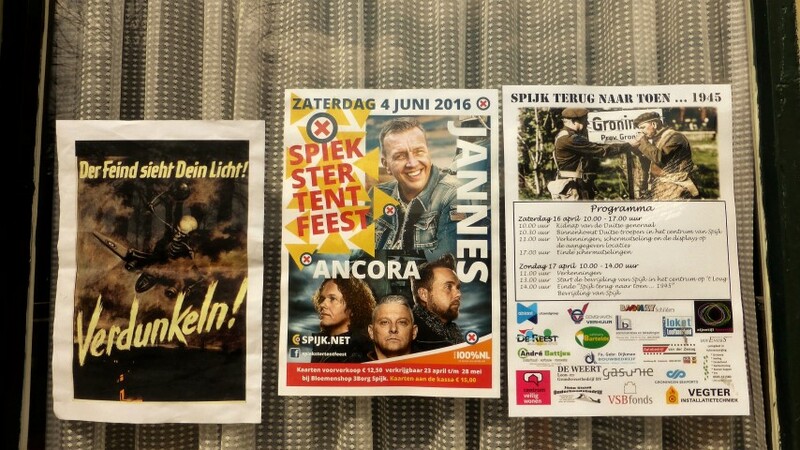 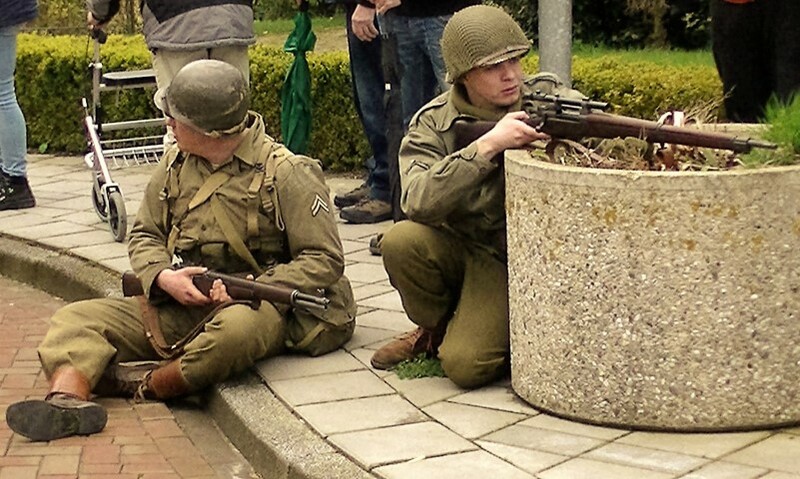 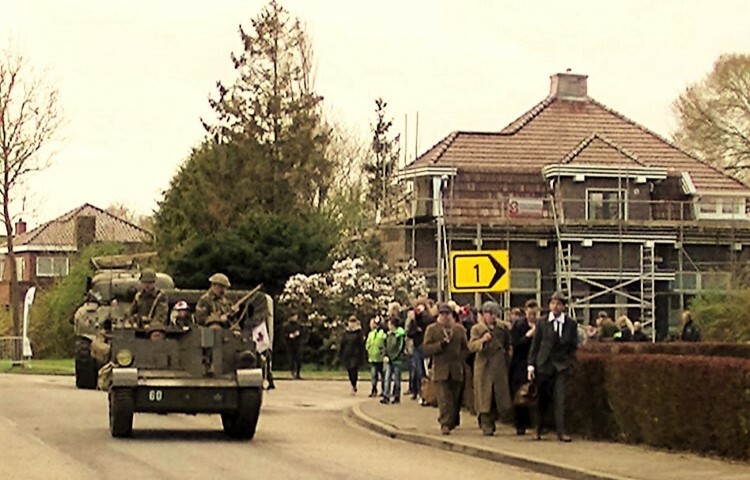 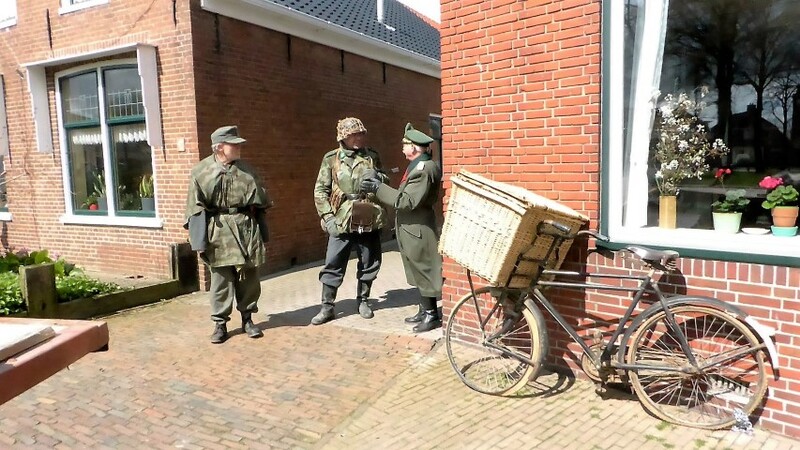 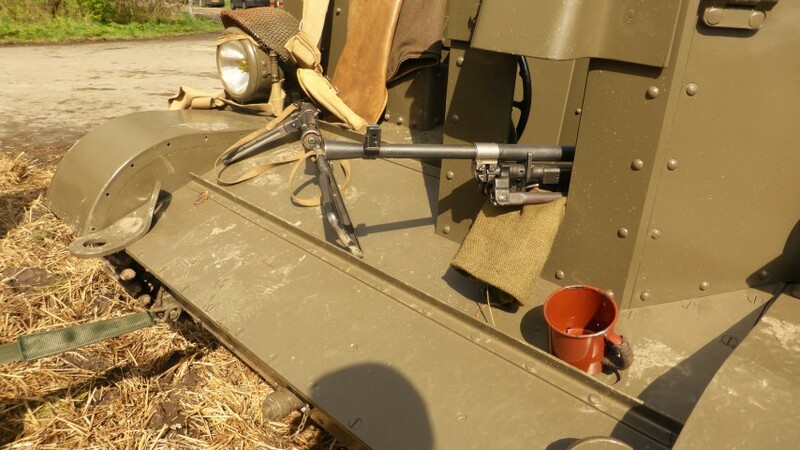 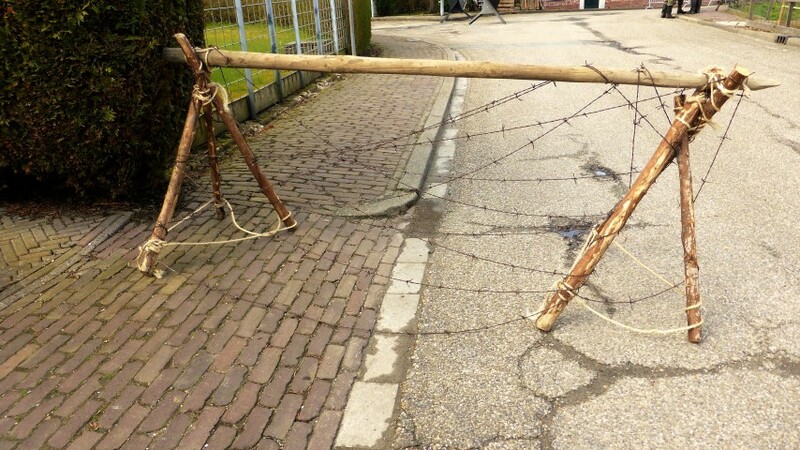 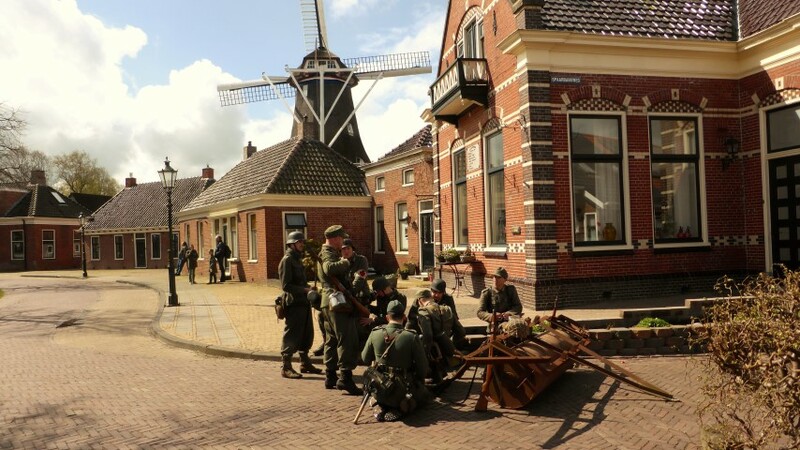 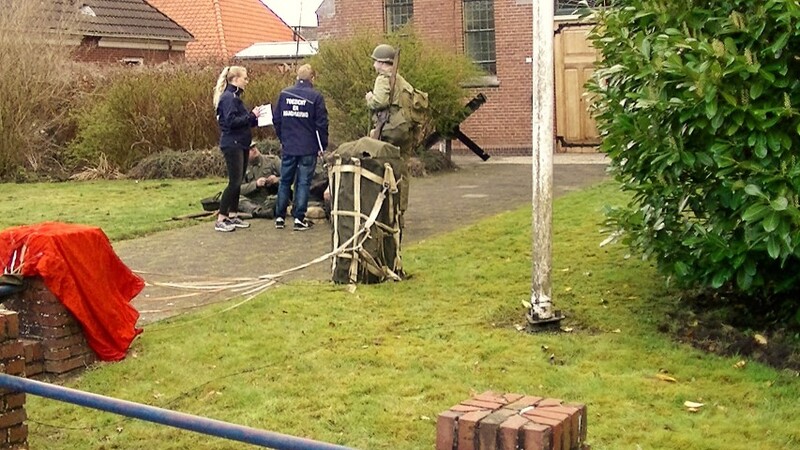 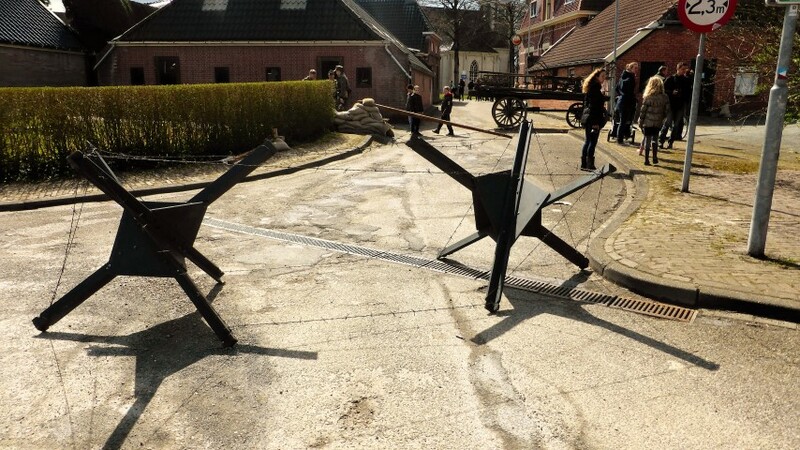 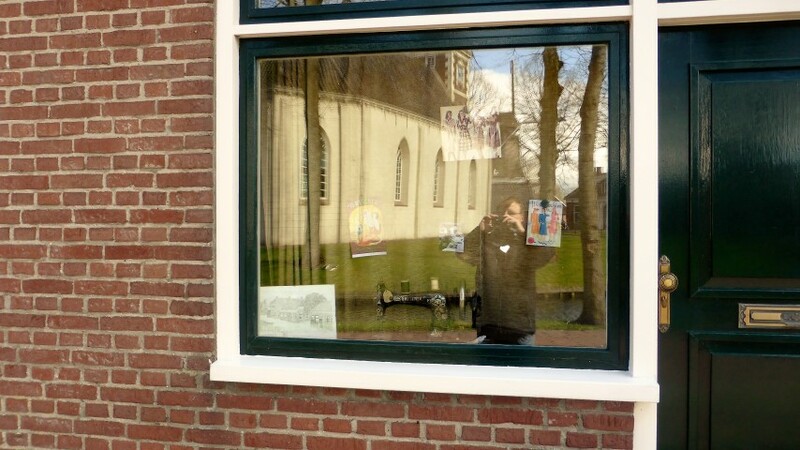 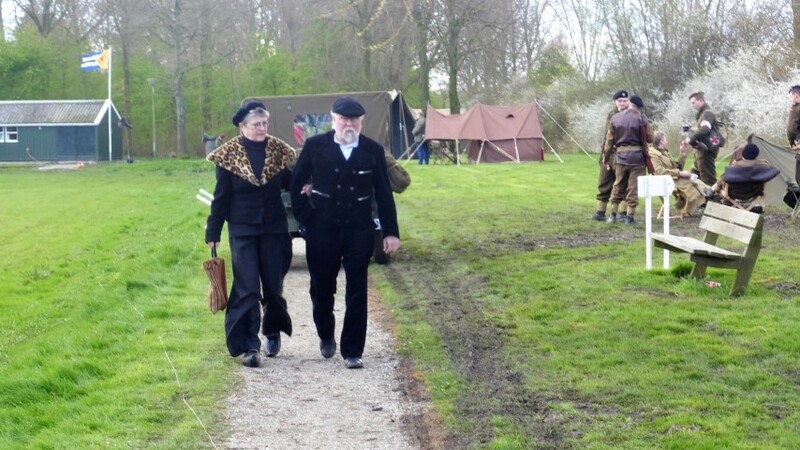 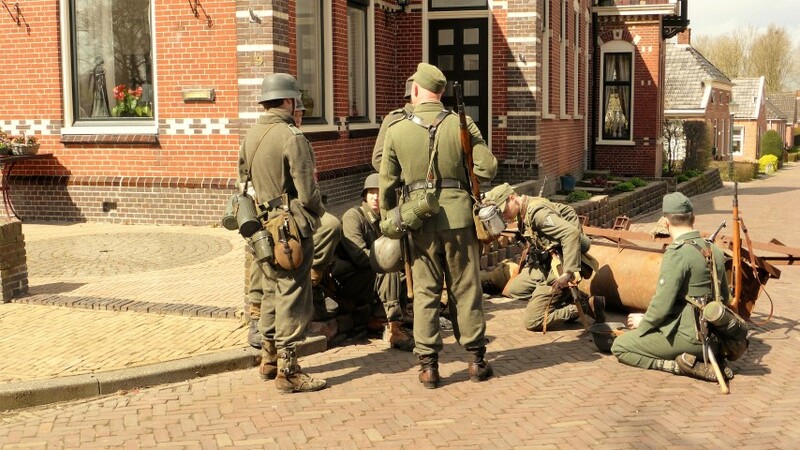 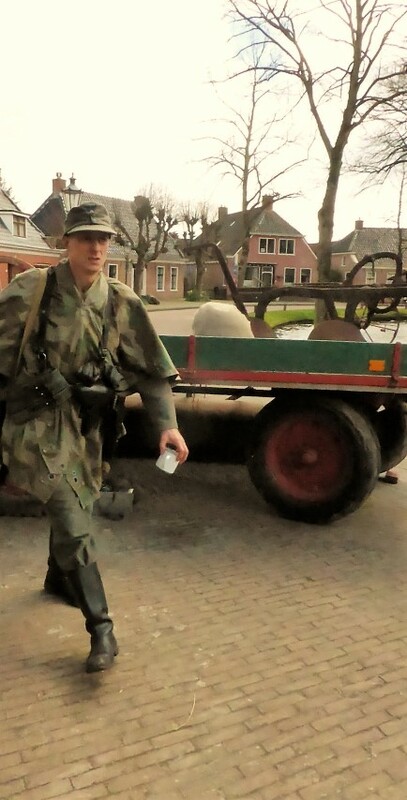 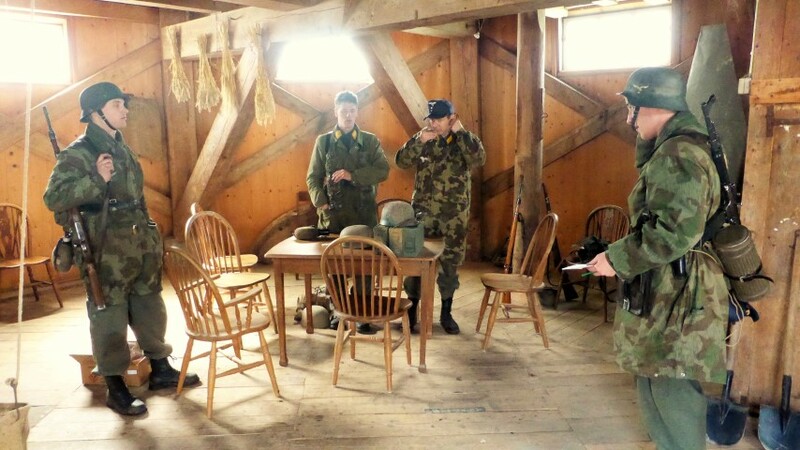 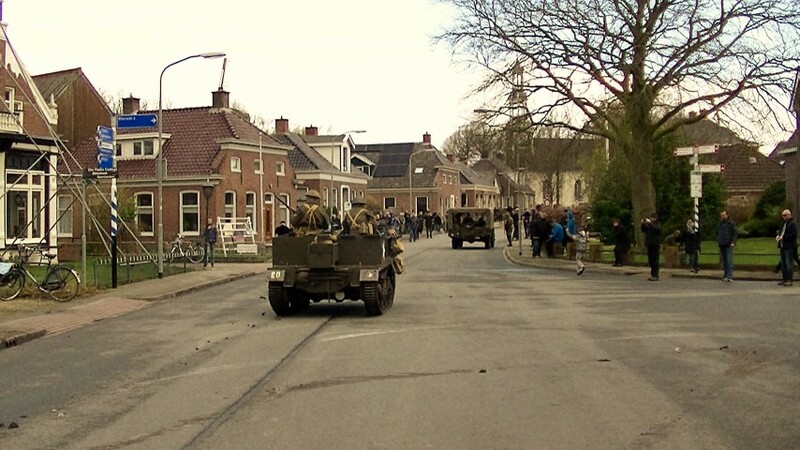 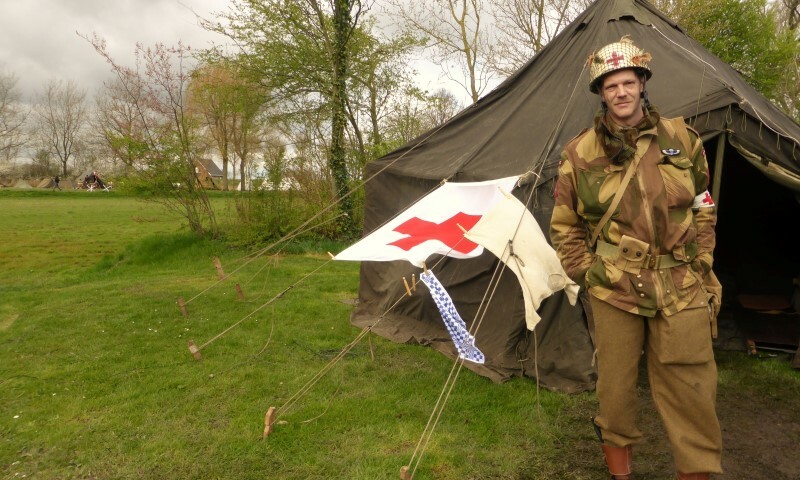 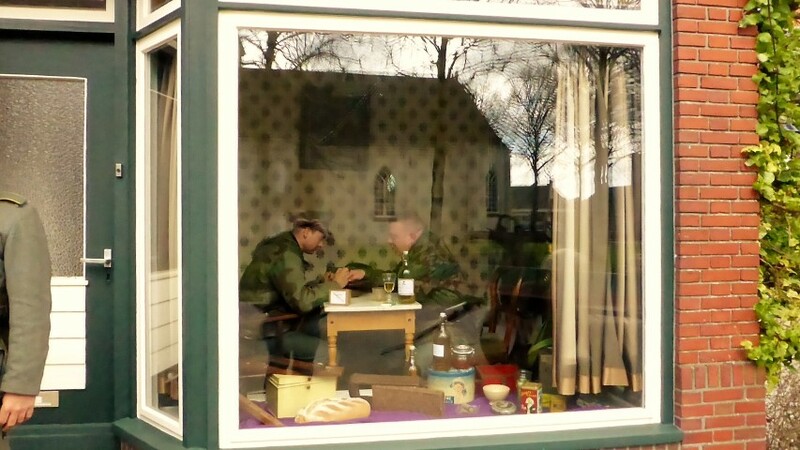 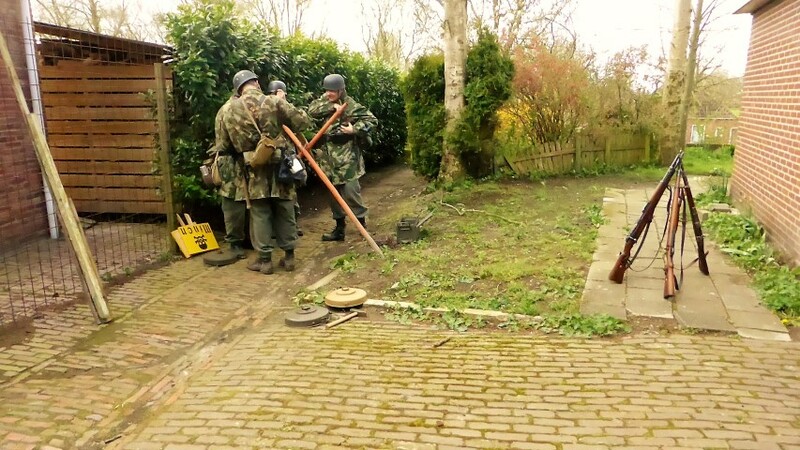 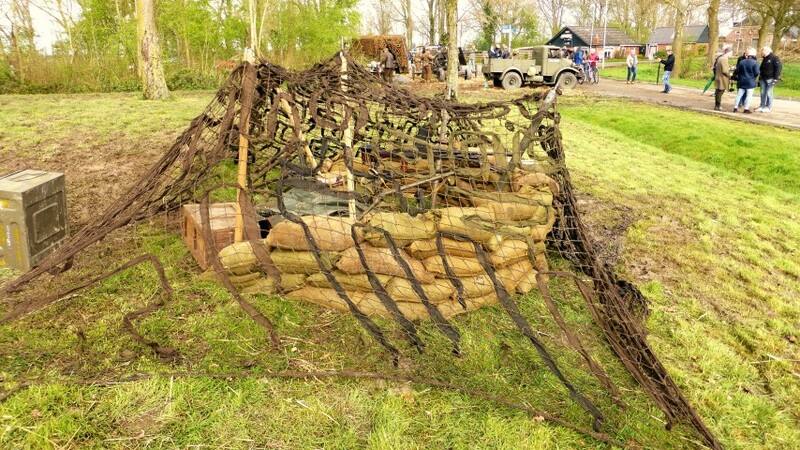 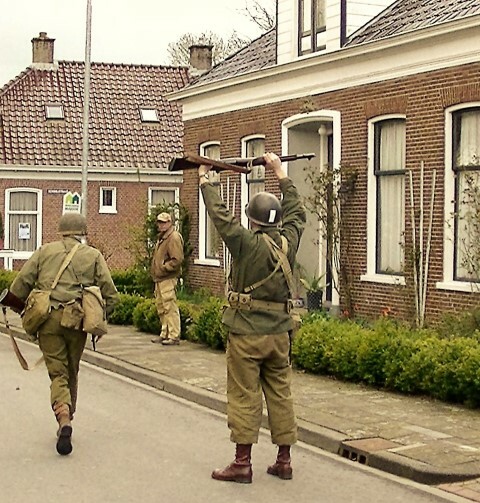 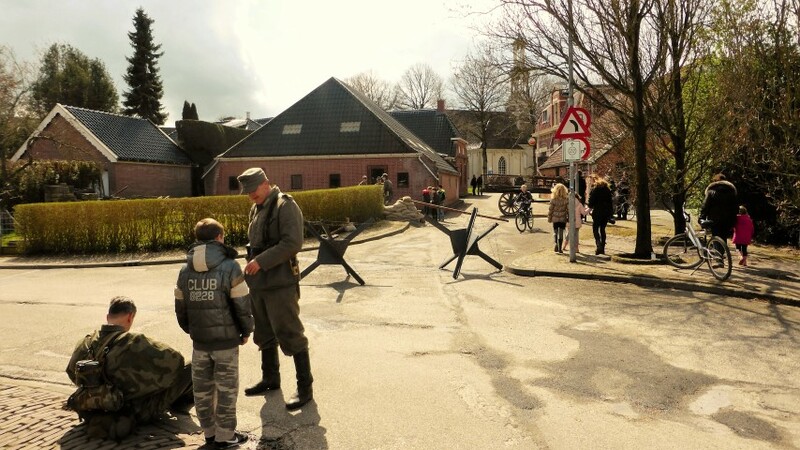 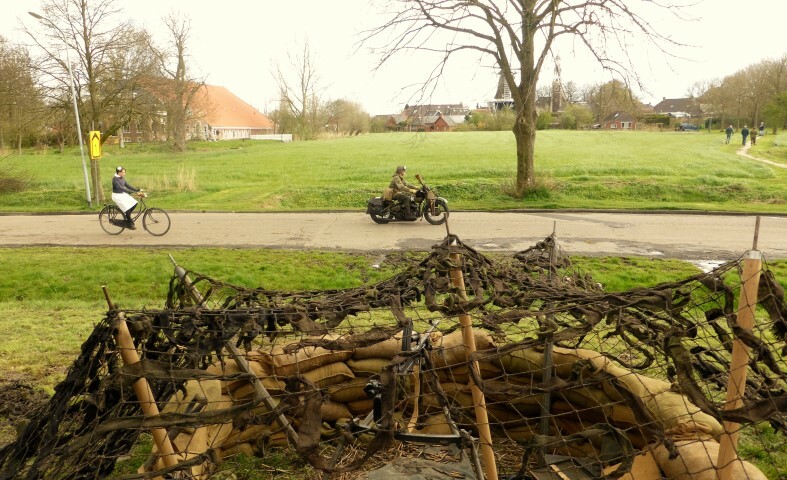 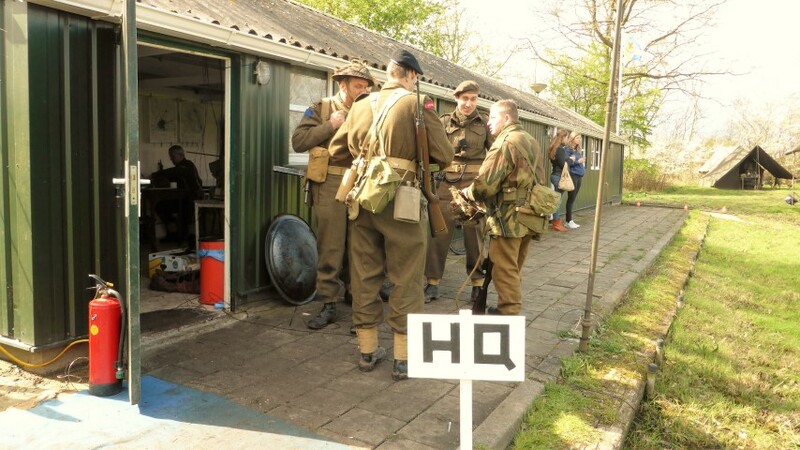 Through re-enactment groups the occupation and liberation of Spijk have been depicted. 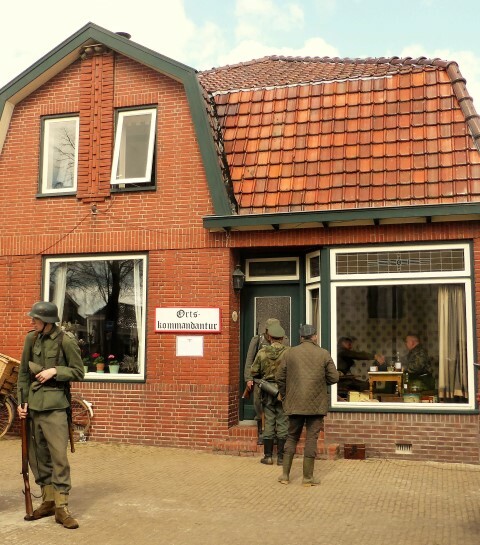 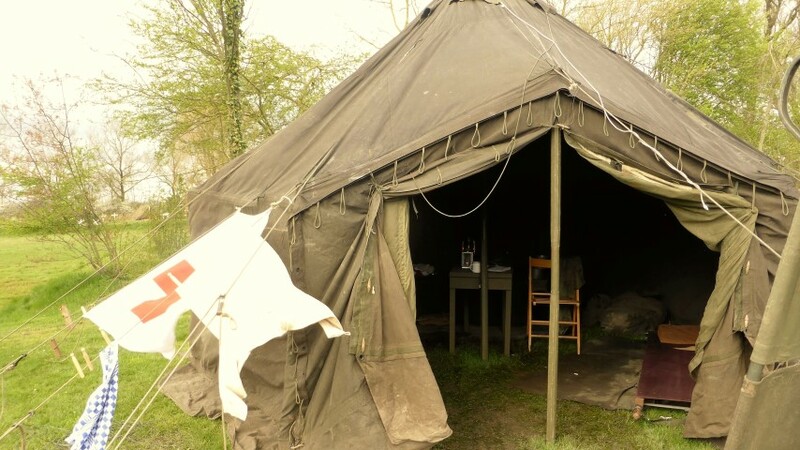 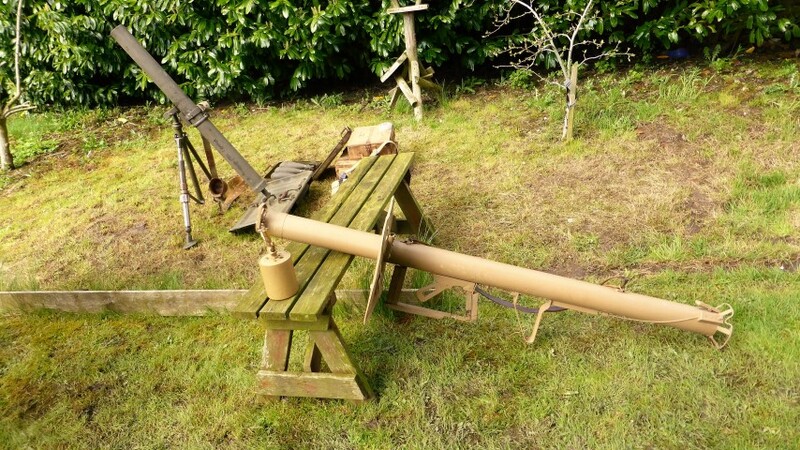 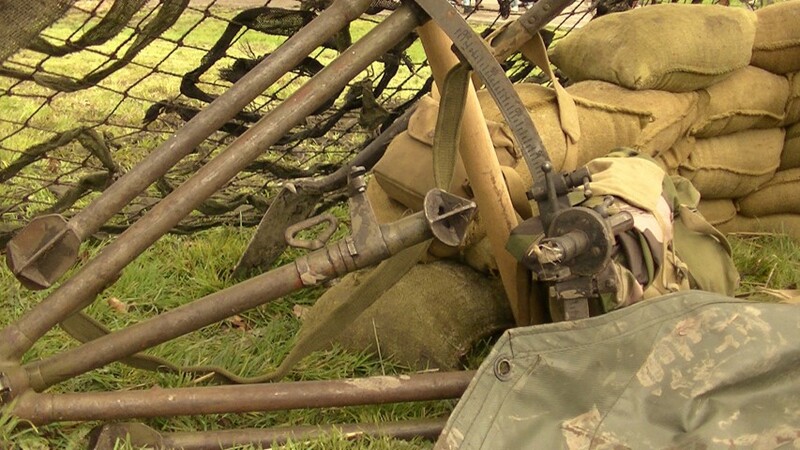 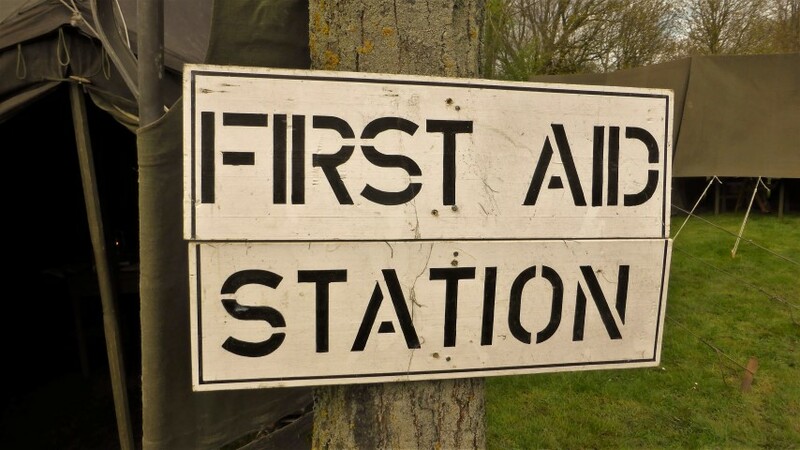 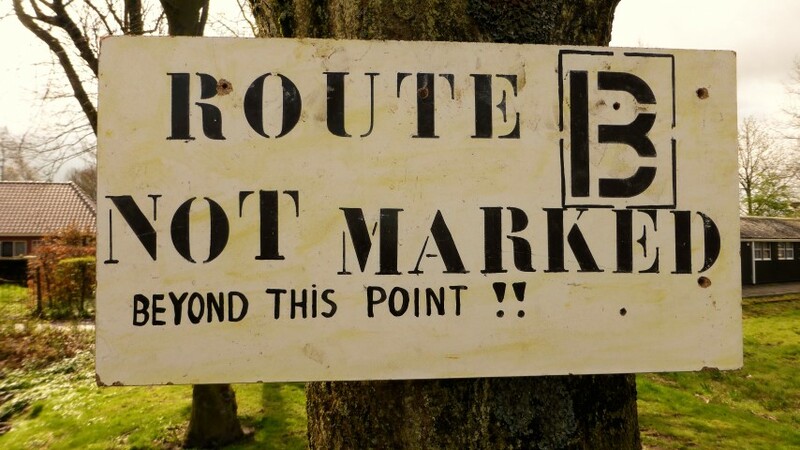 The village was plunged into the atmosphere of the war years. 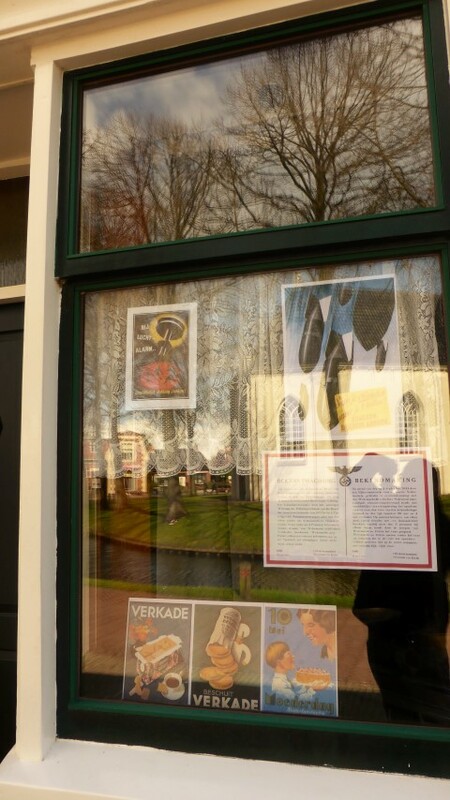 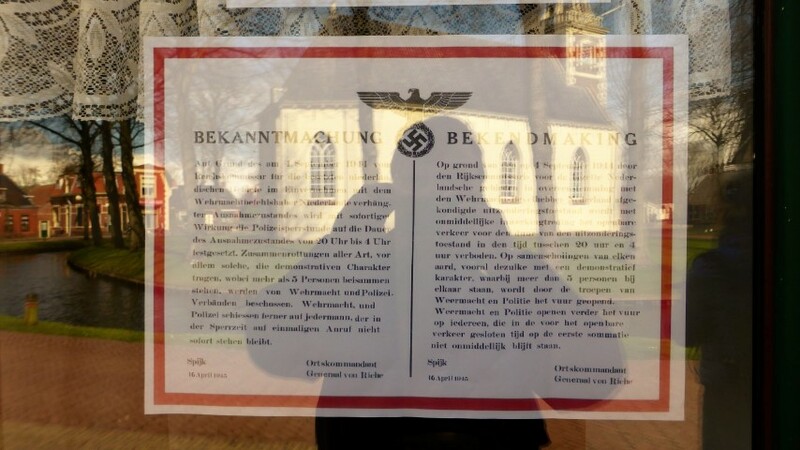 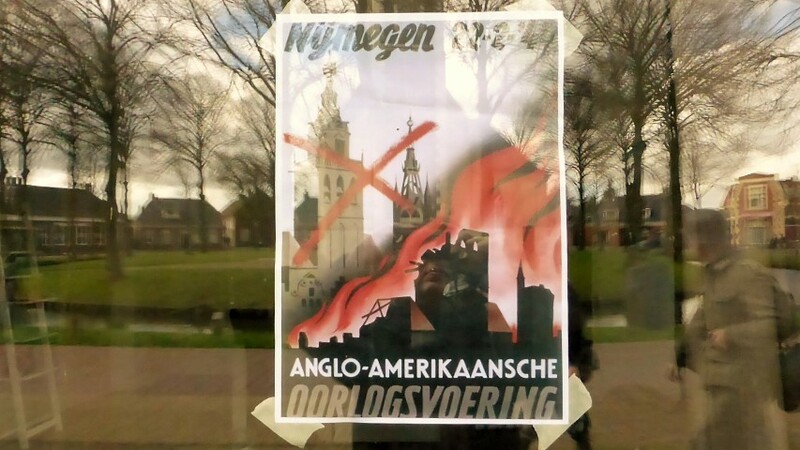 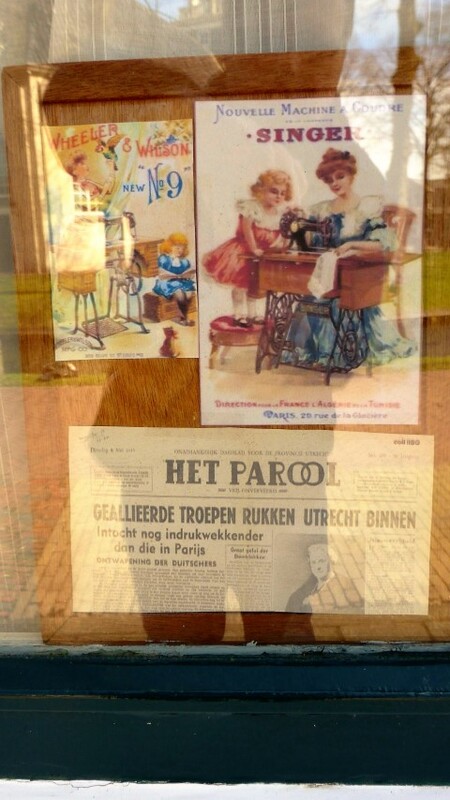 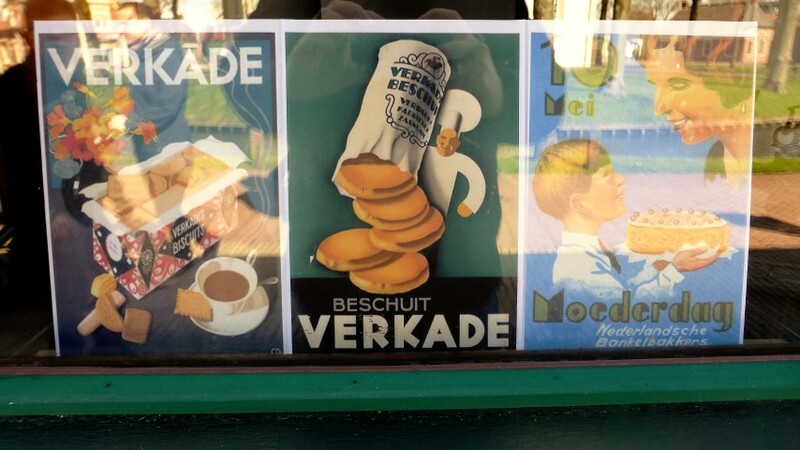 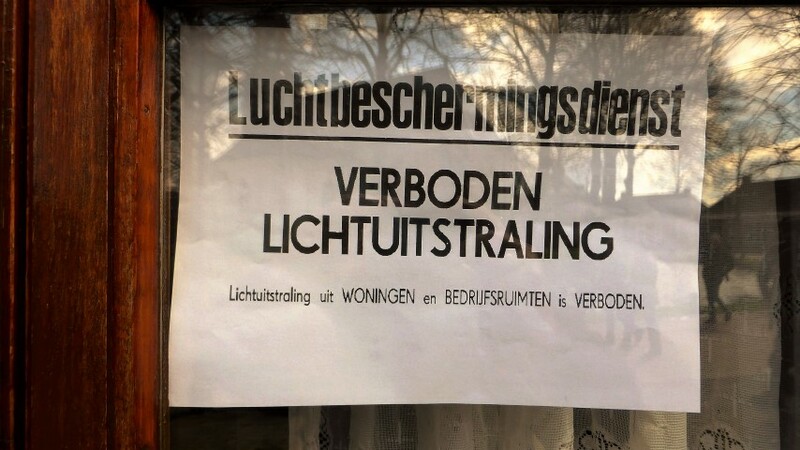 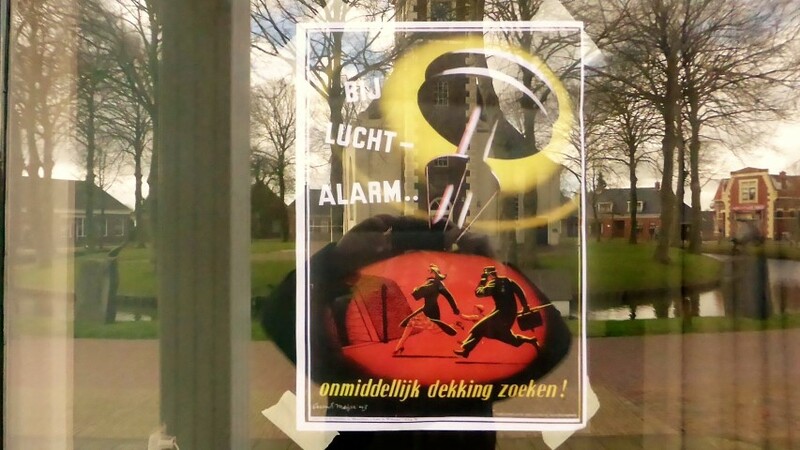 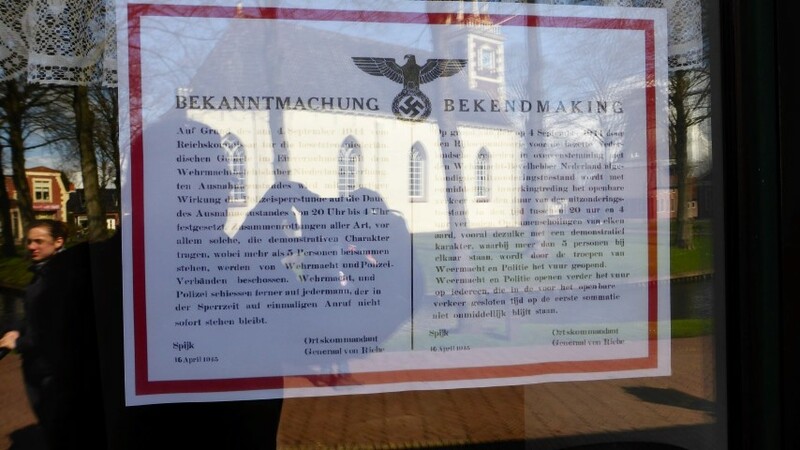 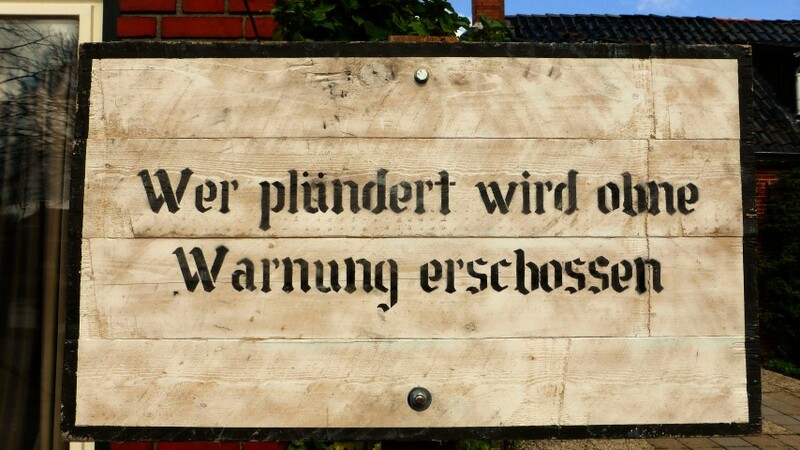 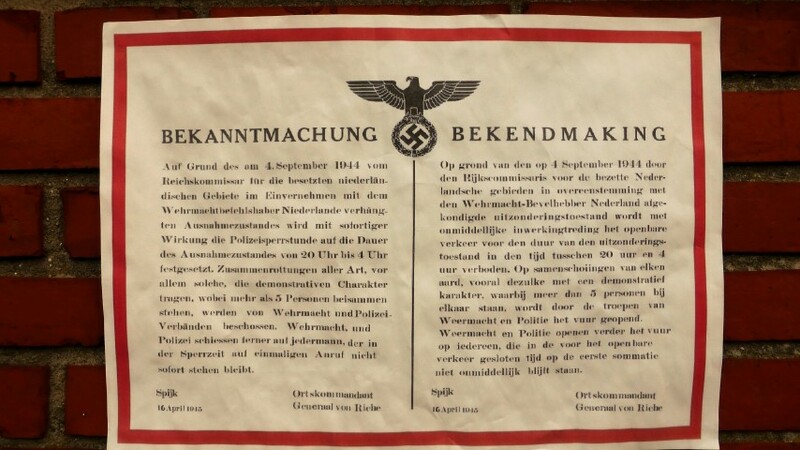 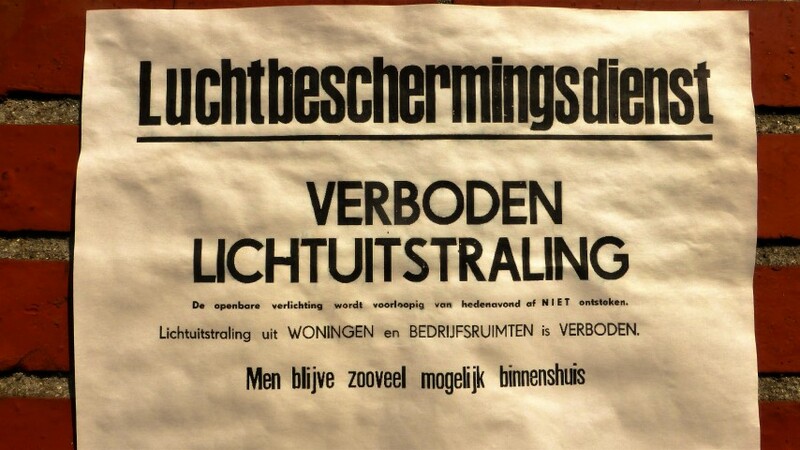 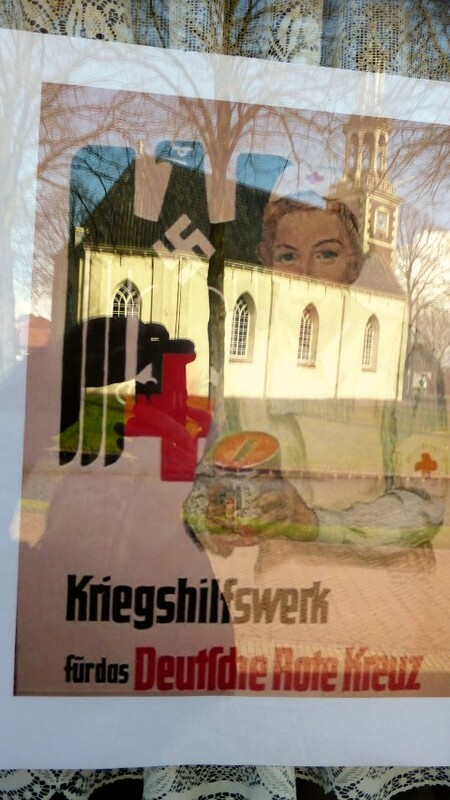 Posters were on the windows of the houses and there was a German headquarters in the mill. 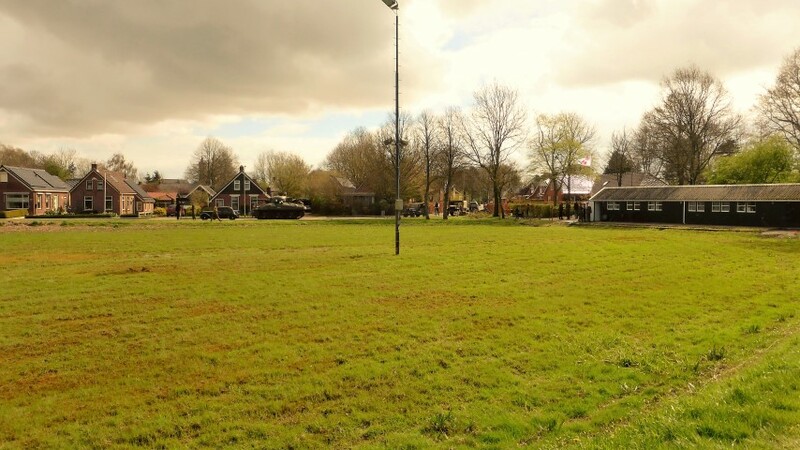 Bicycle patrols of Feldgendarmerie drove through the village. 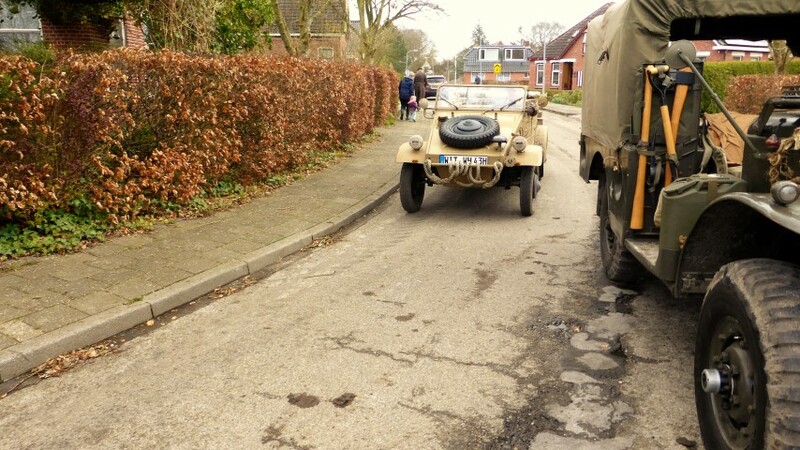 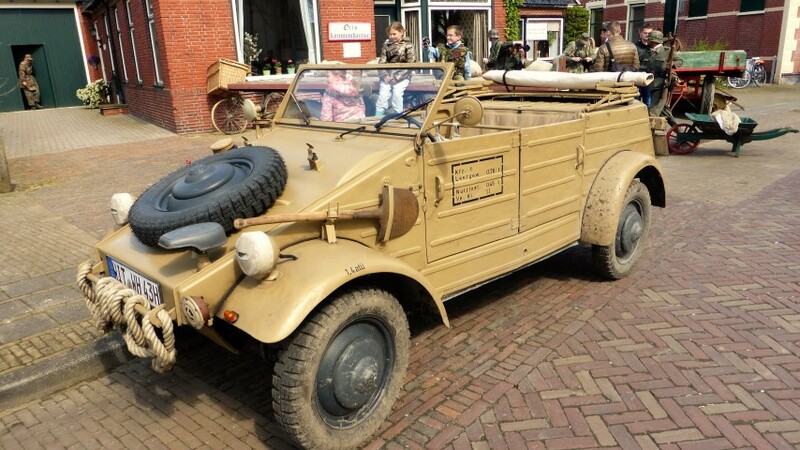 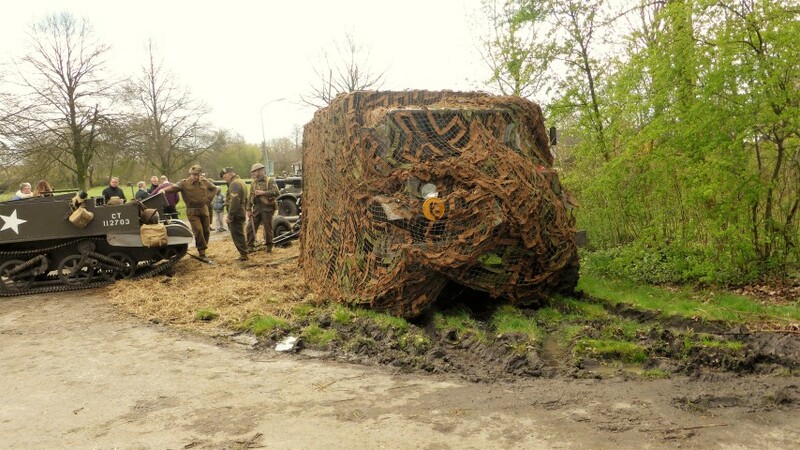 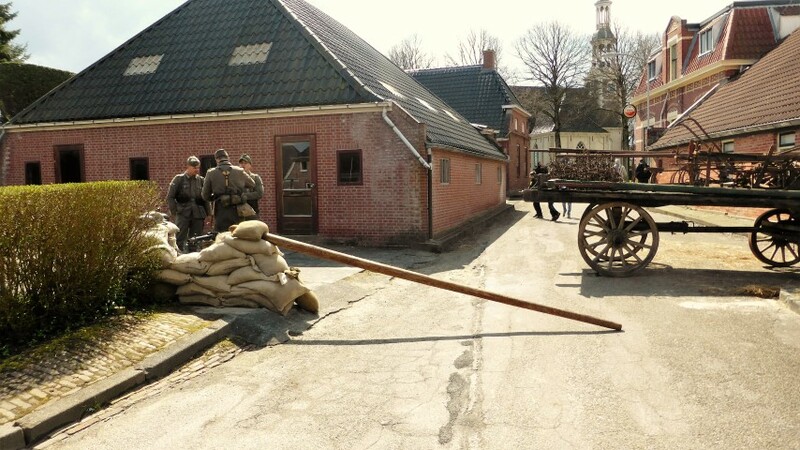 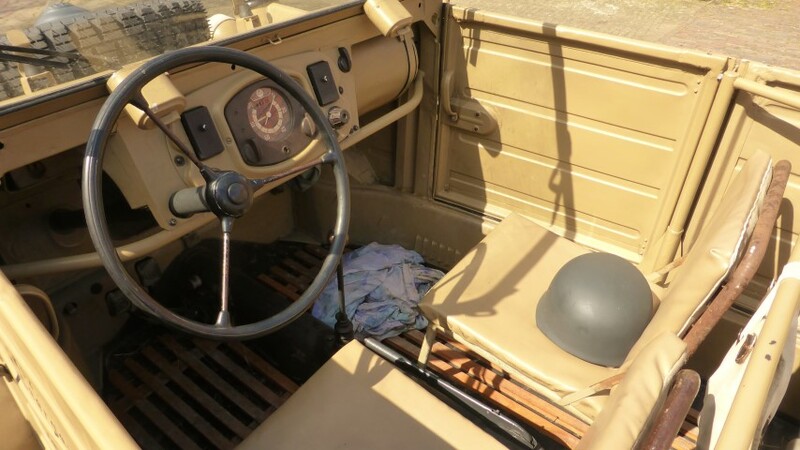 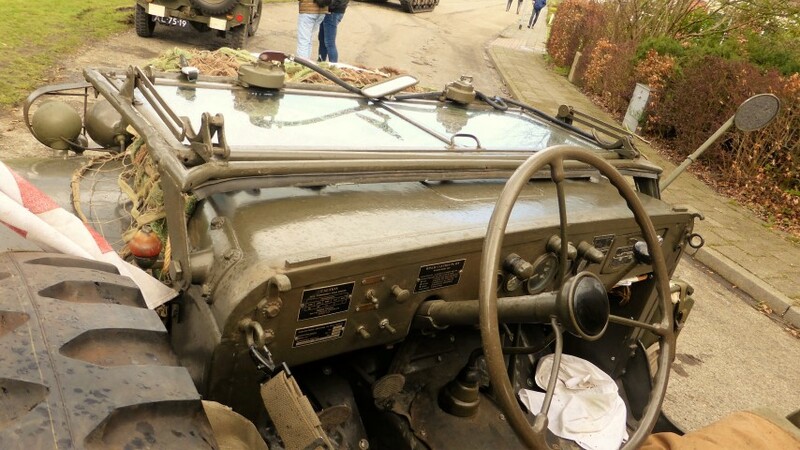 A Kübelwagen containing a German officer and driver drove through the village. 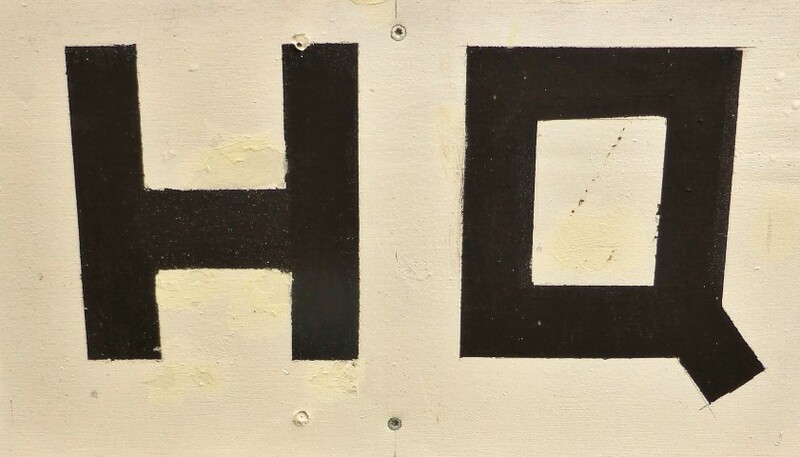 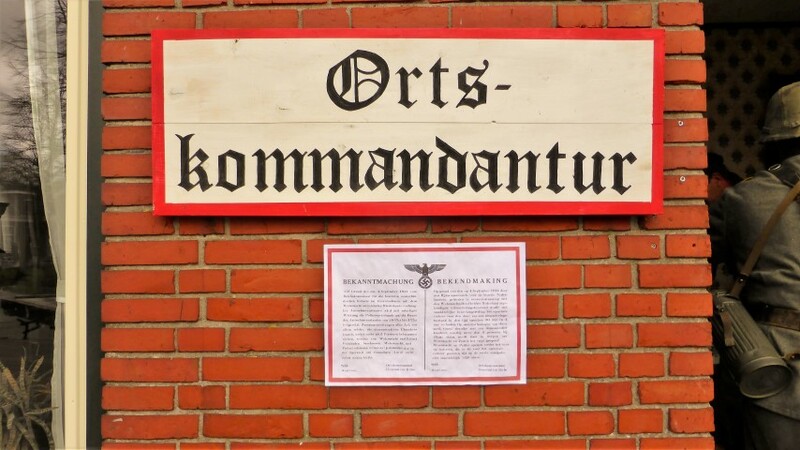 There was a Ortskommandantur with placards on the wall showing people sought by the occupying forces. 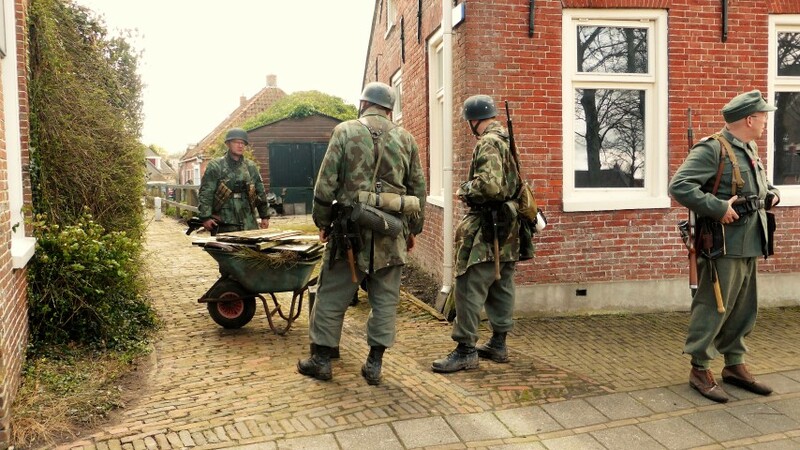 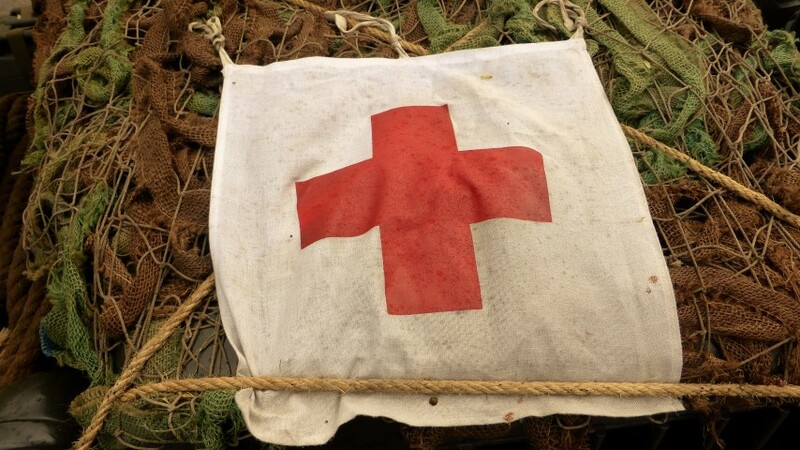 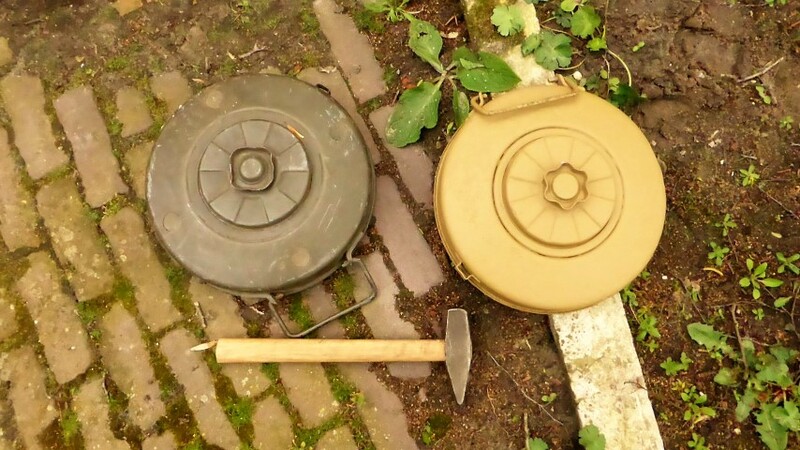 German nurses walked off with coffee and a wheelbarrow to provide the German soldiers with coffee. 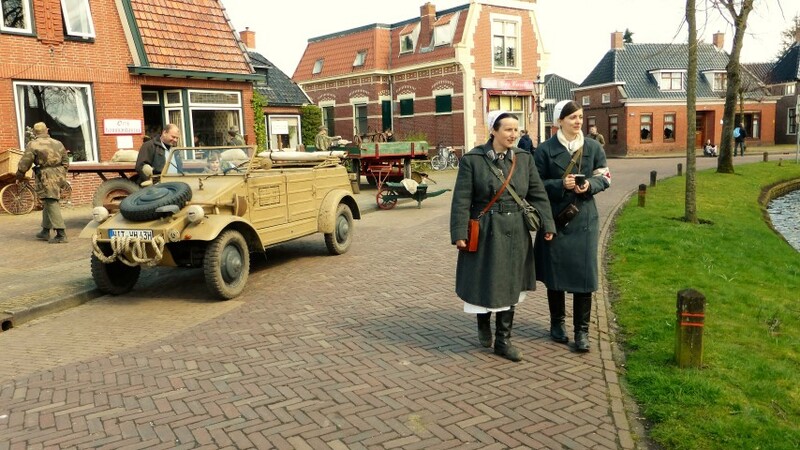 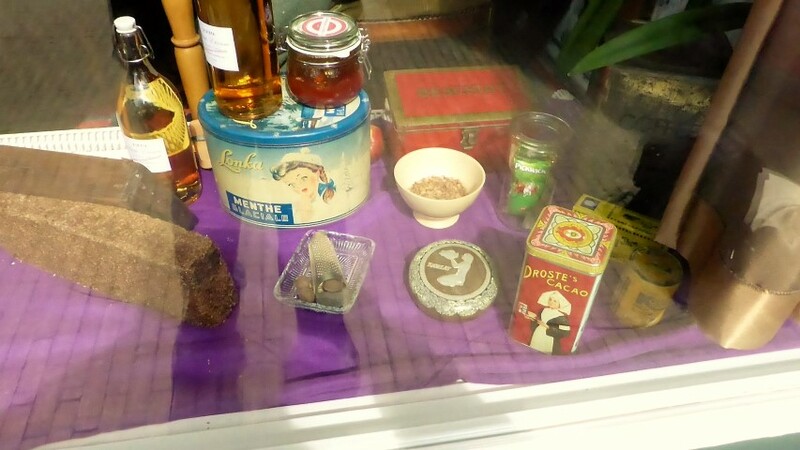 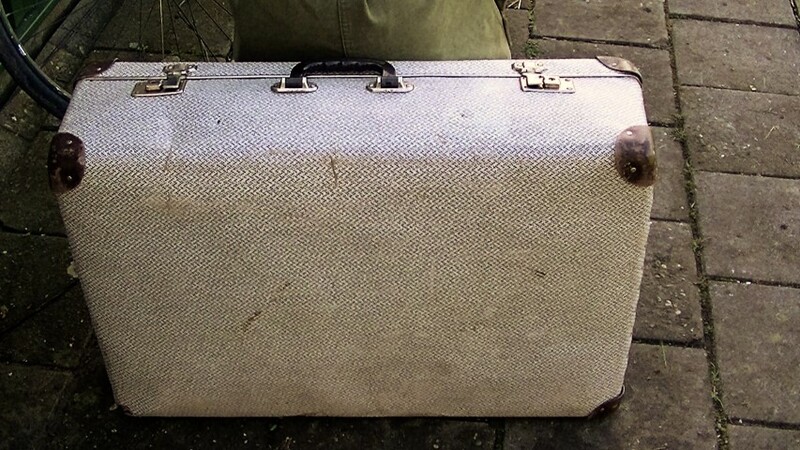 People from the village walked round in clothes of the '40s. 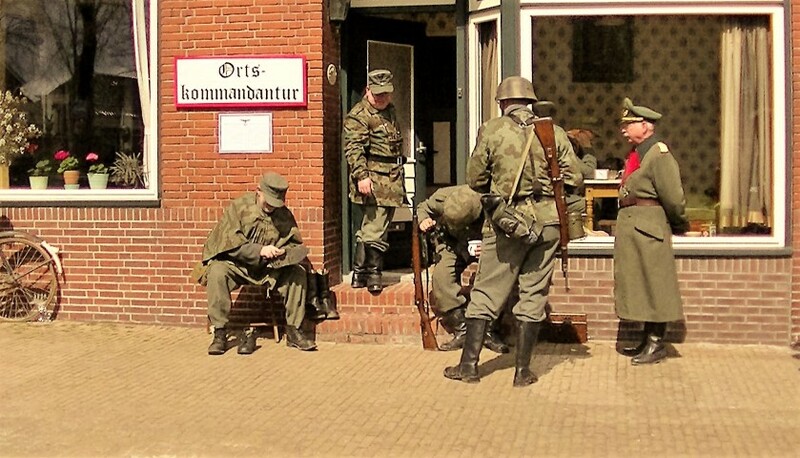 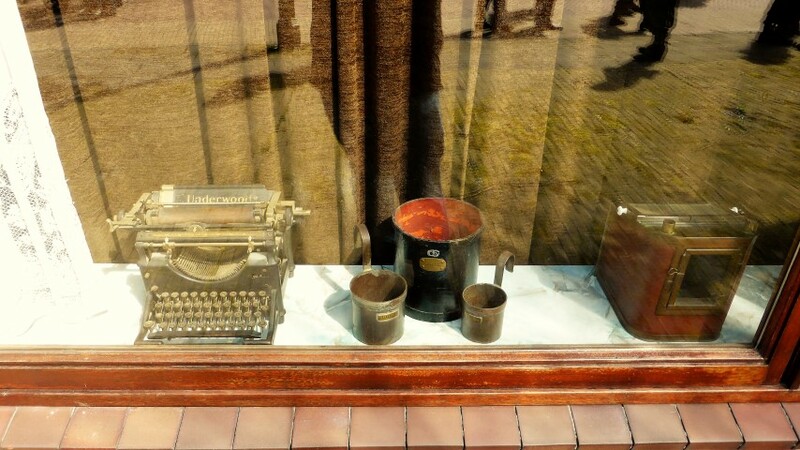 In front of the Ortskommandantur a German general sat on his chair who poked fun at German militarism of that time. 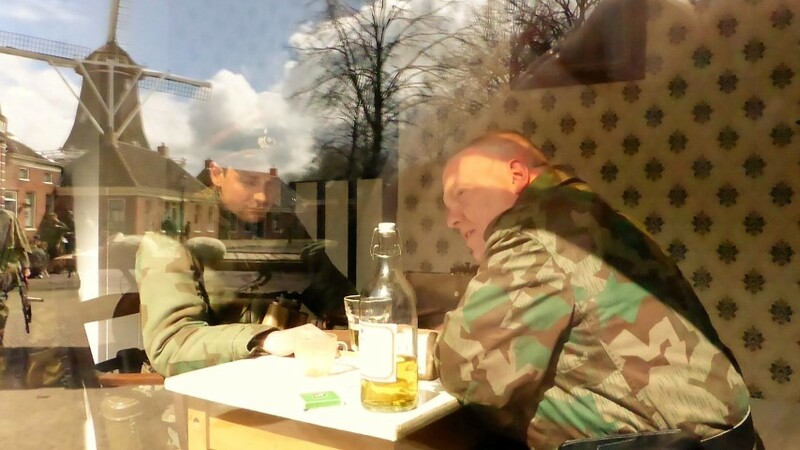 He was very relaxed with a cup of coffee in the sun. 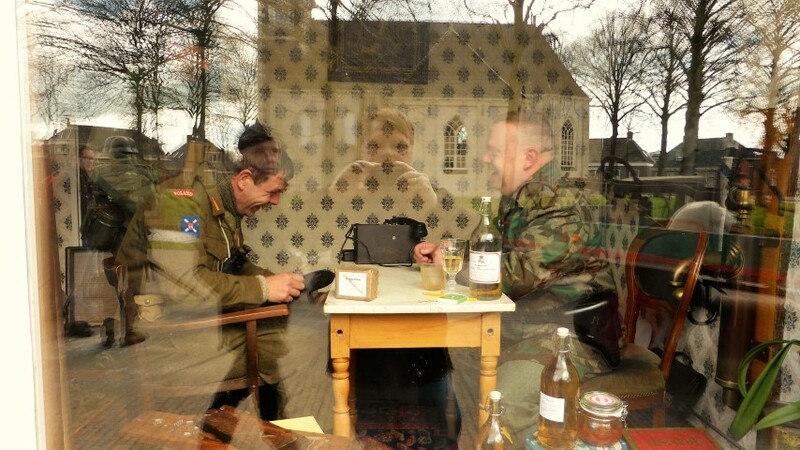 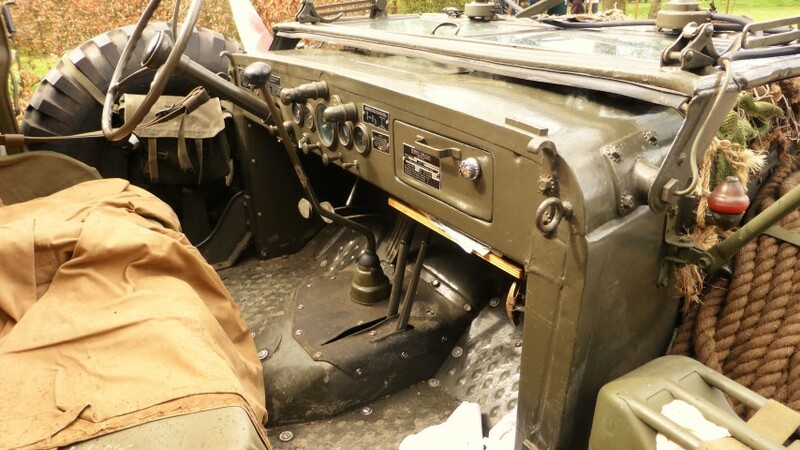 Inside were two German officers get drunk at the beverage. 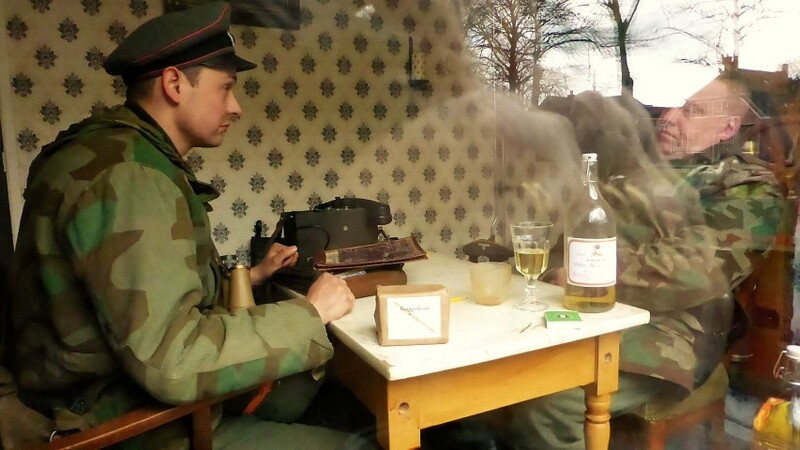 Luckily it was all put in scene, because the reality was that in that stage of the war they should be shot dead mercilessly because defeatism. 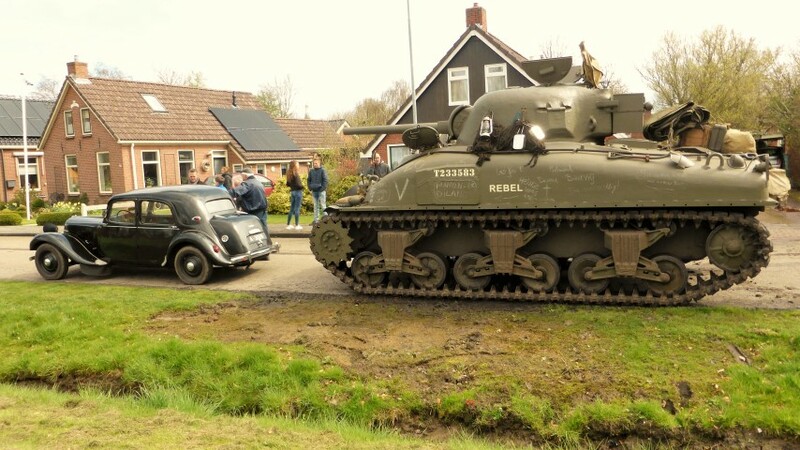 Meanwhile, the Canadians were close approached the village. 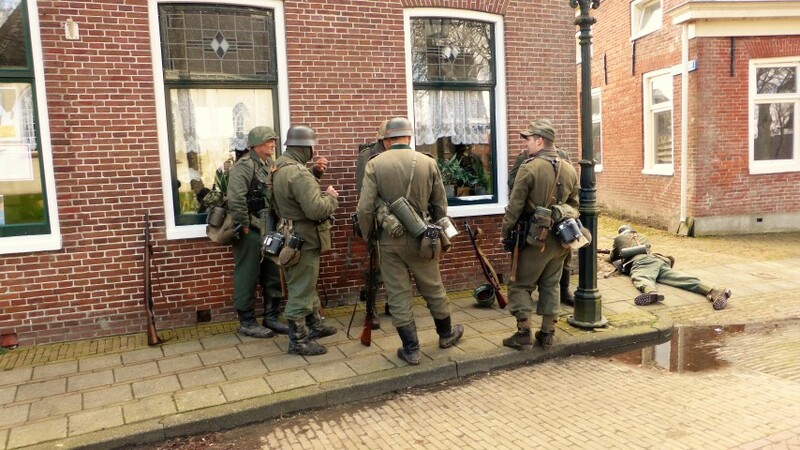 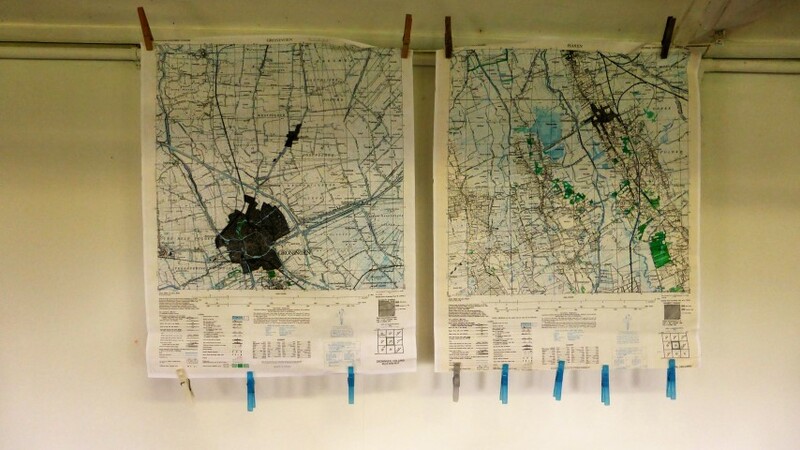 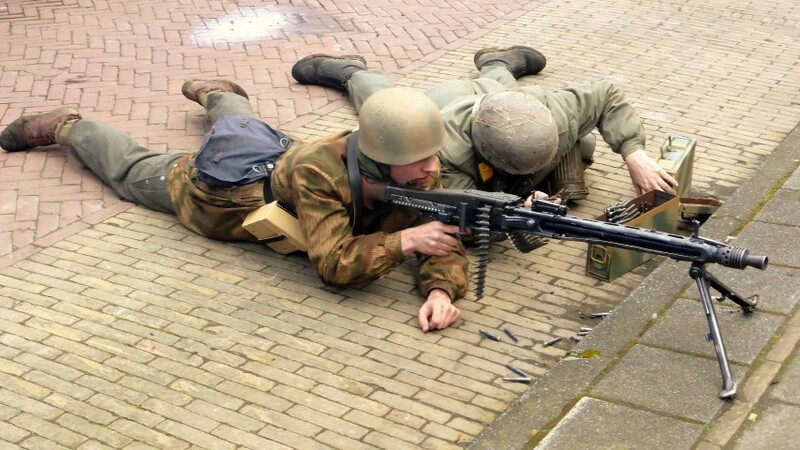 The battle of Delfzijl pocked had begun. 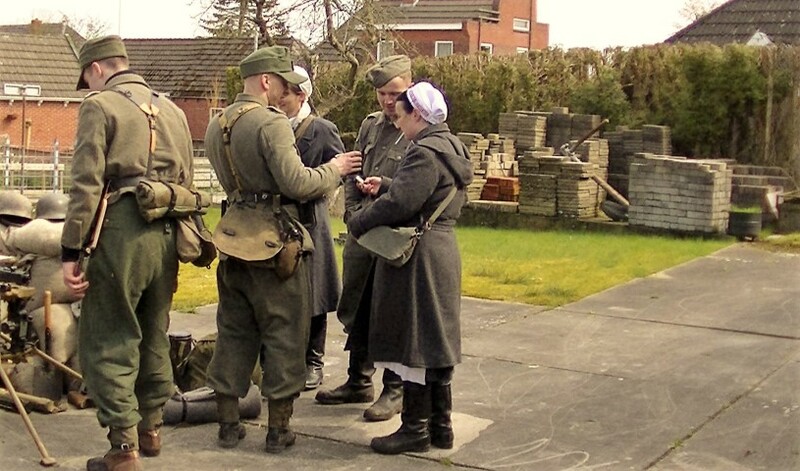 Actually the Germans were far from being tired and exhausted at the end of the war in April. 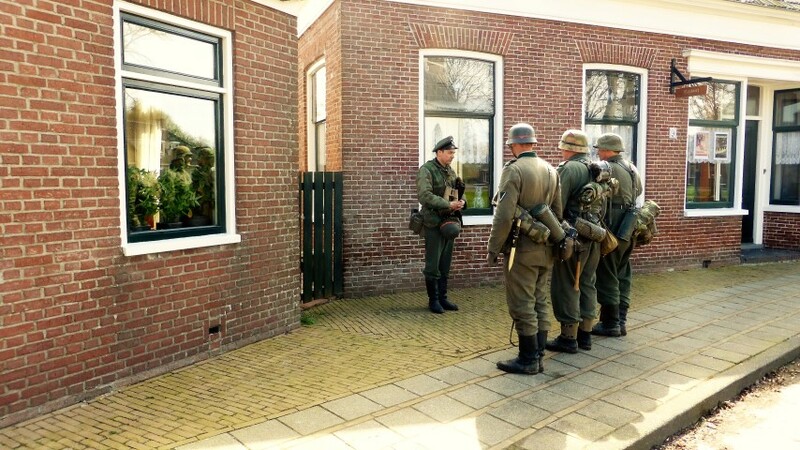 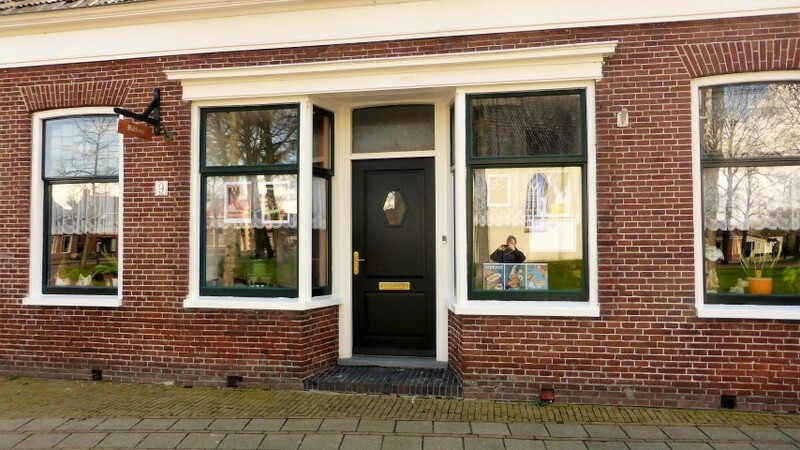 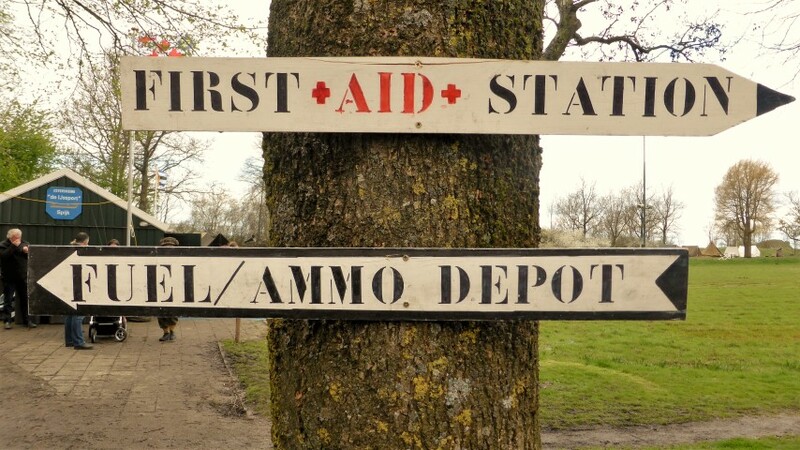 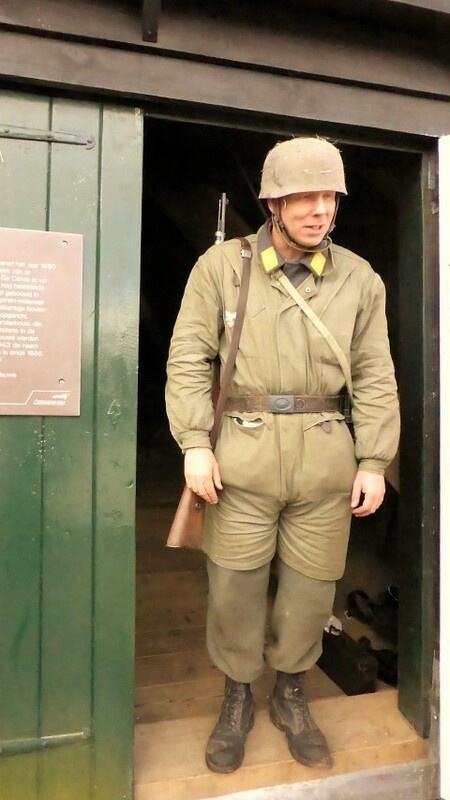 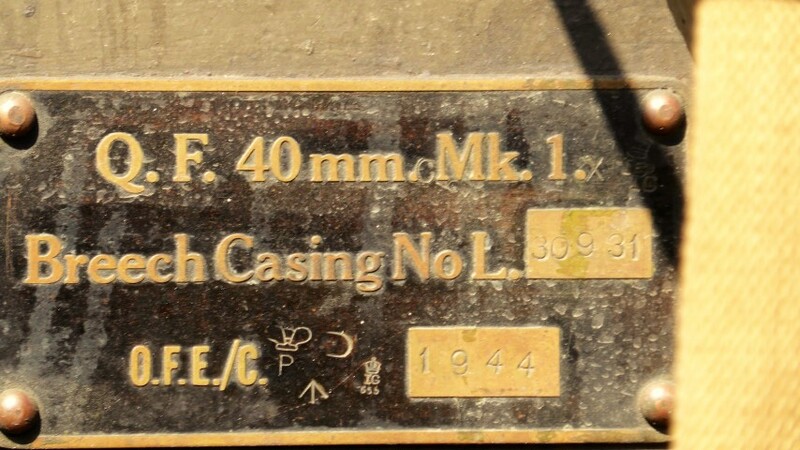 Hitler had declared Delfzijl a Fortress because of its strategic location in relation to Emden. 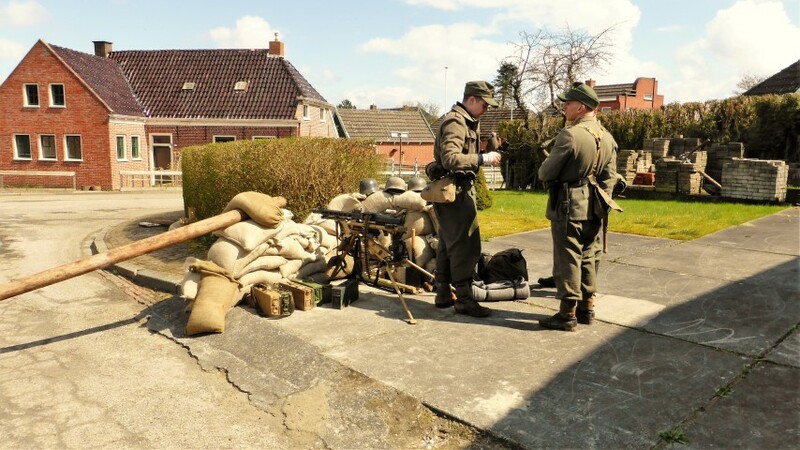 German units were trying to escape the advancing allies. 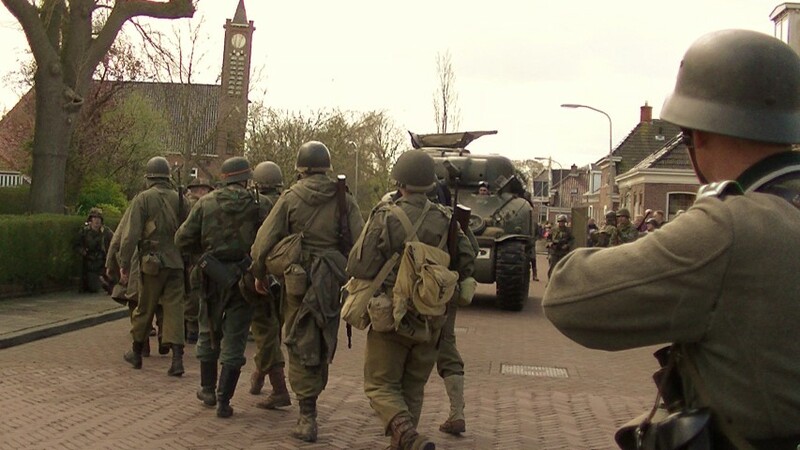 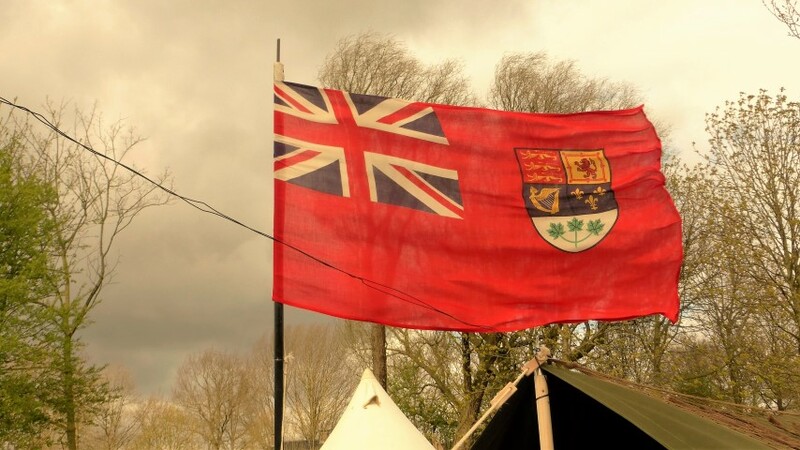 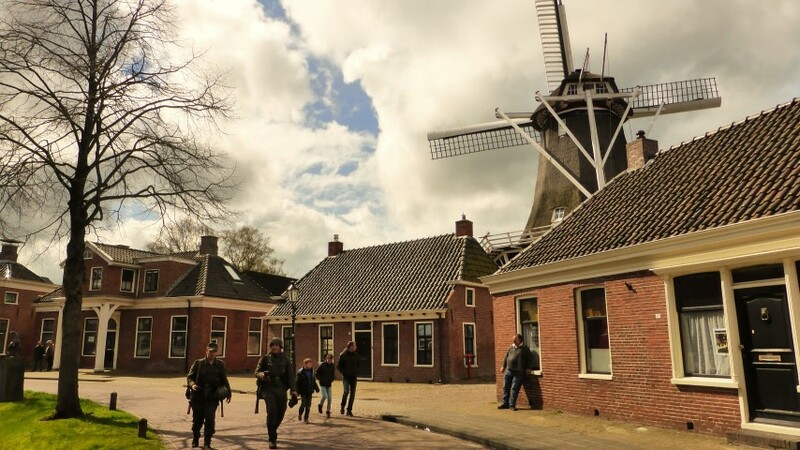 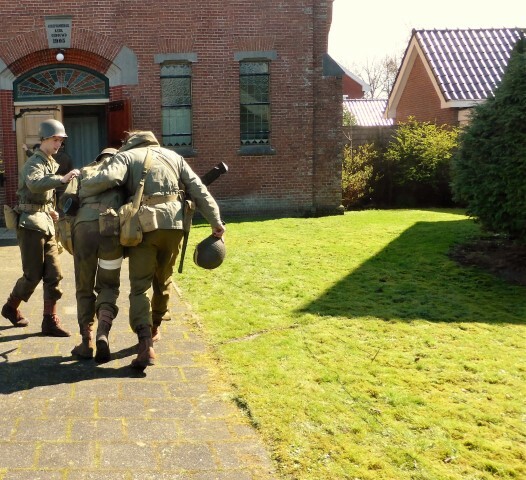 After Groningen was freed after four days of heavy fighting final on April 16, 1945 the Canadians marched further to Delfzijl. 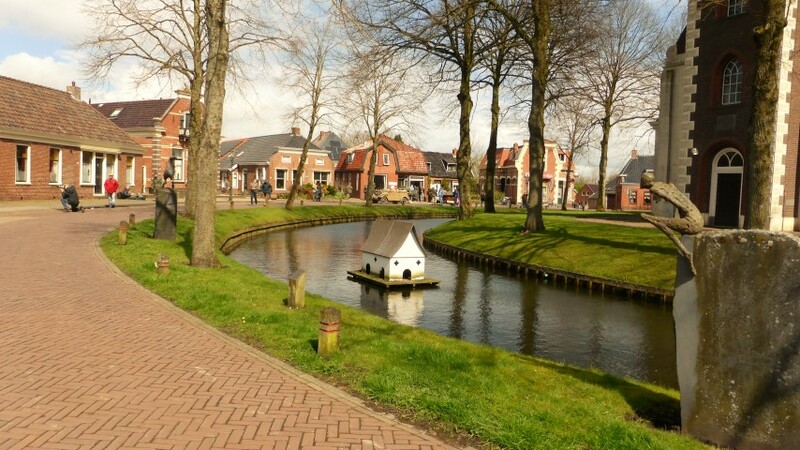 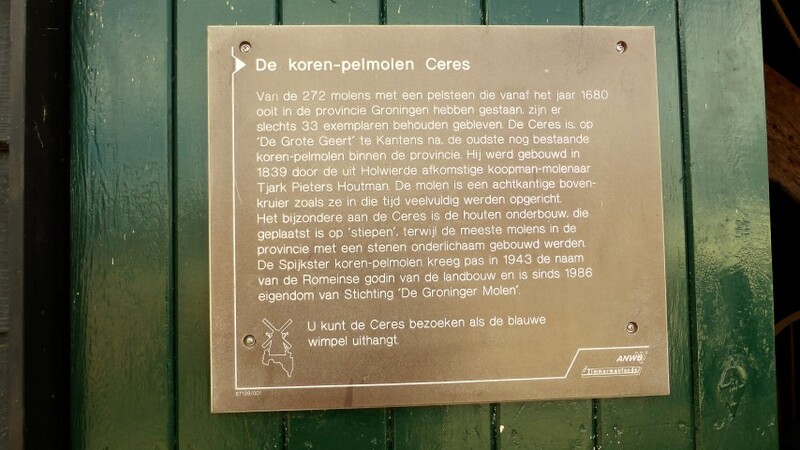 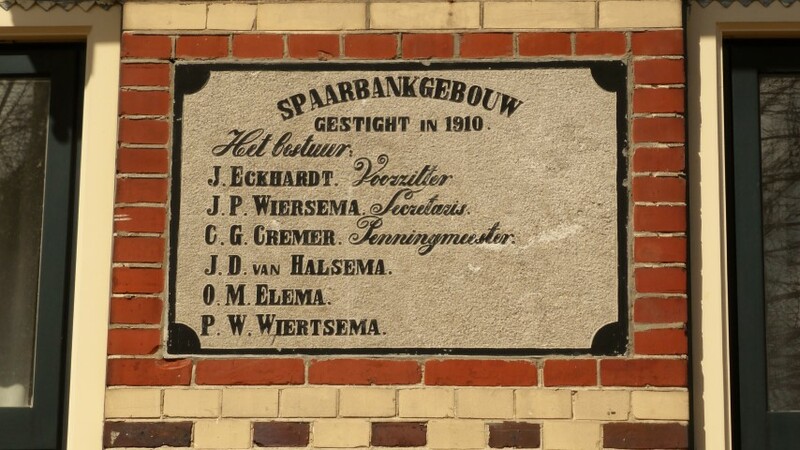 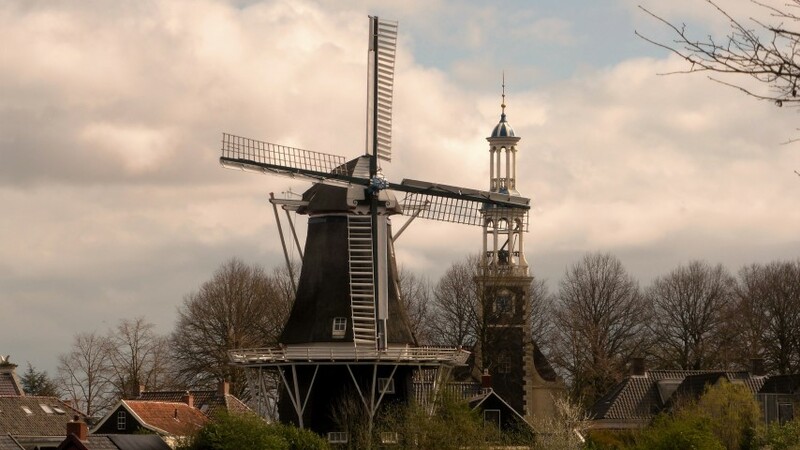 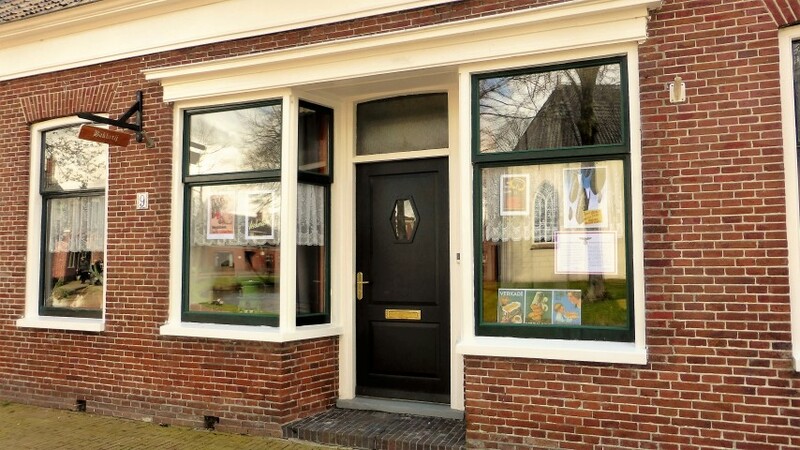 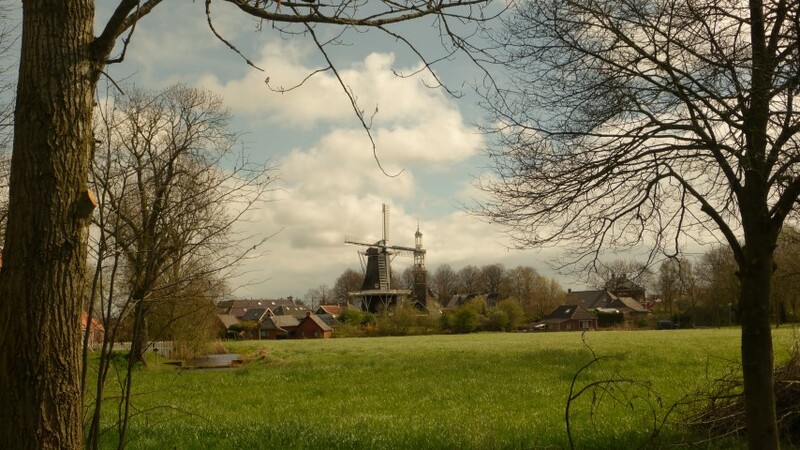 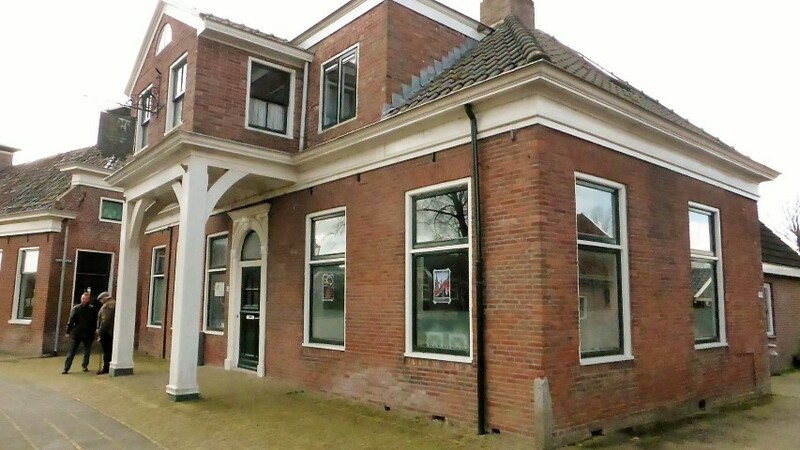 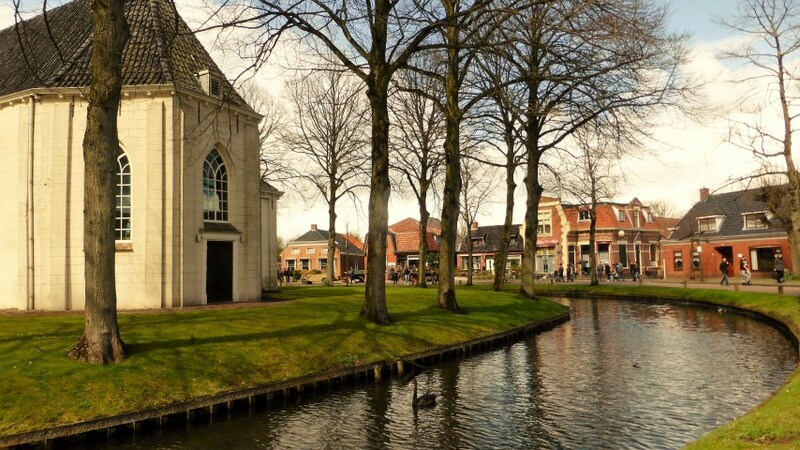 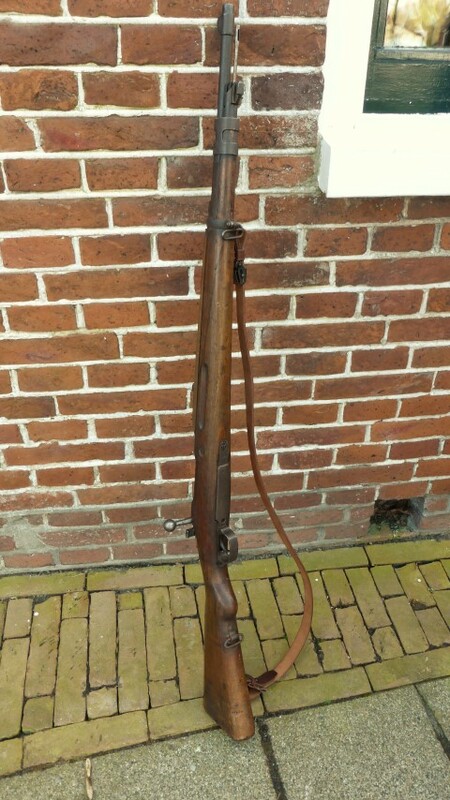 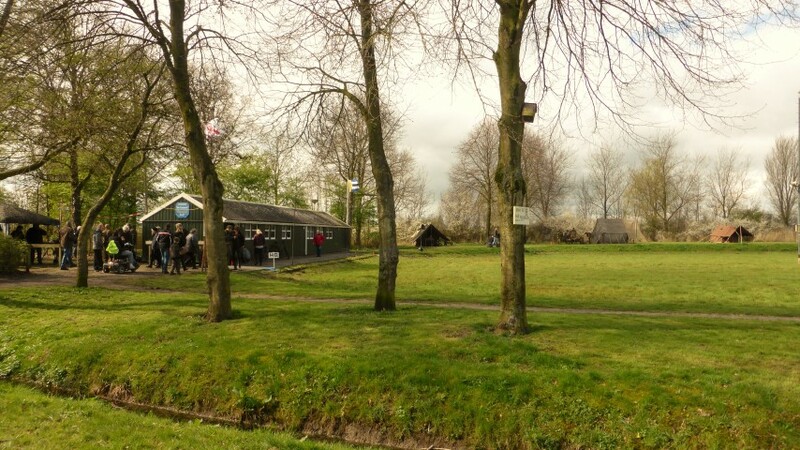 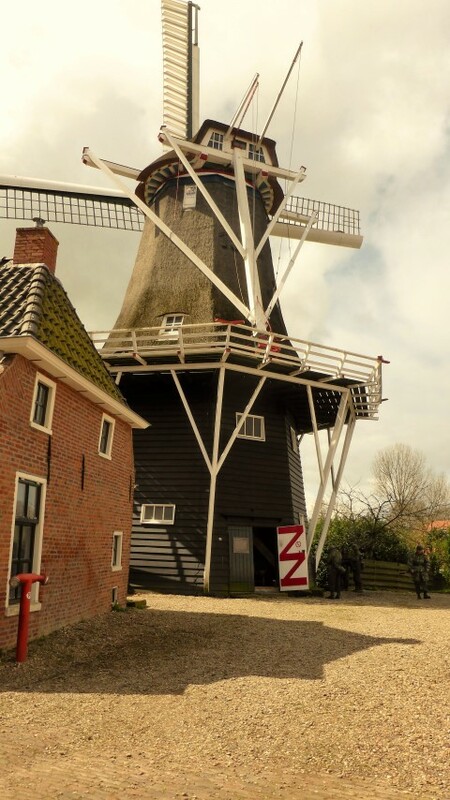 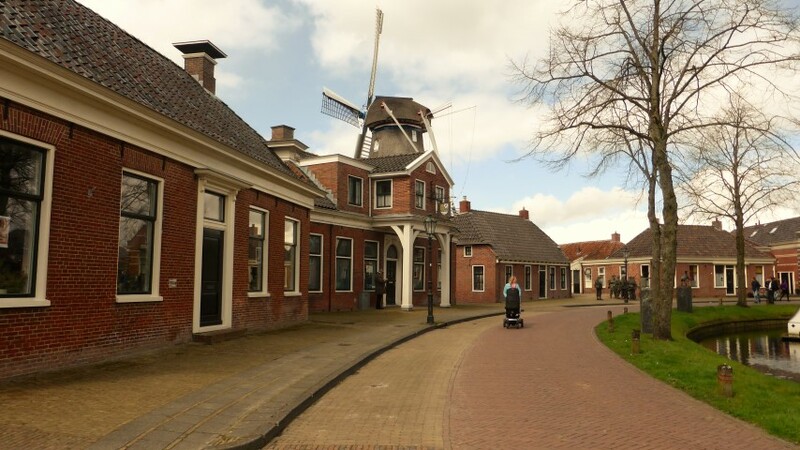 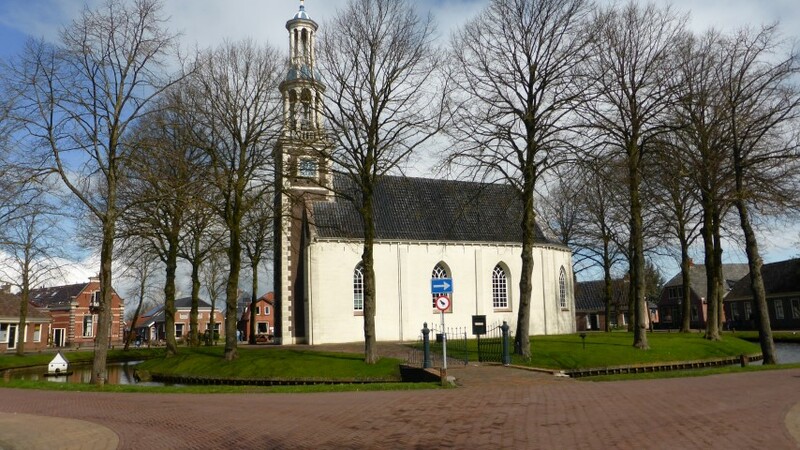 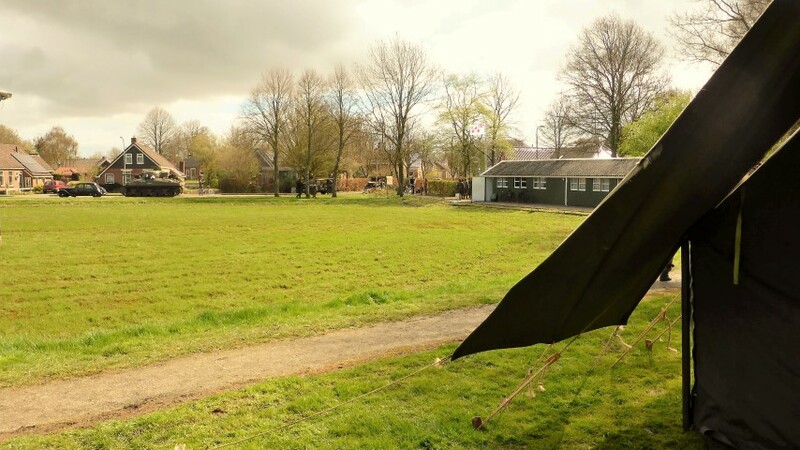 Fierce battle was fought in the villages around Delfzijl, such Holwierde, Bierum and Spijk. 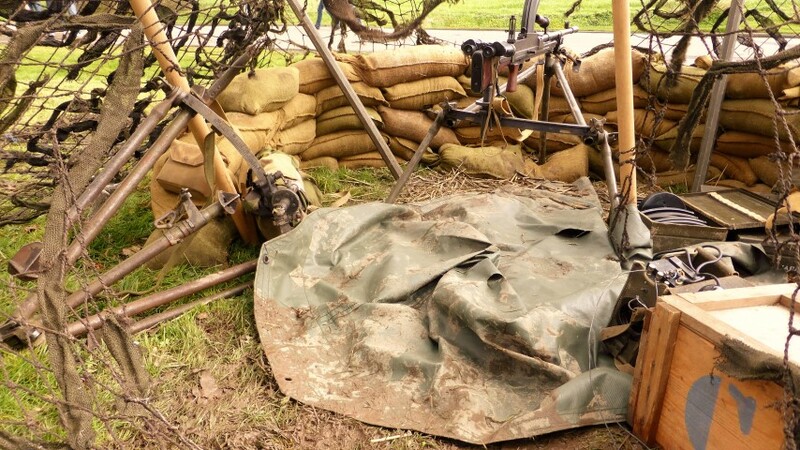 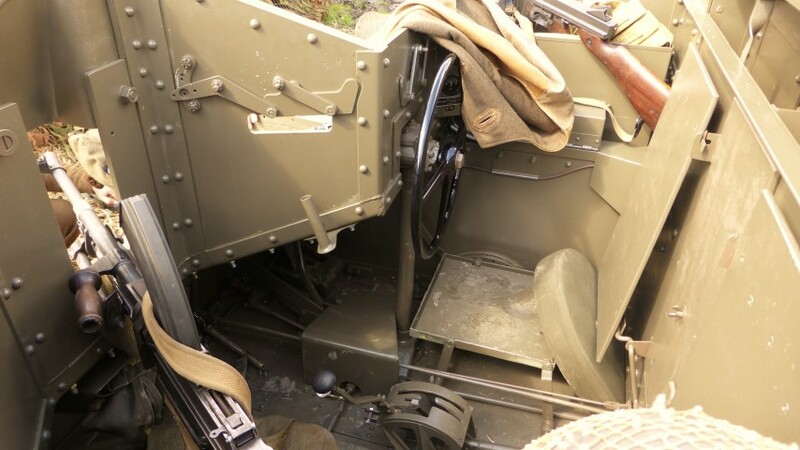 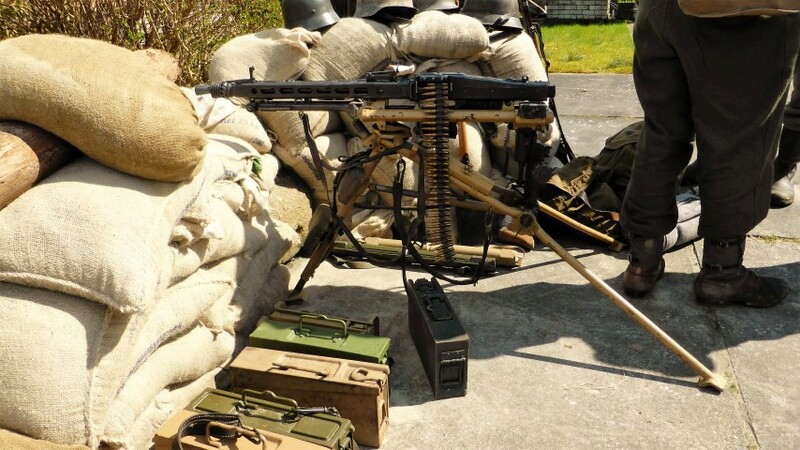 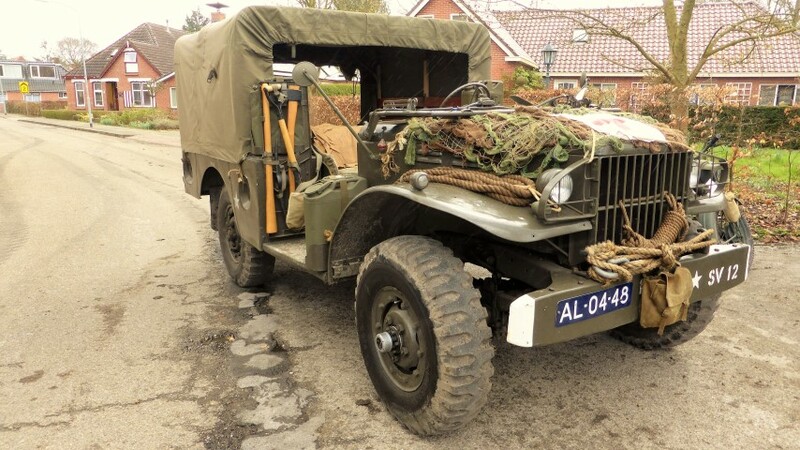 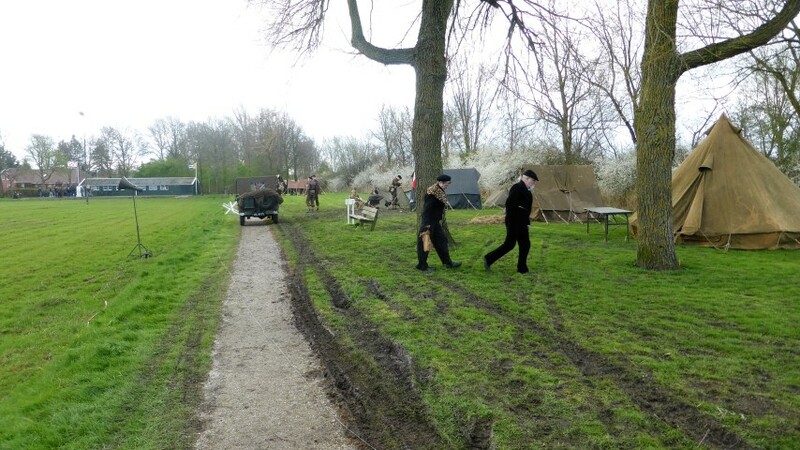 On Saturday was played the German general was kidnapped and found clashes between allied troops and the Germans. 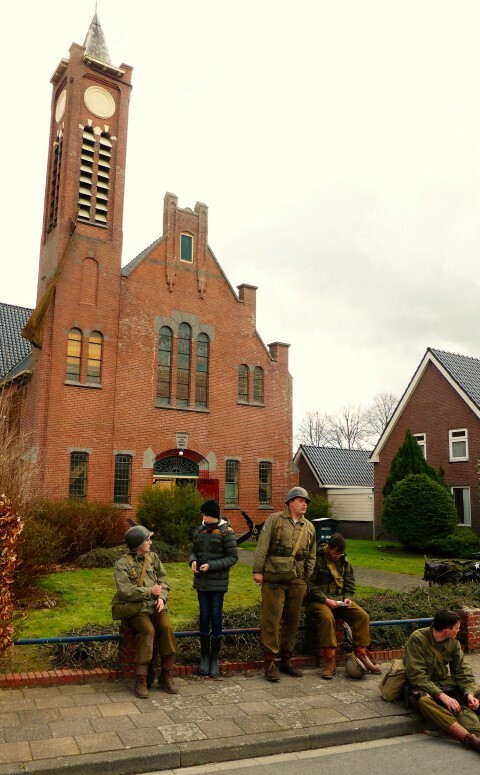 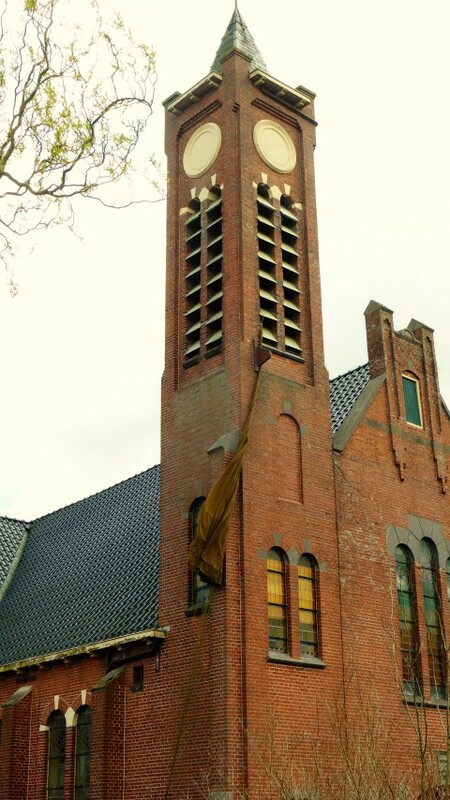 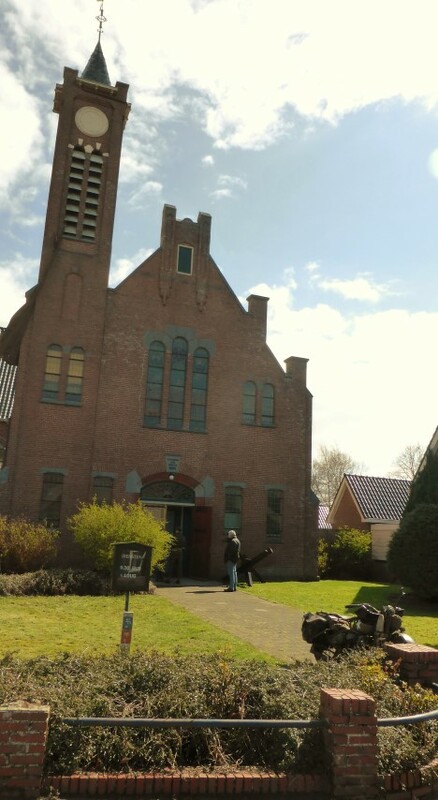 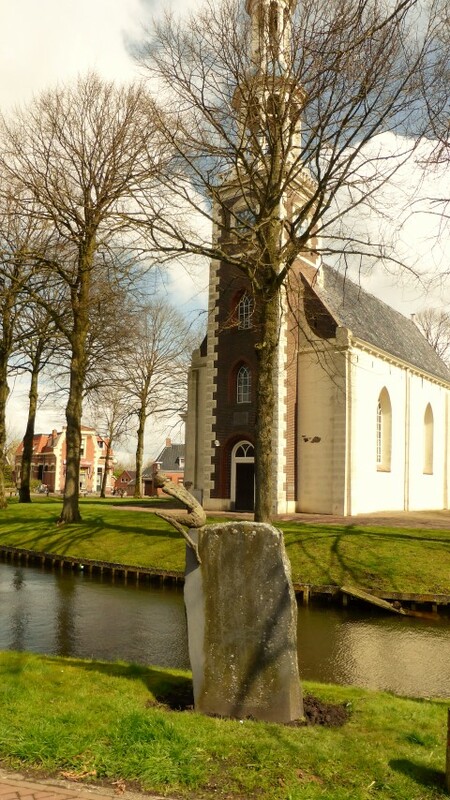 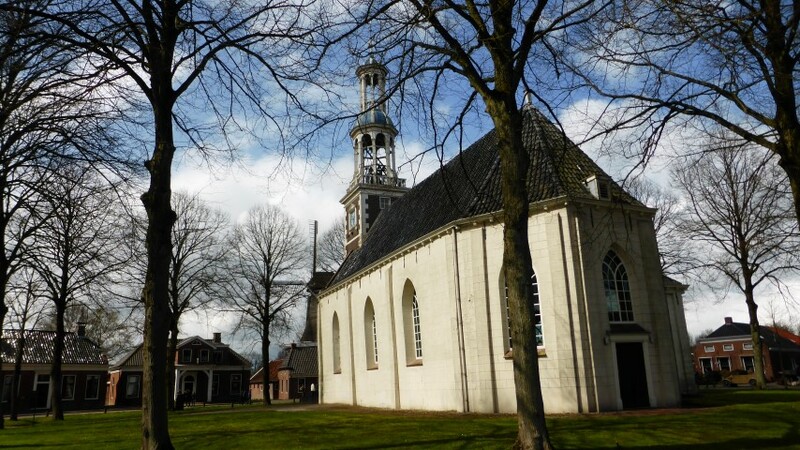 In the Reformed Church (built in 1902) the Allied soldiers had their headquarters. 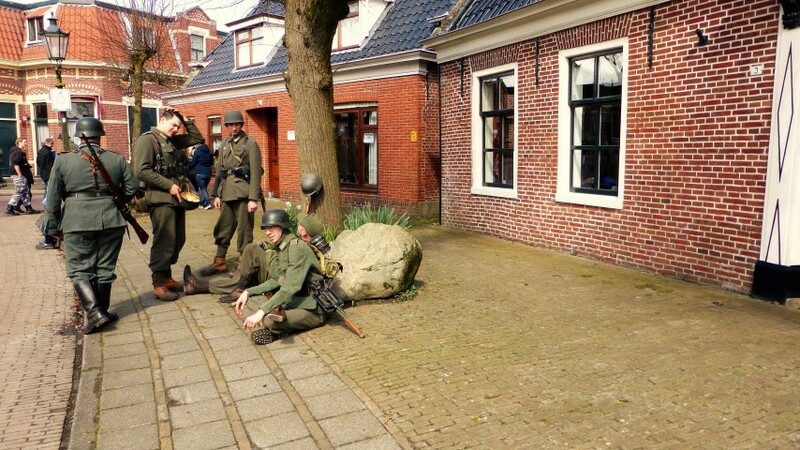 Played was that American soldiers had their headquarters. 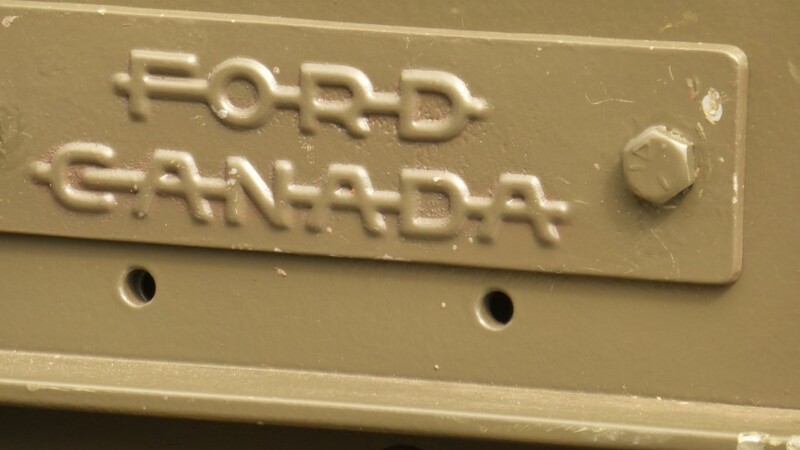 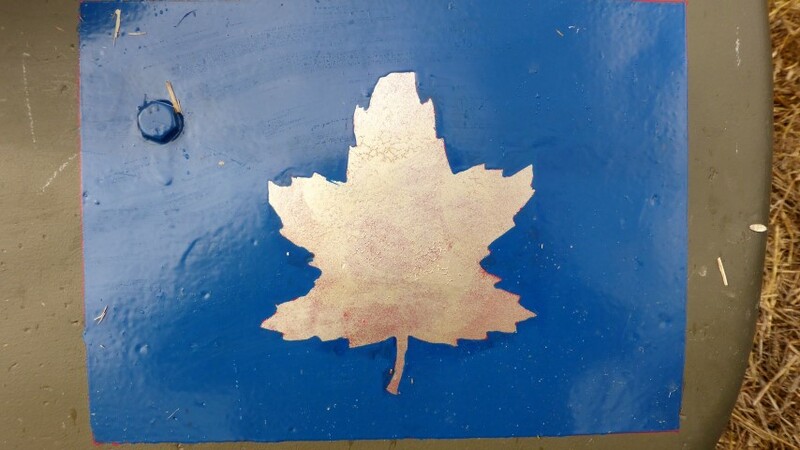 In reality, however, the Canadians. 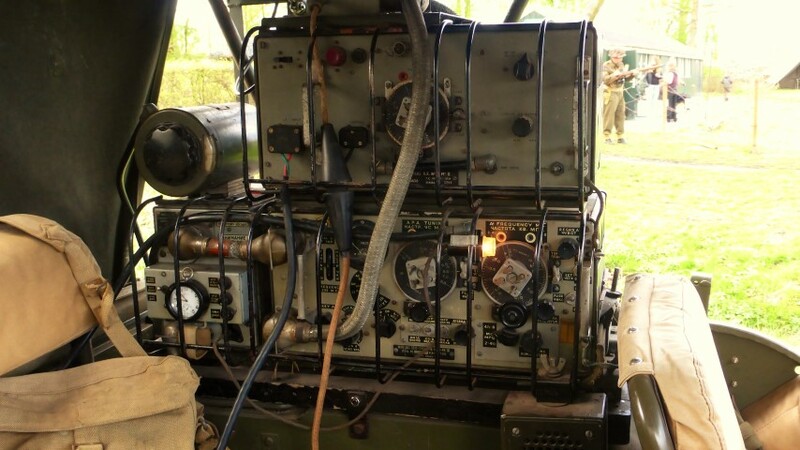 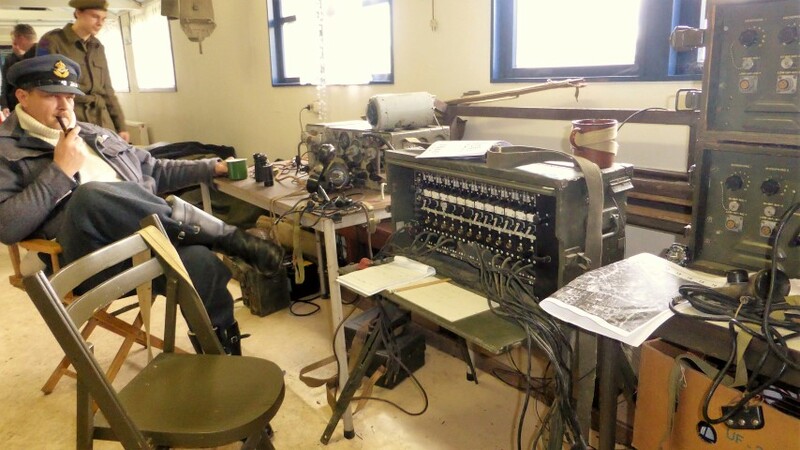 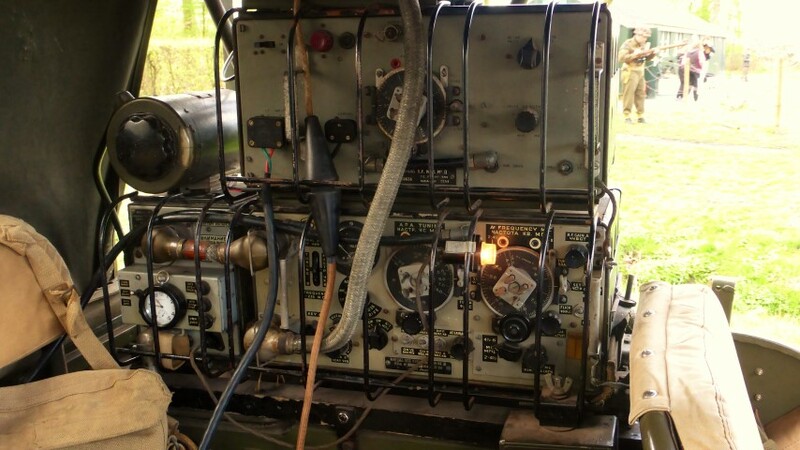 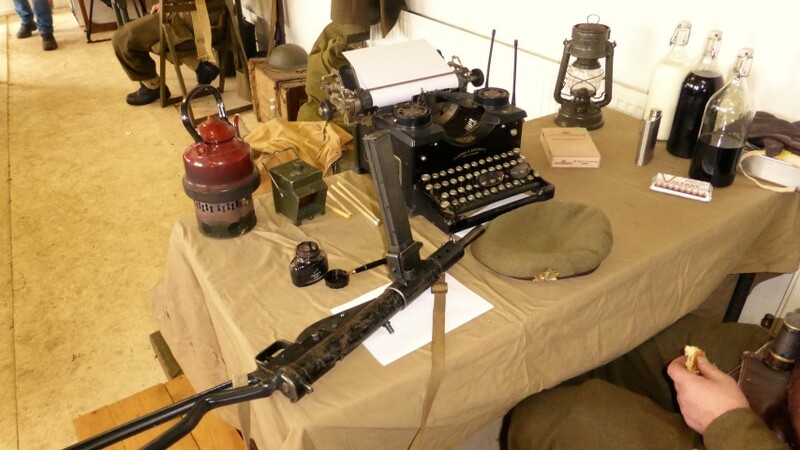 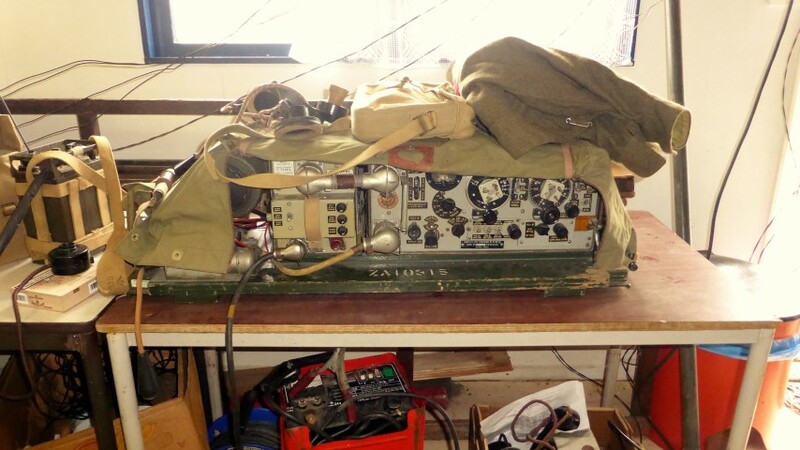 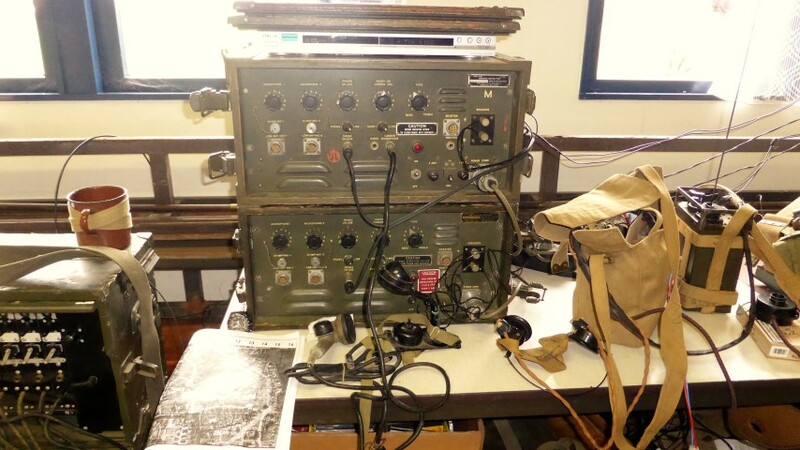 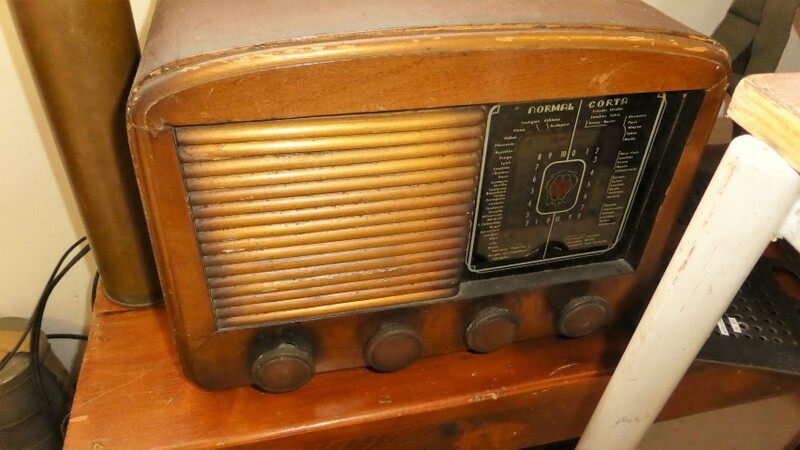 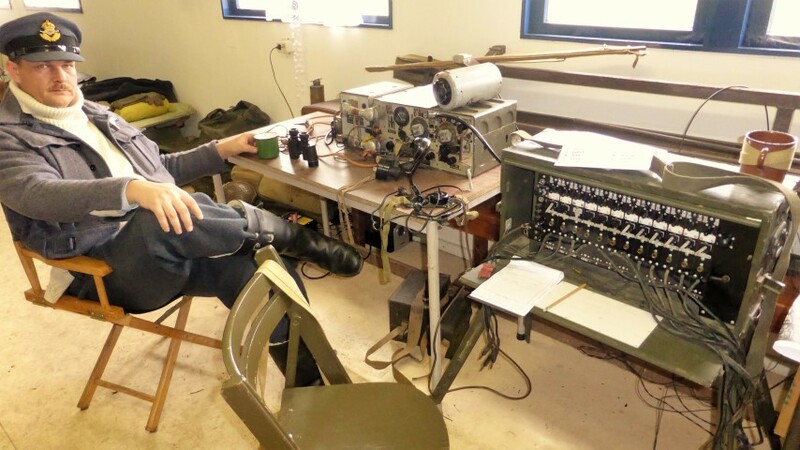 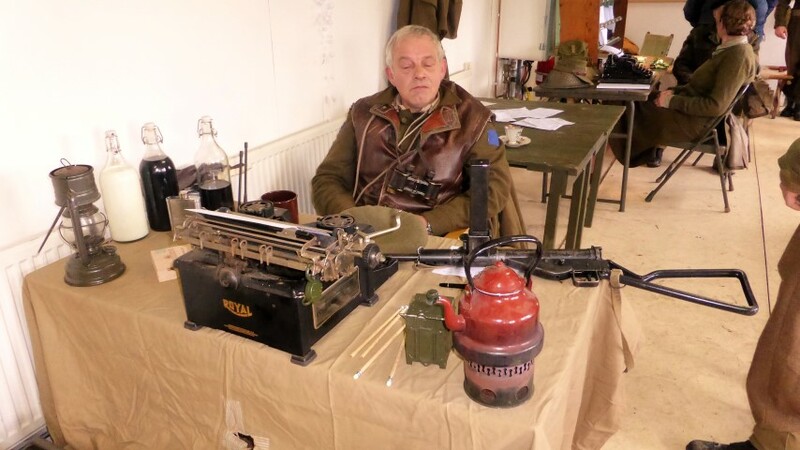 There was also a headquarters at the rink that was very realistically portrayed with radio equipment. 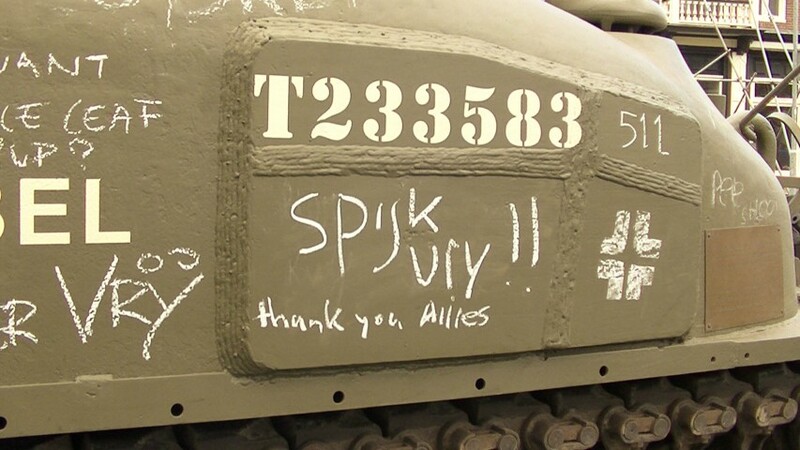 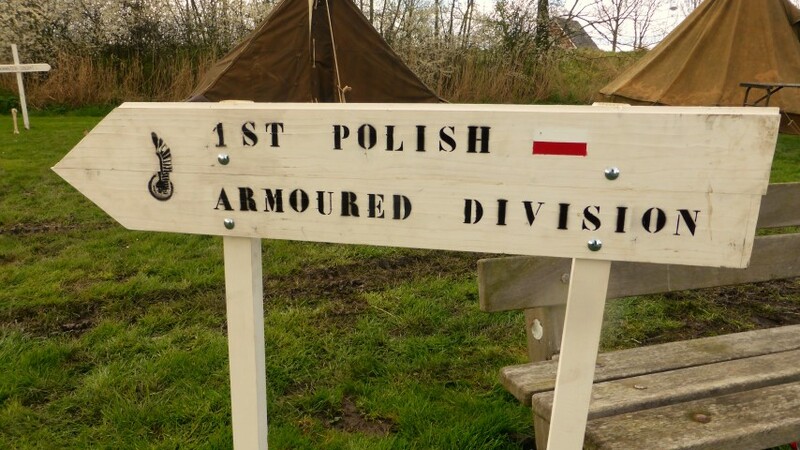 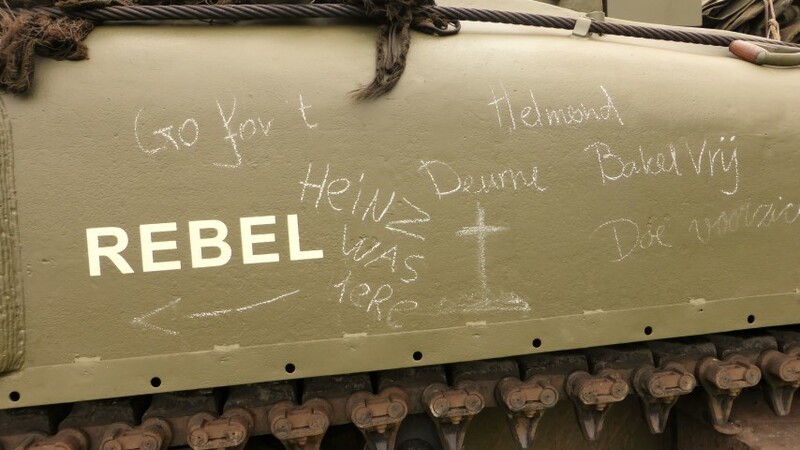 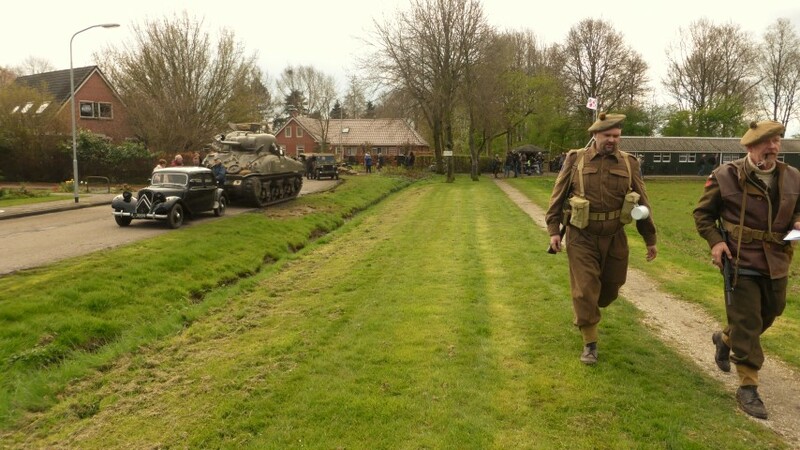 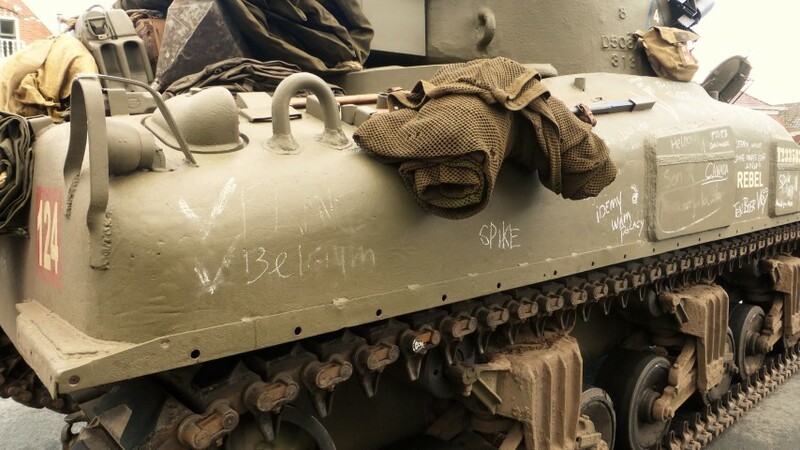 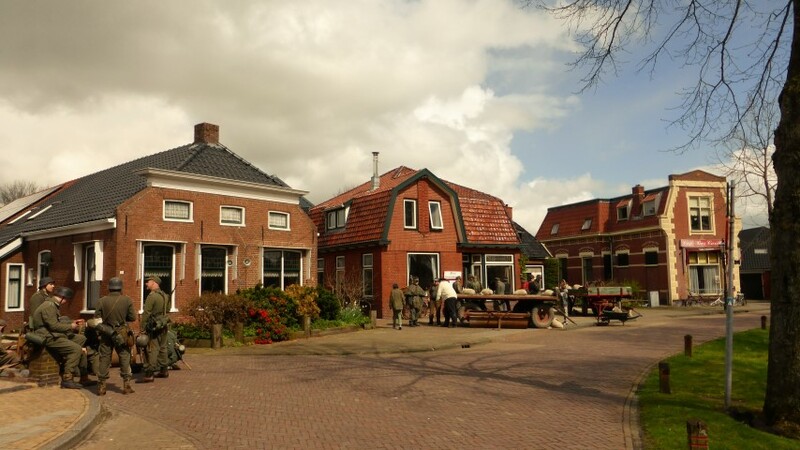 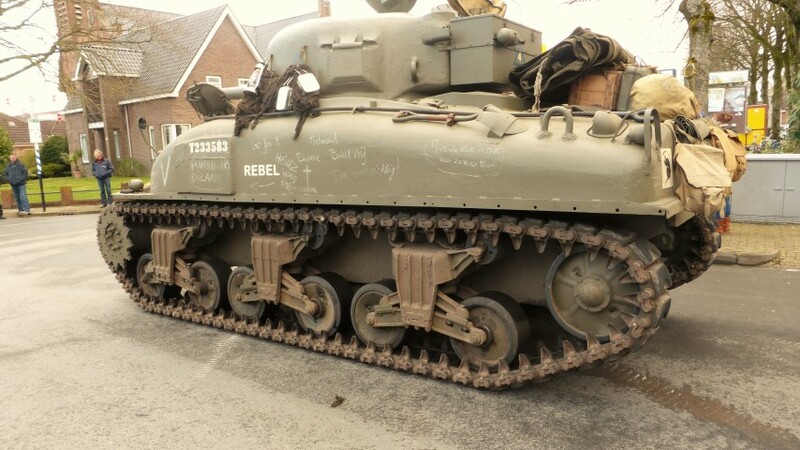 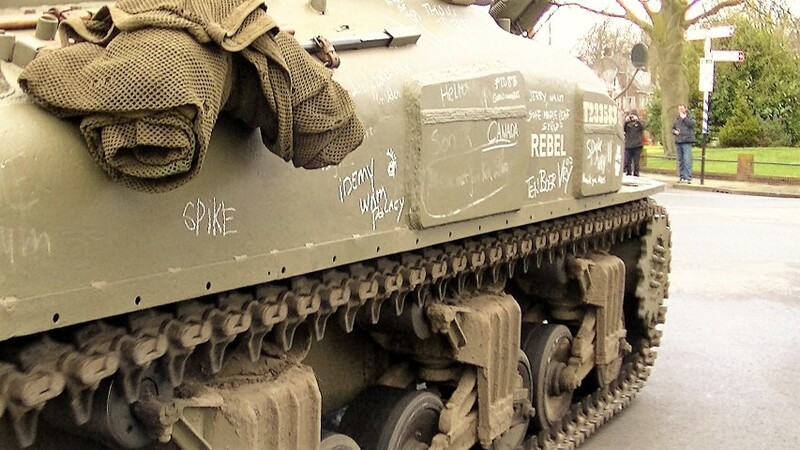 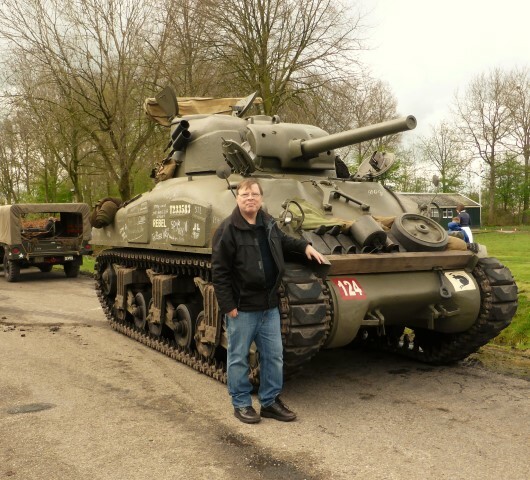 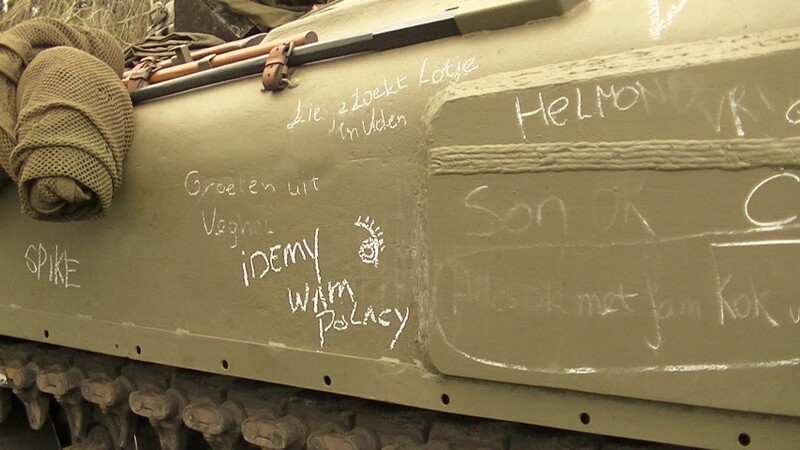 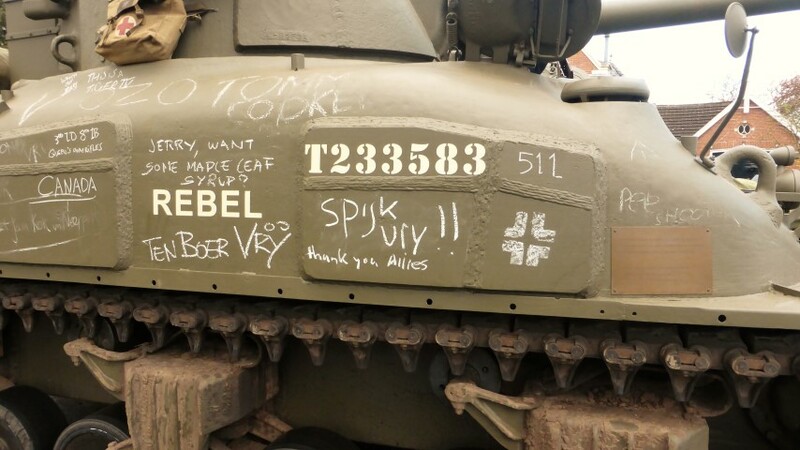 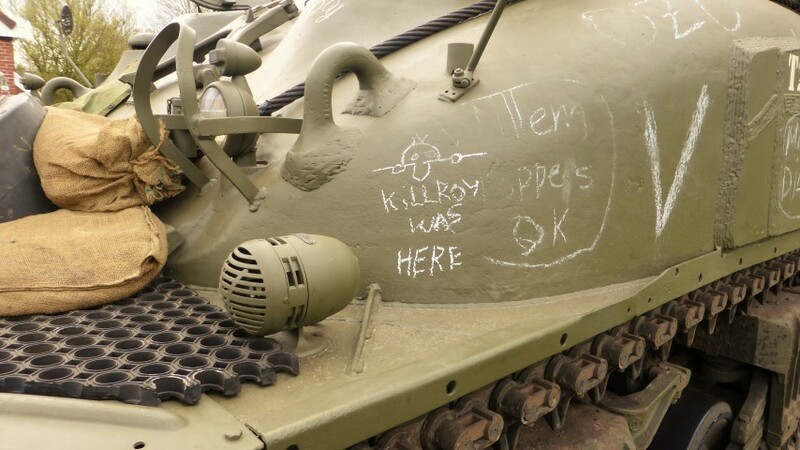 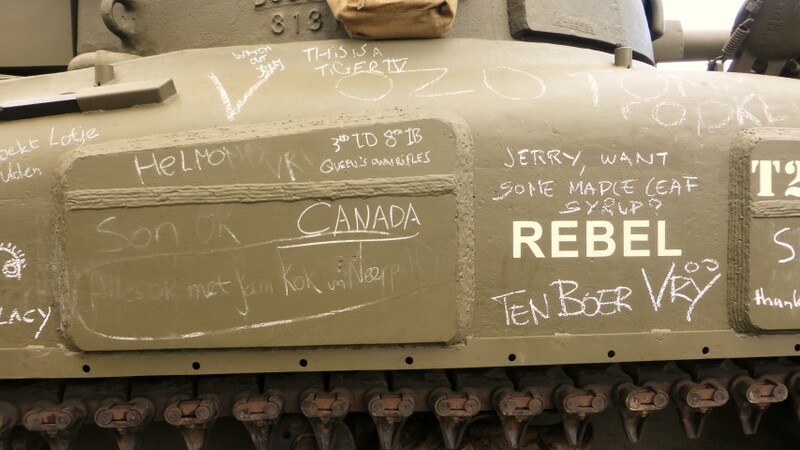 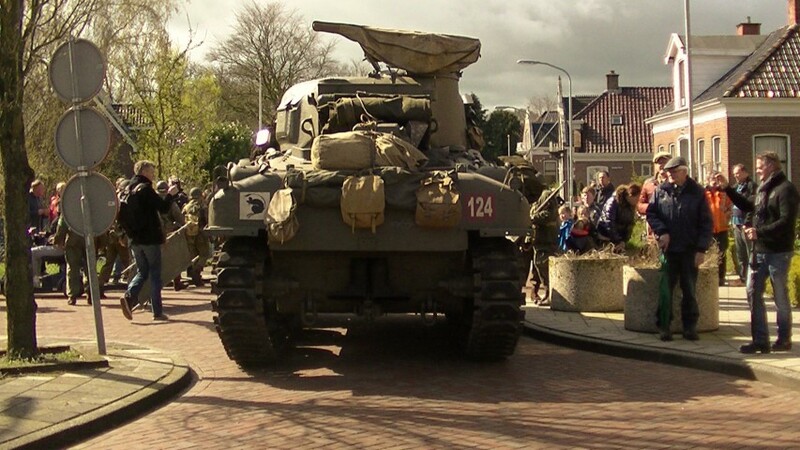 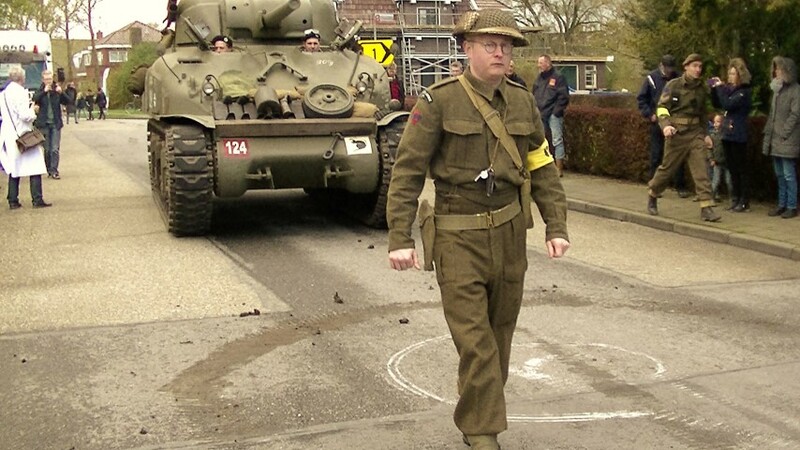 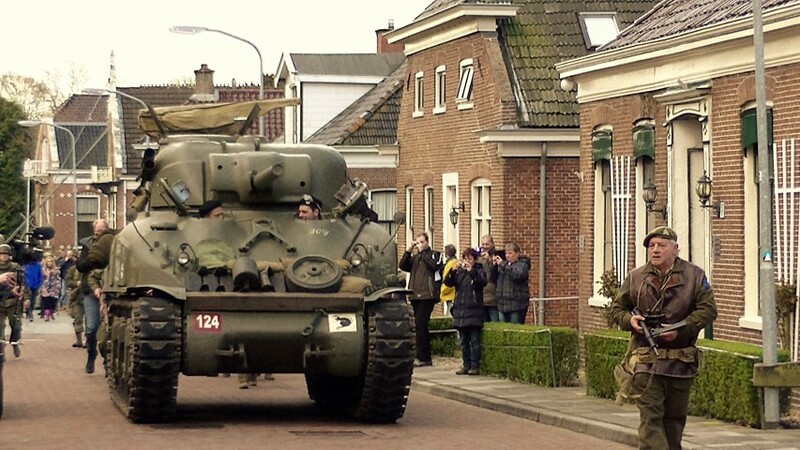 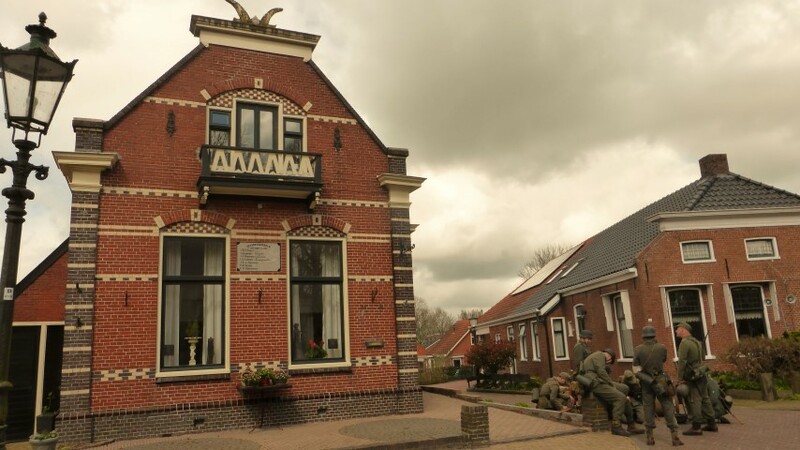 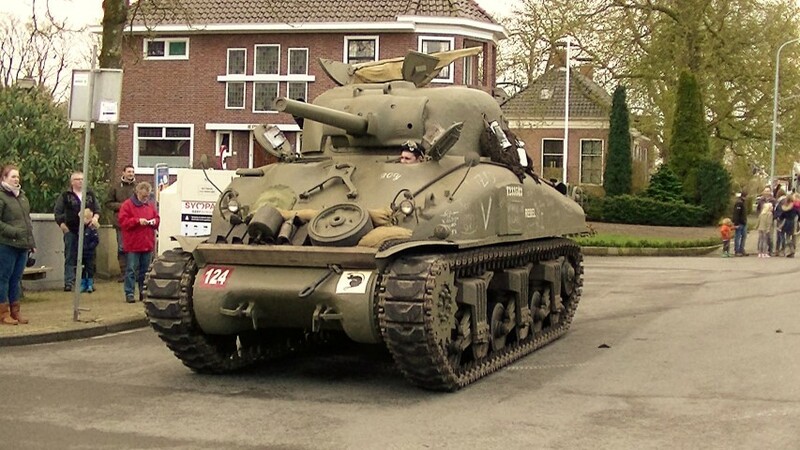 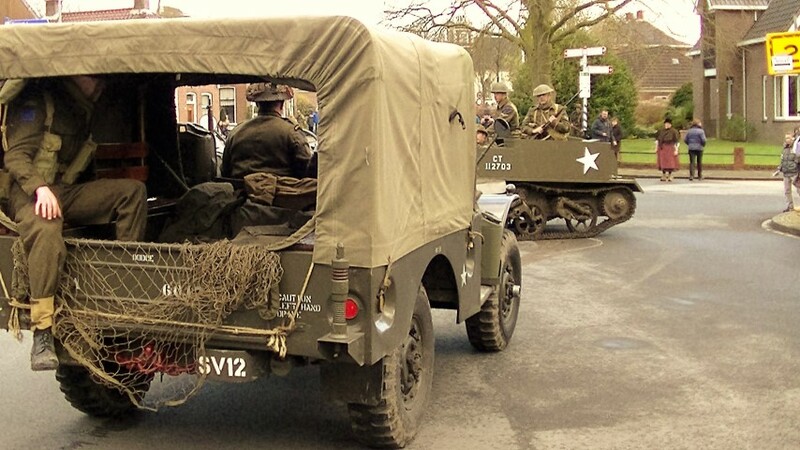 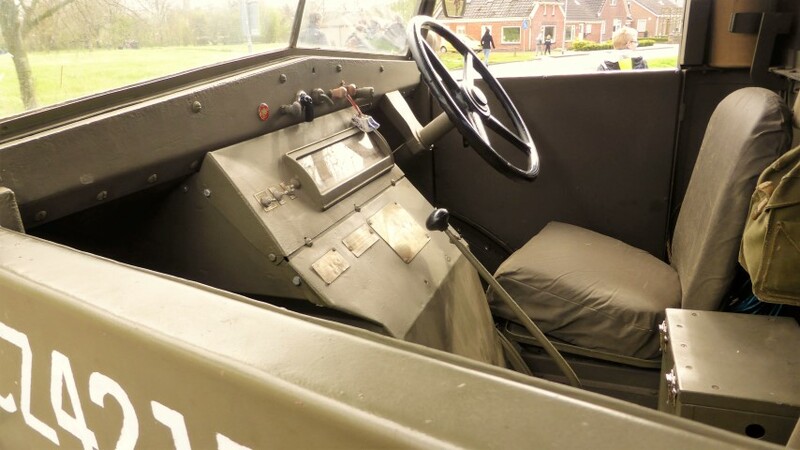 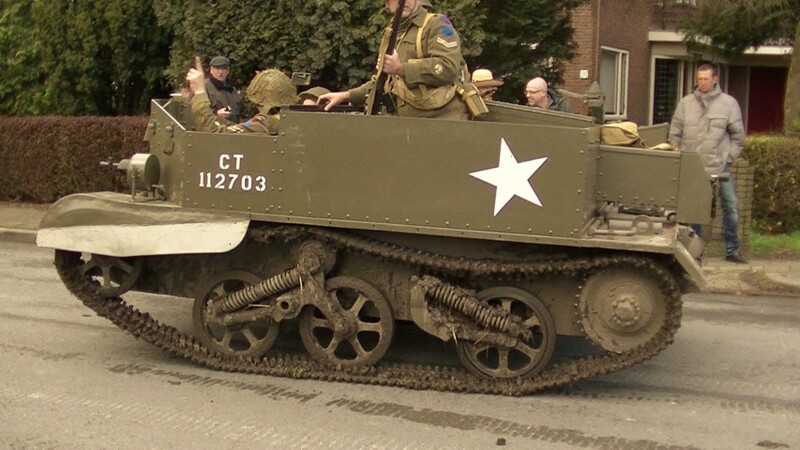 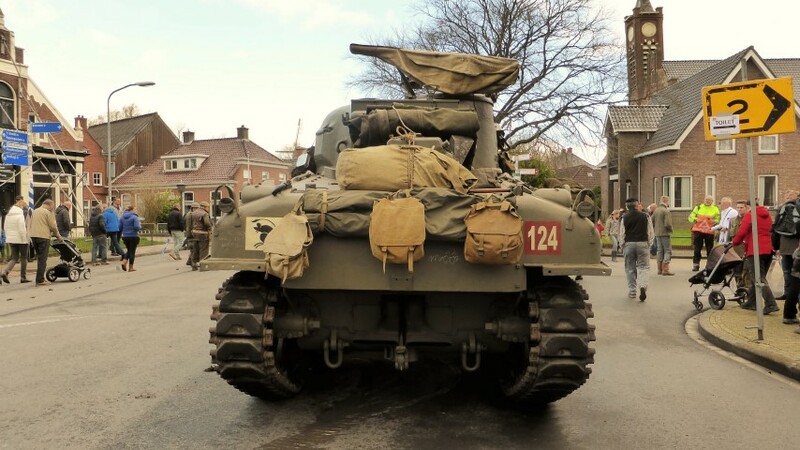 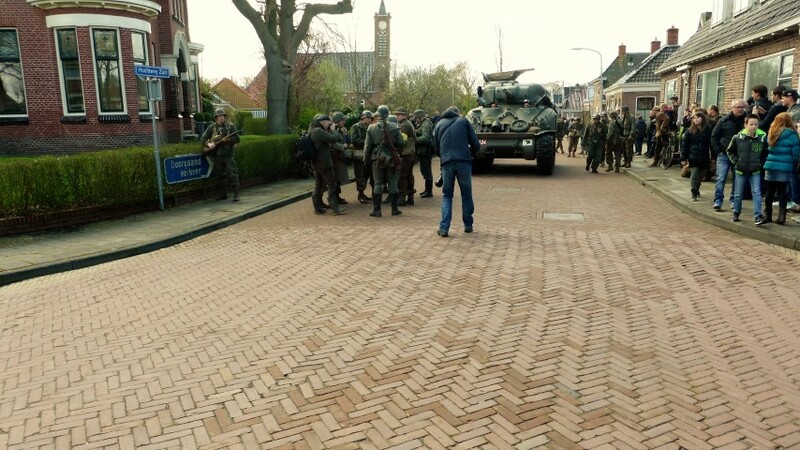 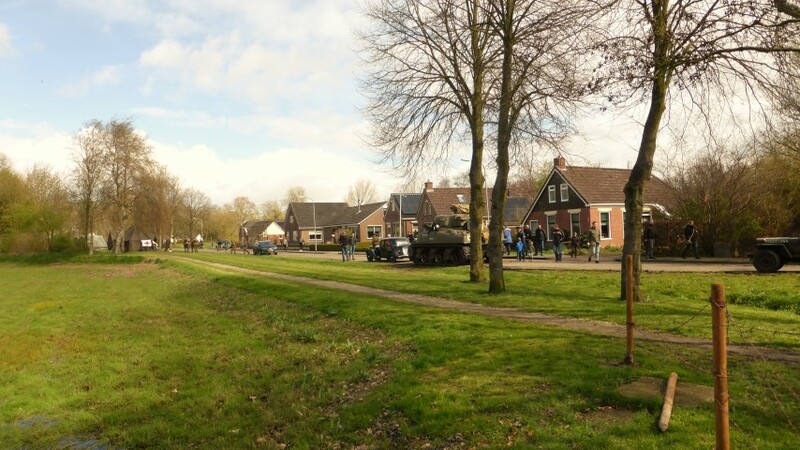 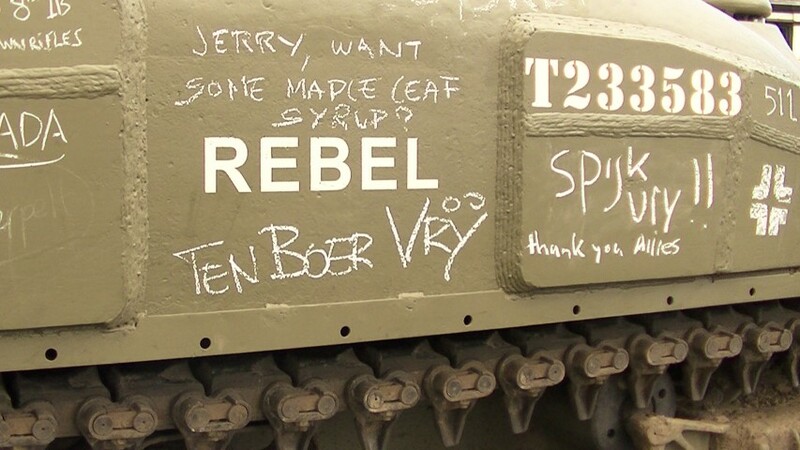 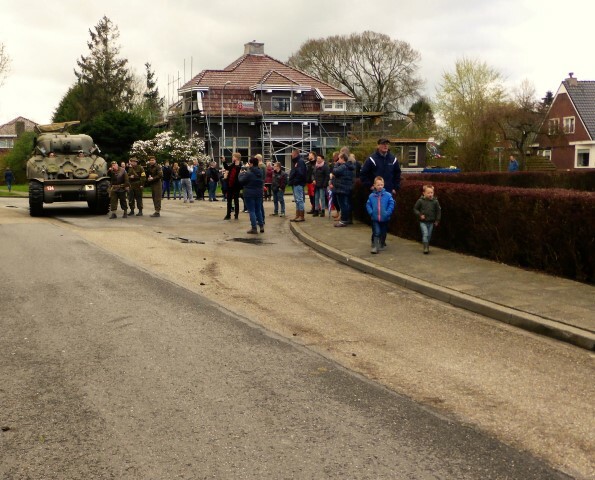 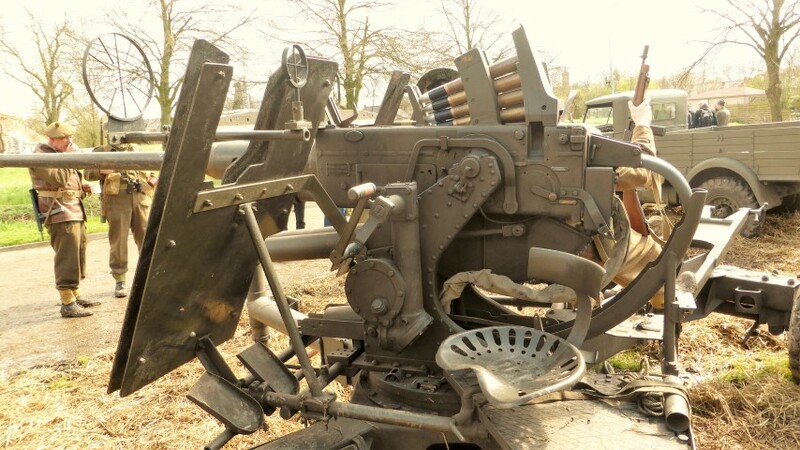 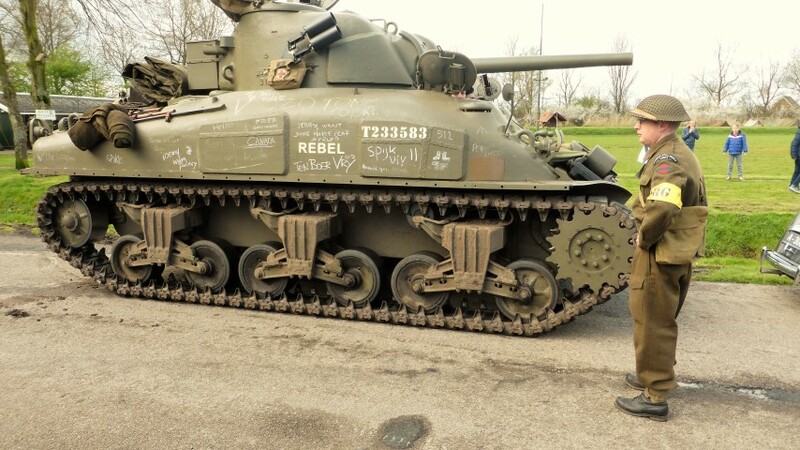 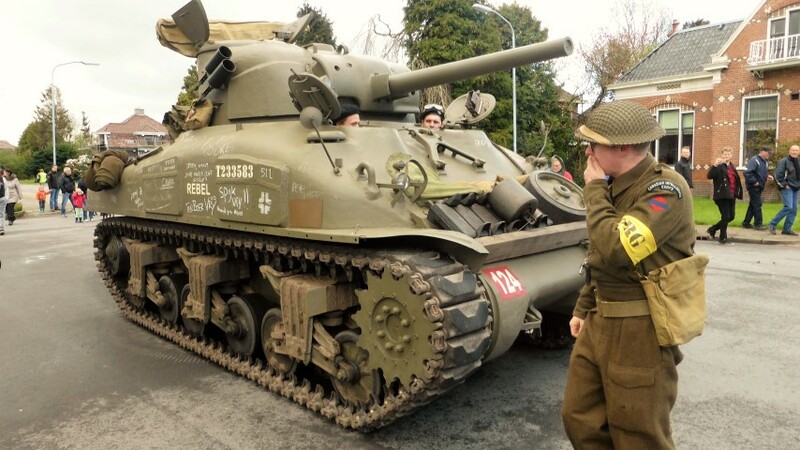 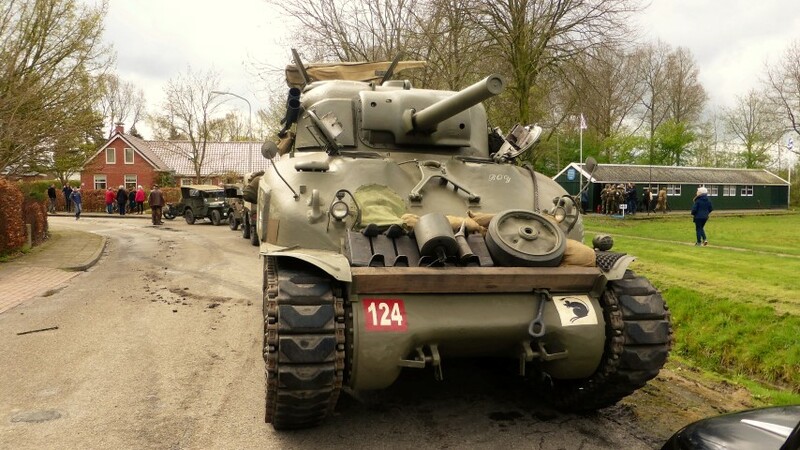 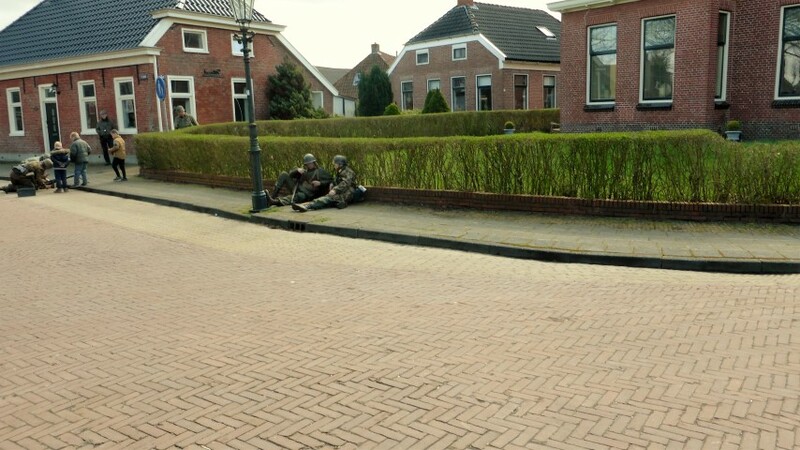 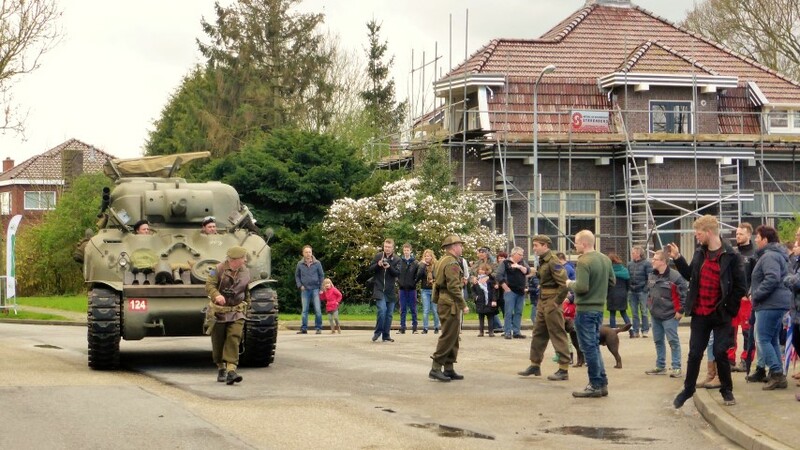 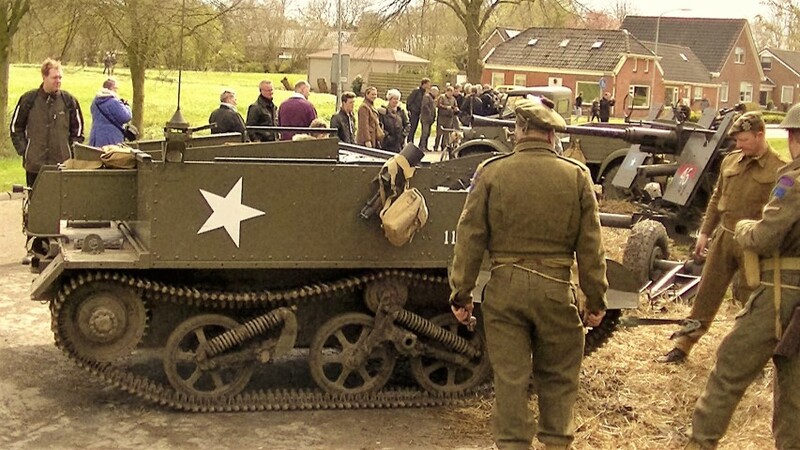 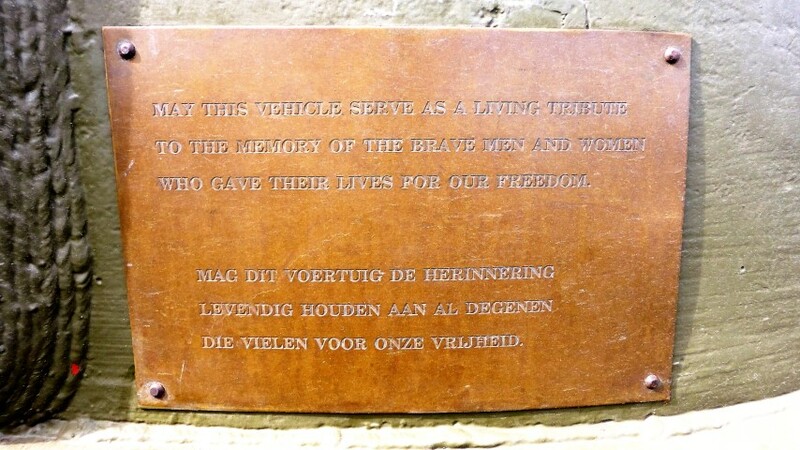 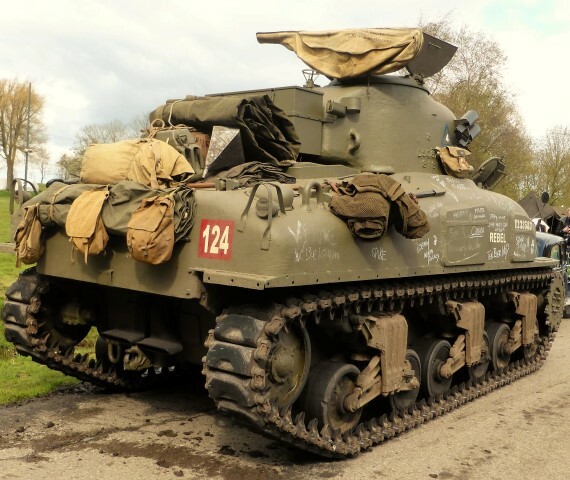 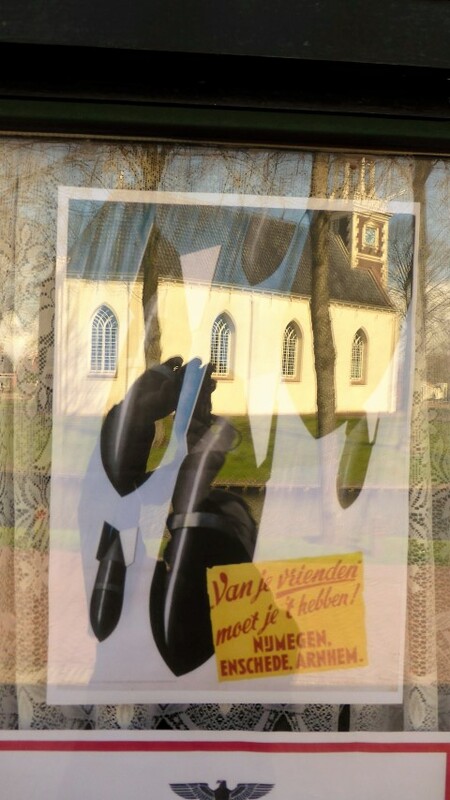 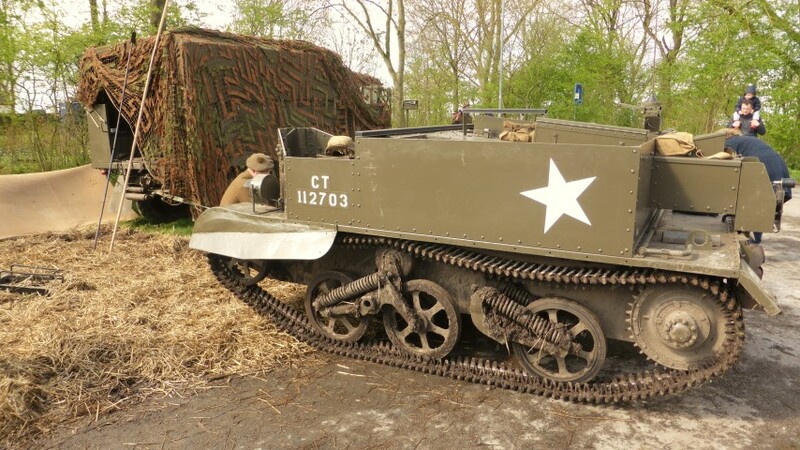 There were heavy fighting and finally Spijk was released and drove a Sherman tank through the village. 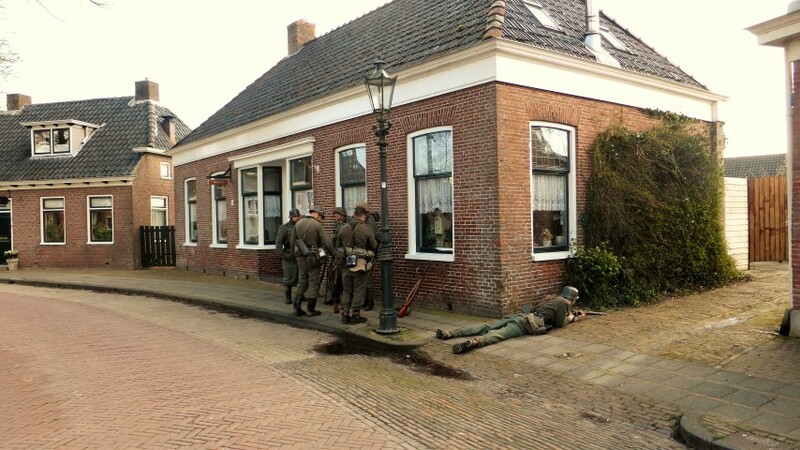 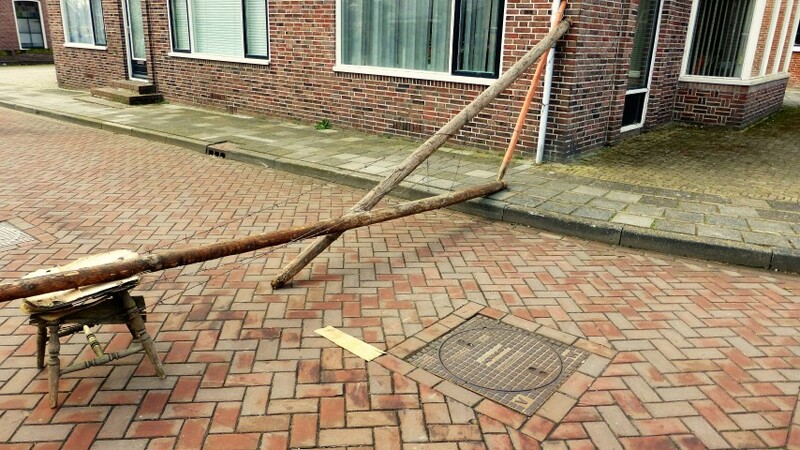 The German general surrendered and the Dutch flag was out again. 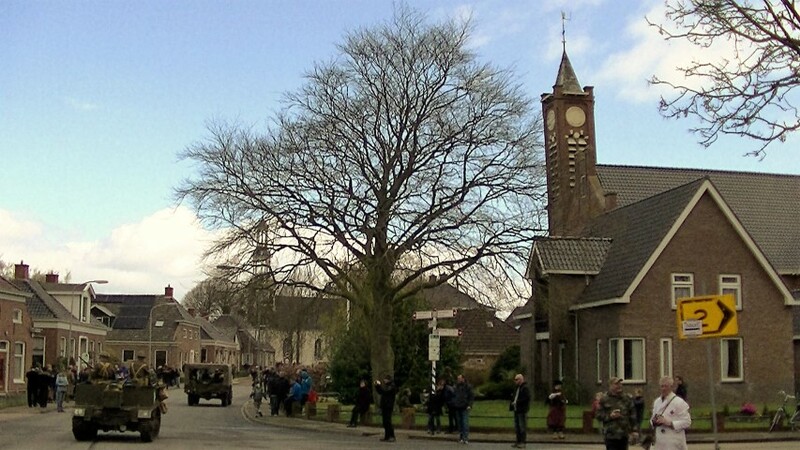 the Last Post was played from the tower of the church after a minute of silence followed to commemorate the fallen. 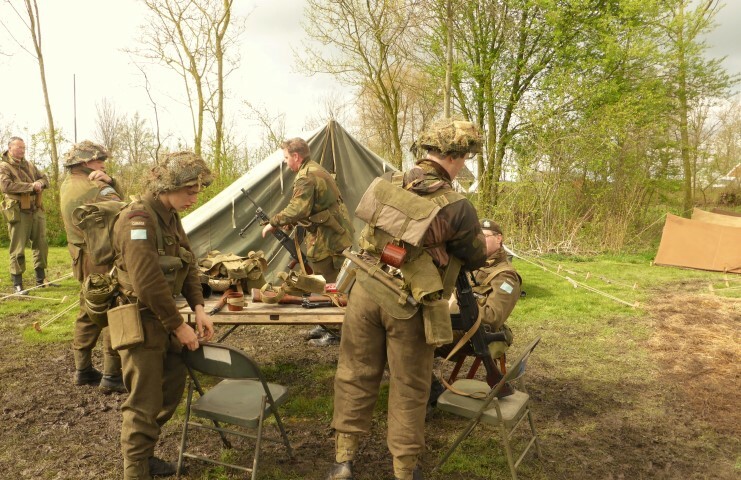 Our sincere thanks to the organization that this great event this weekend organized and hopefully this event will again follow next year. 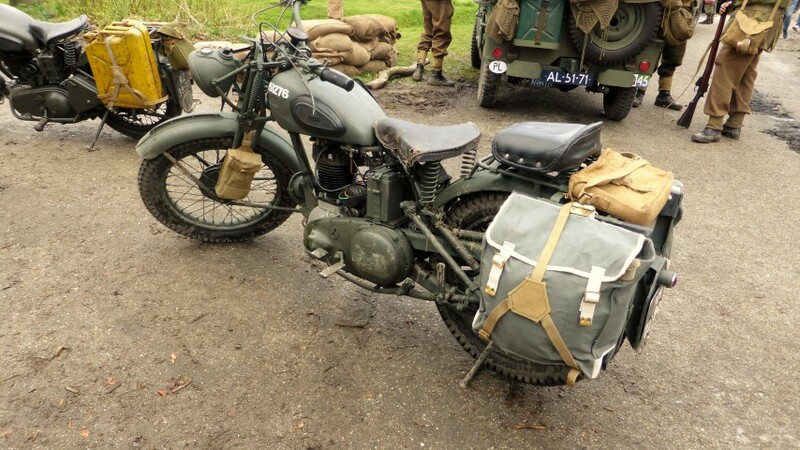 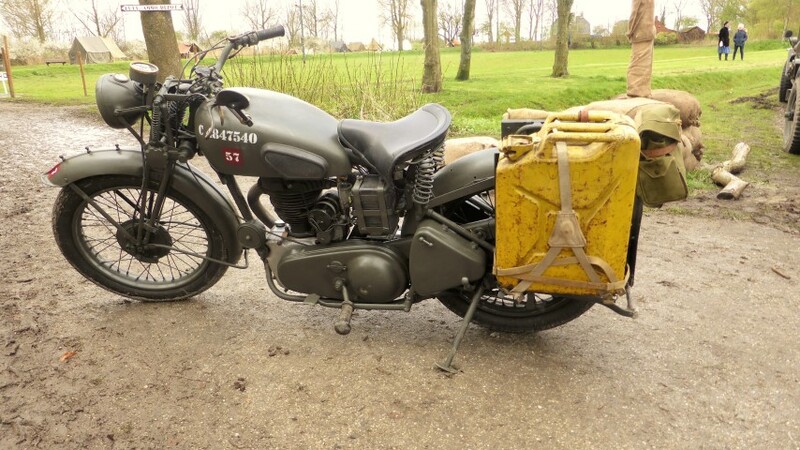 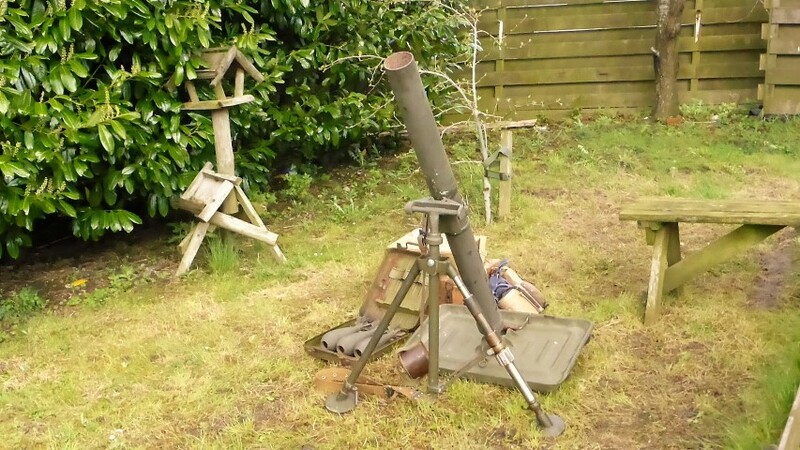 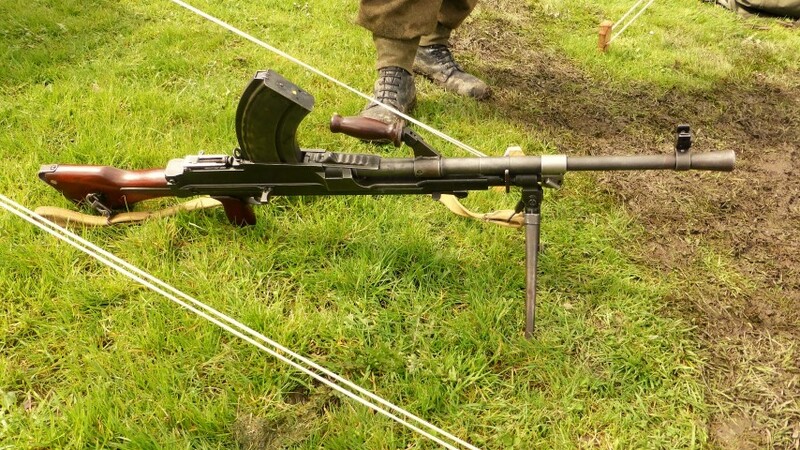 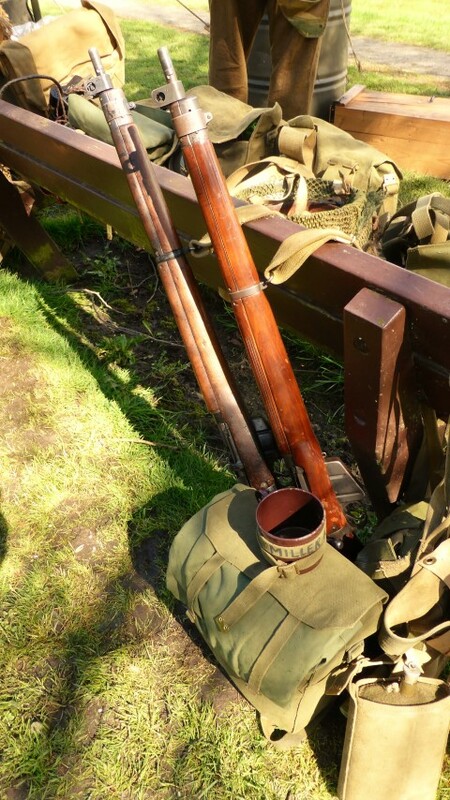 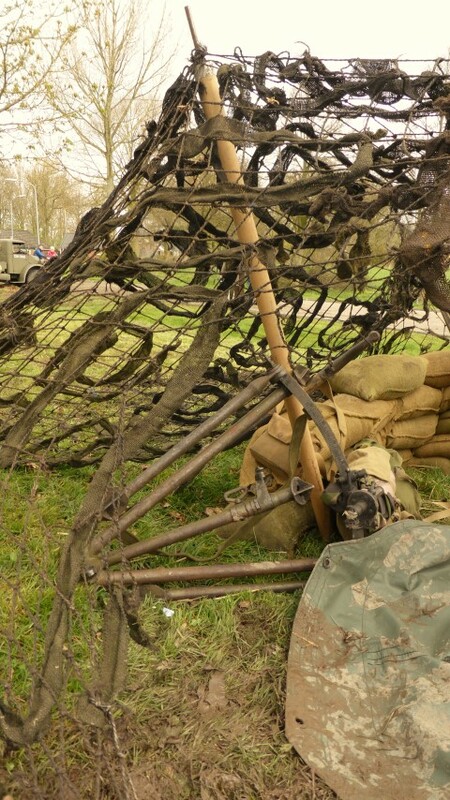 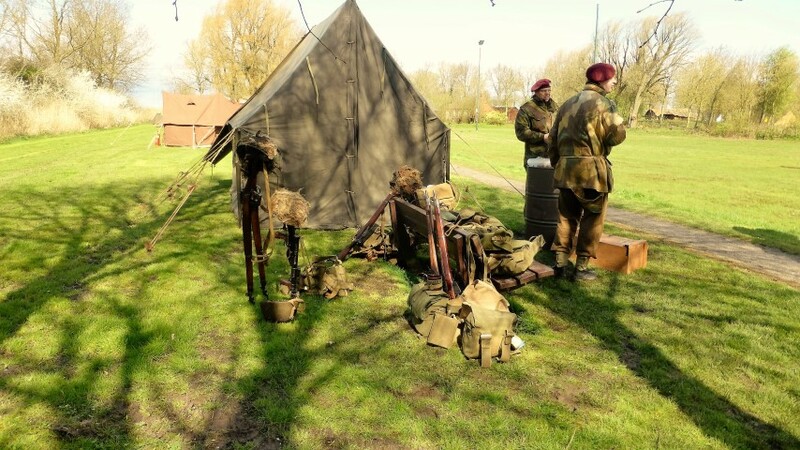 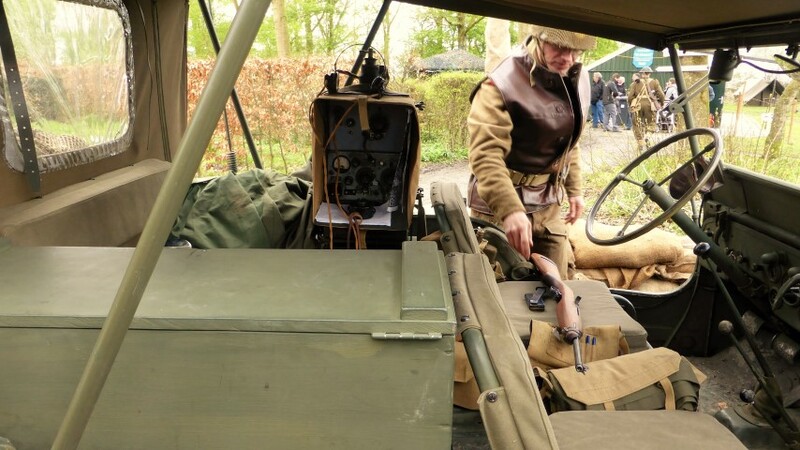 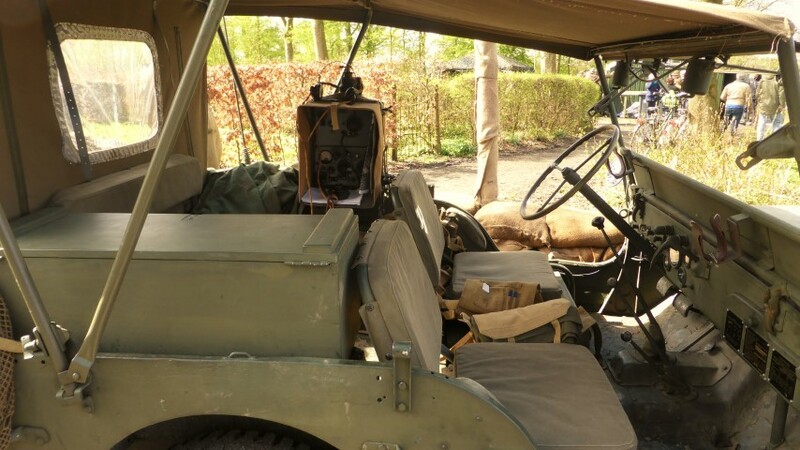 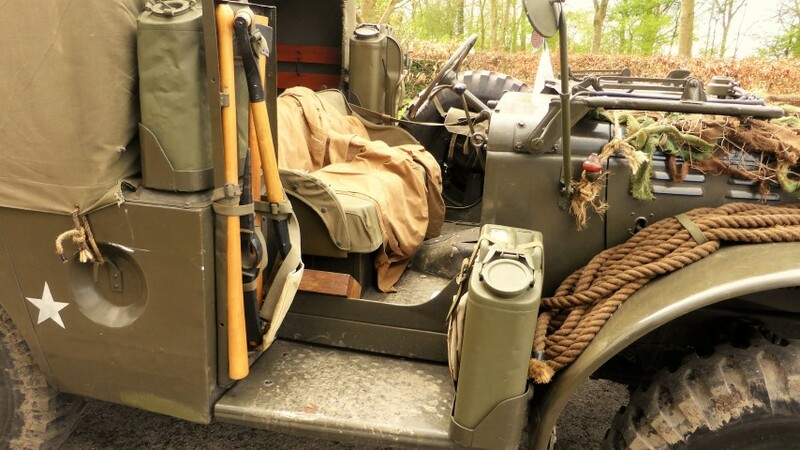 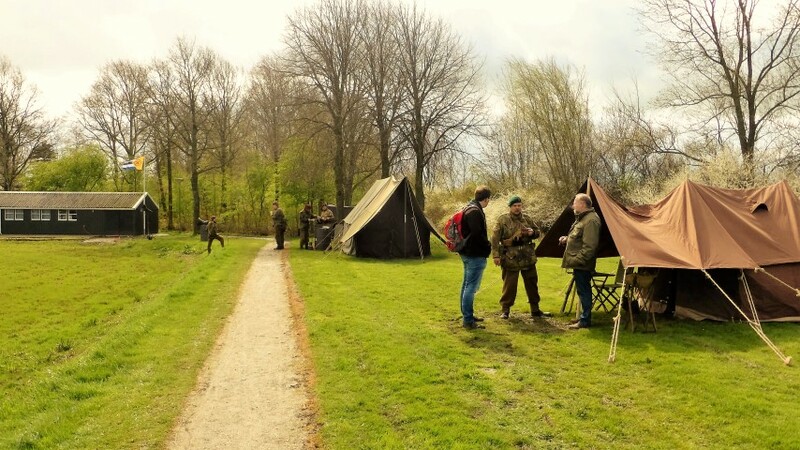 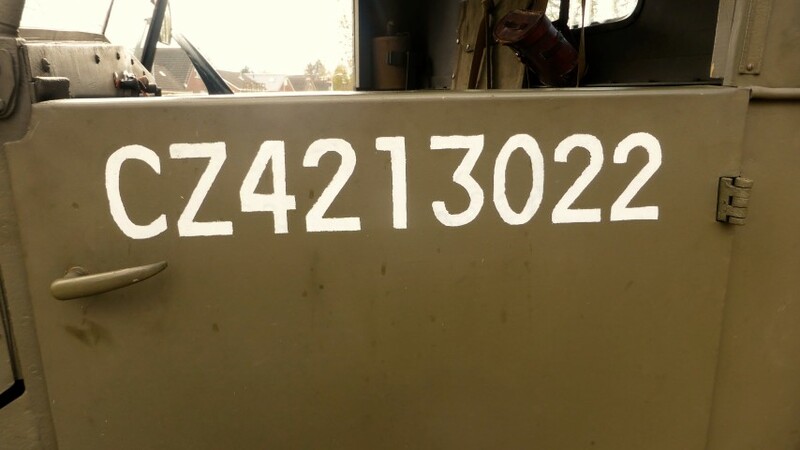 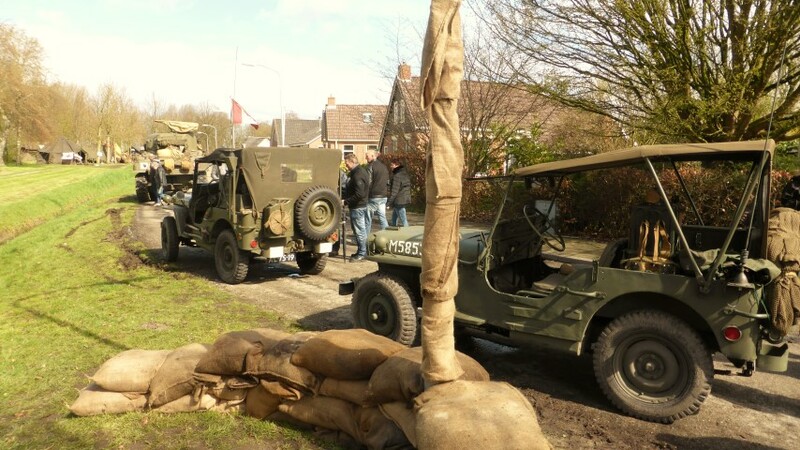 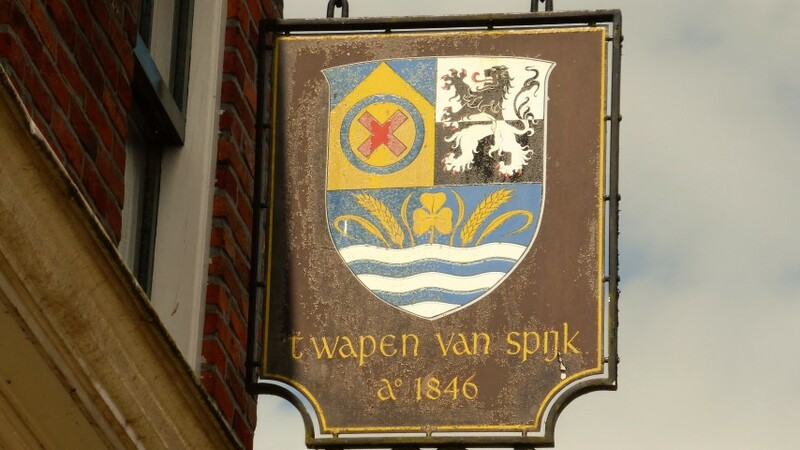 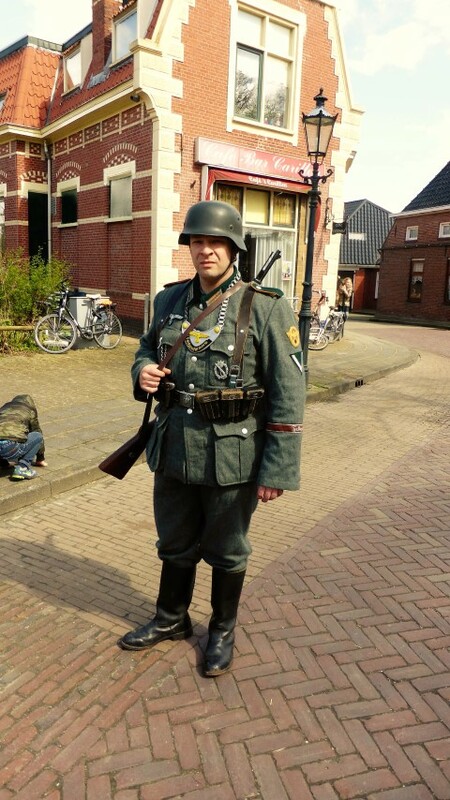 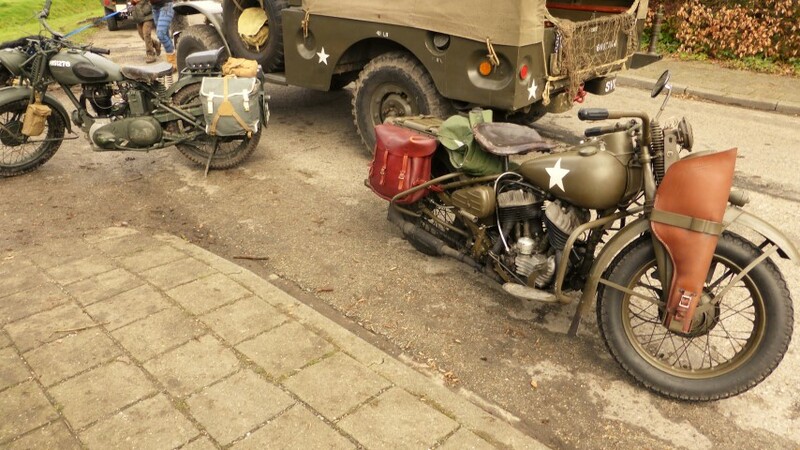 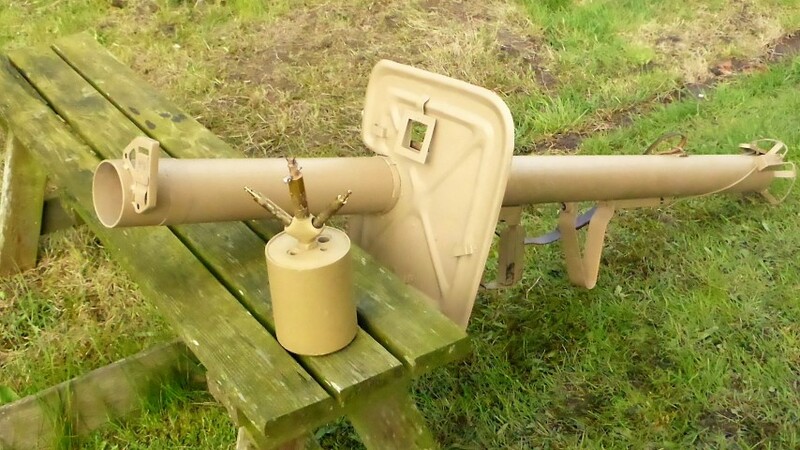 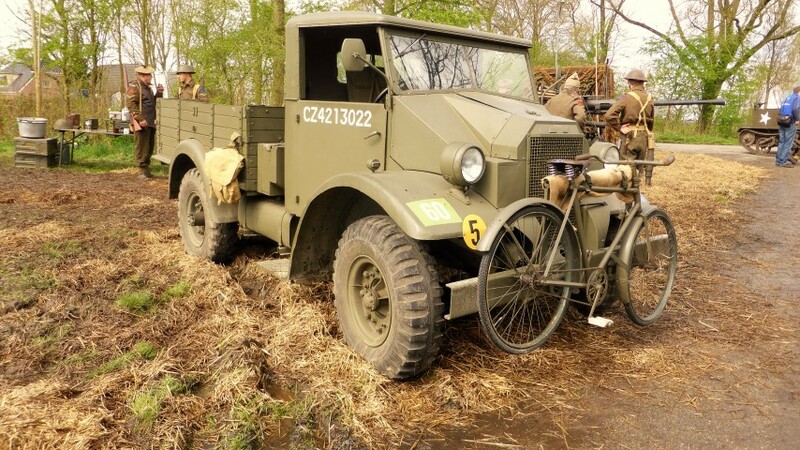 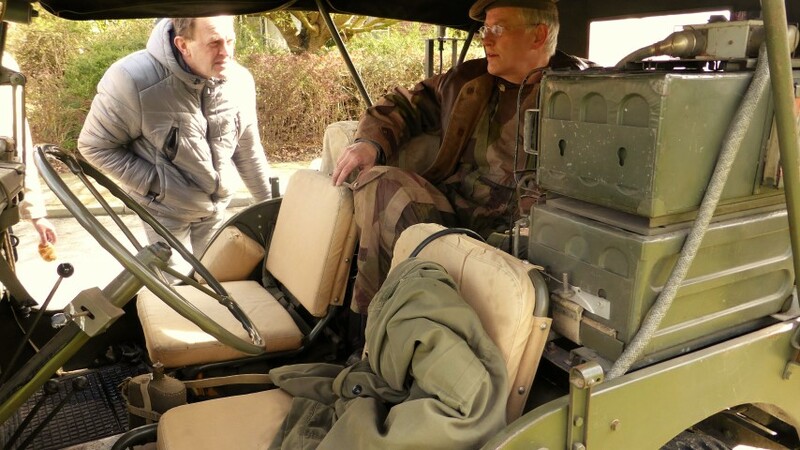 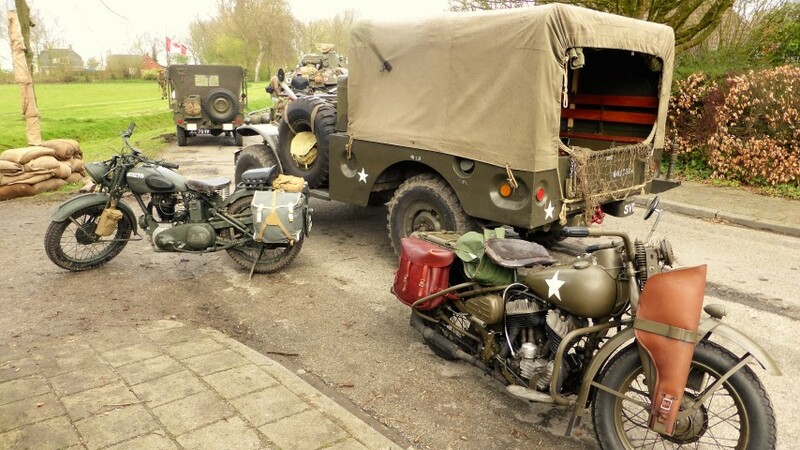 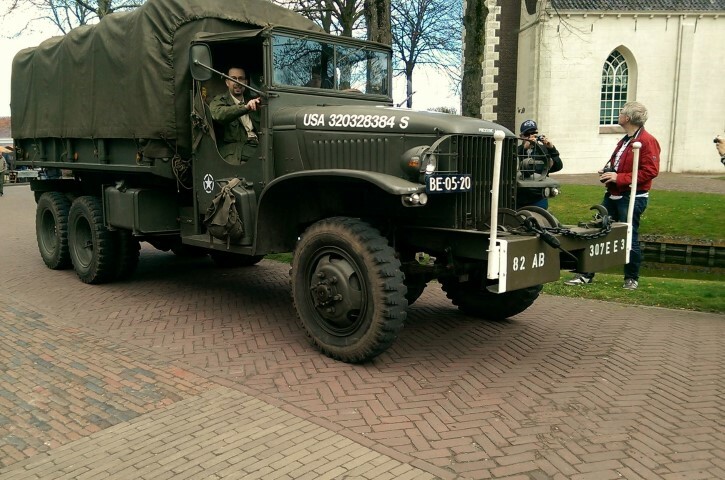 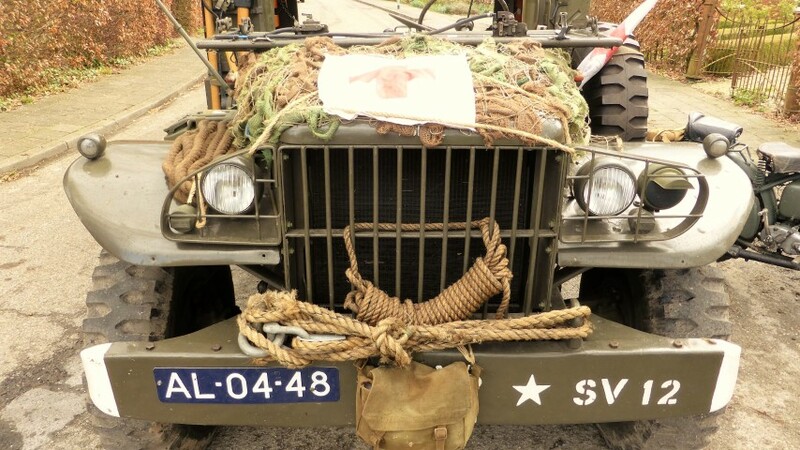 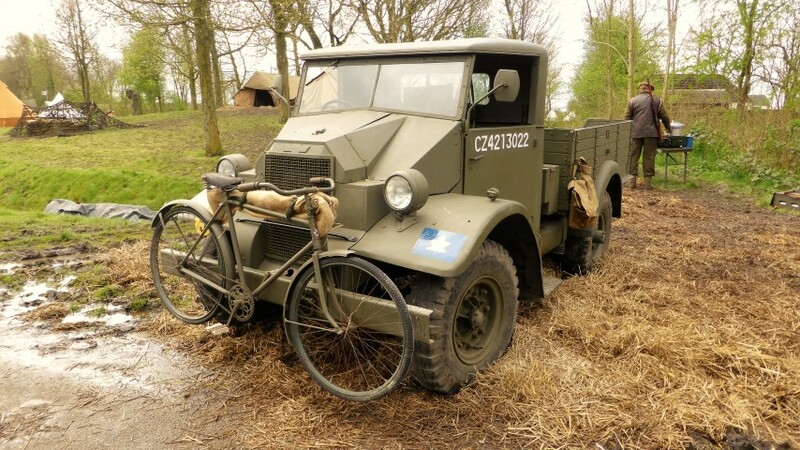 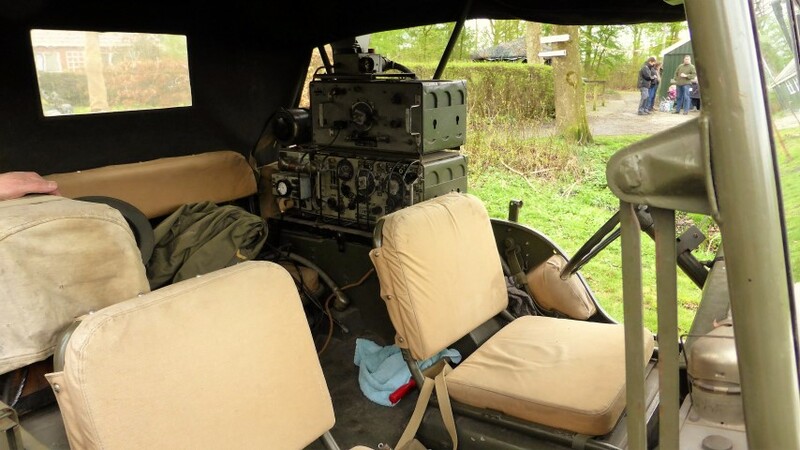 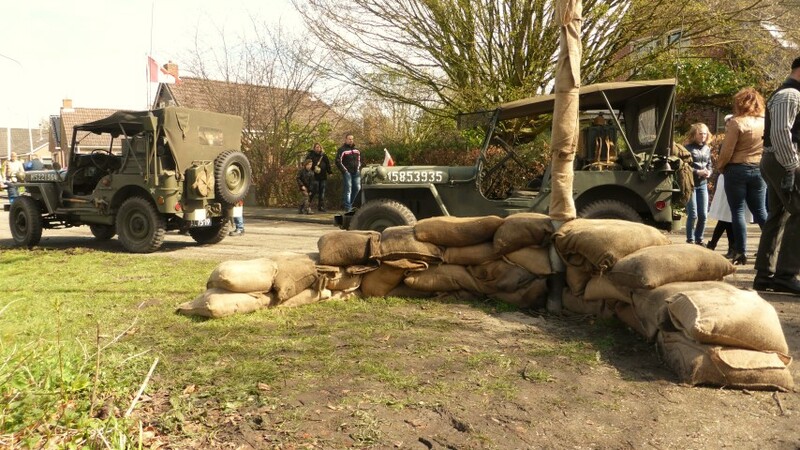 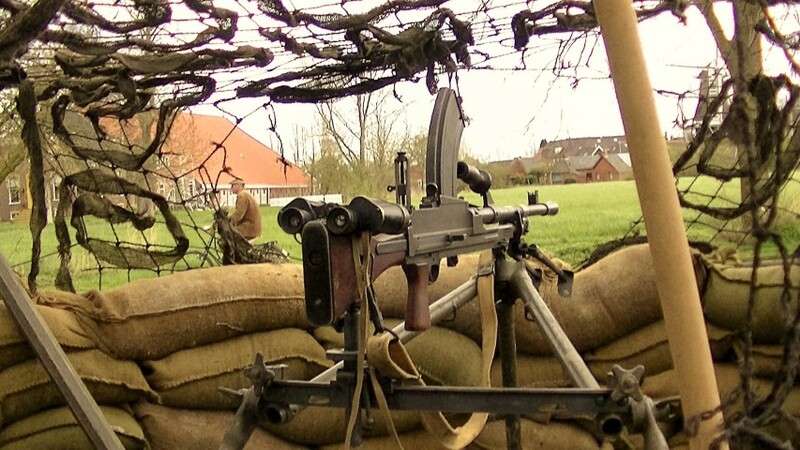 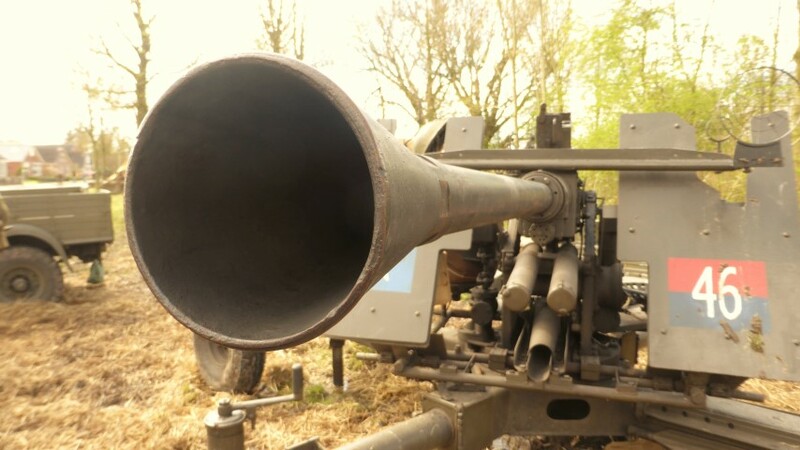 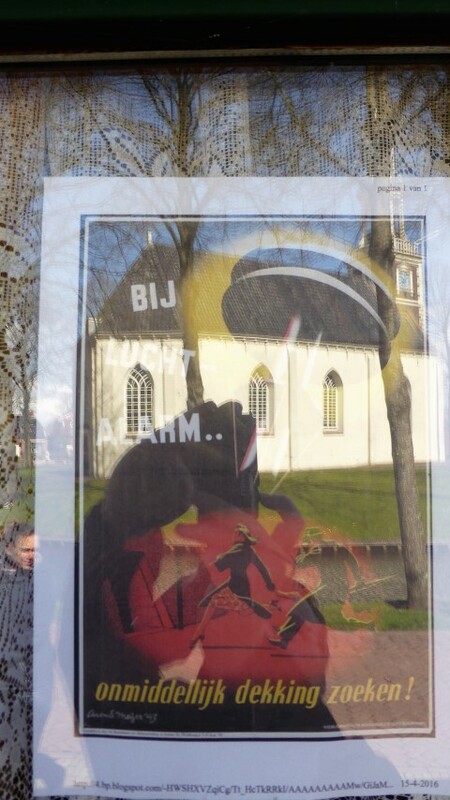 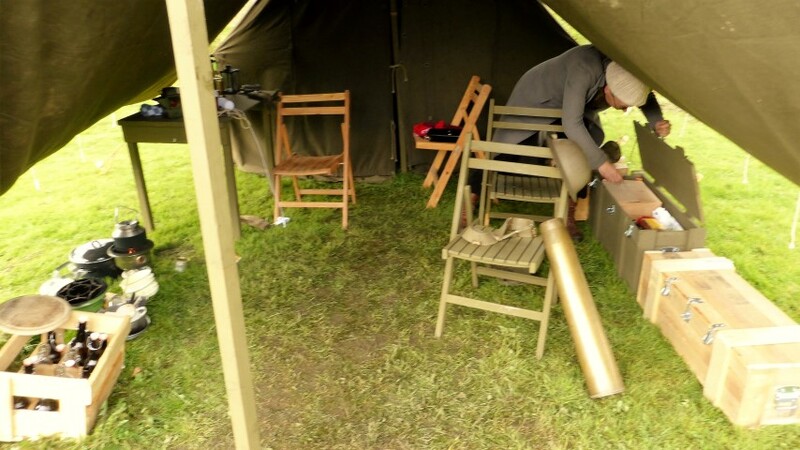 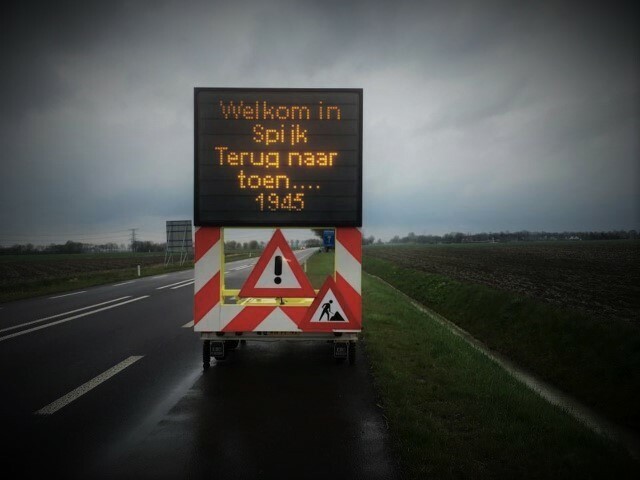 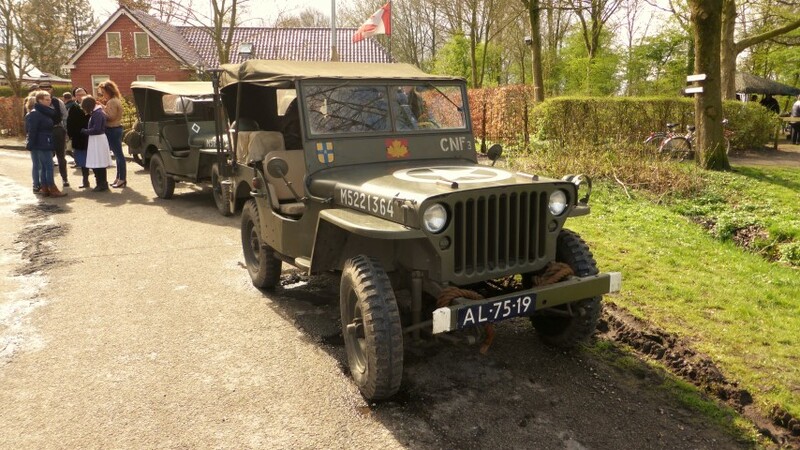 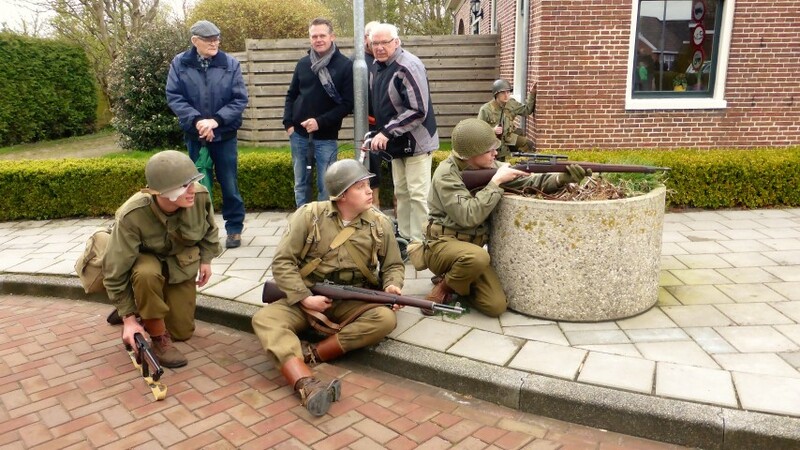 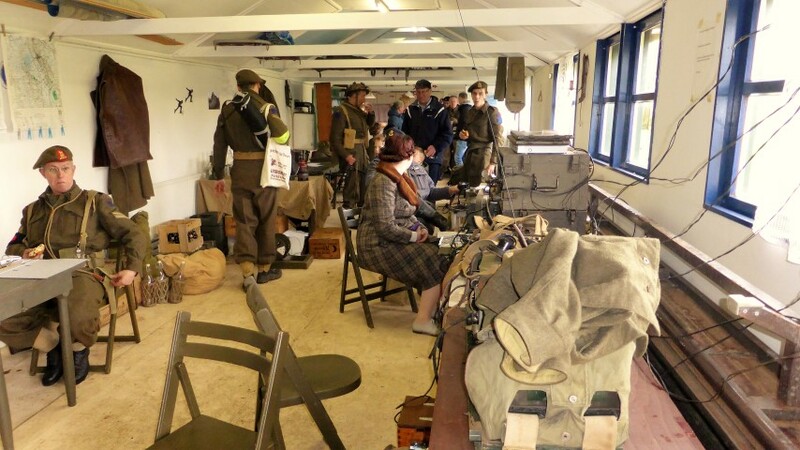 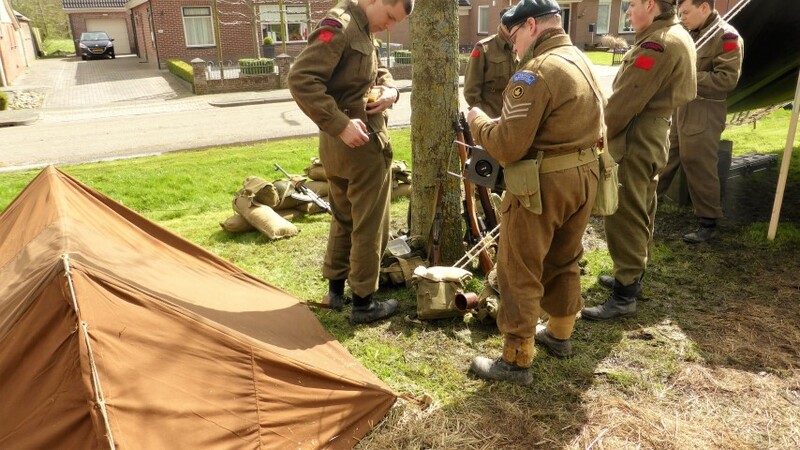 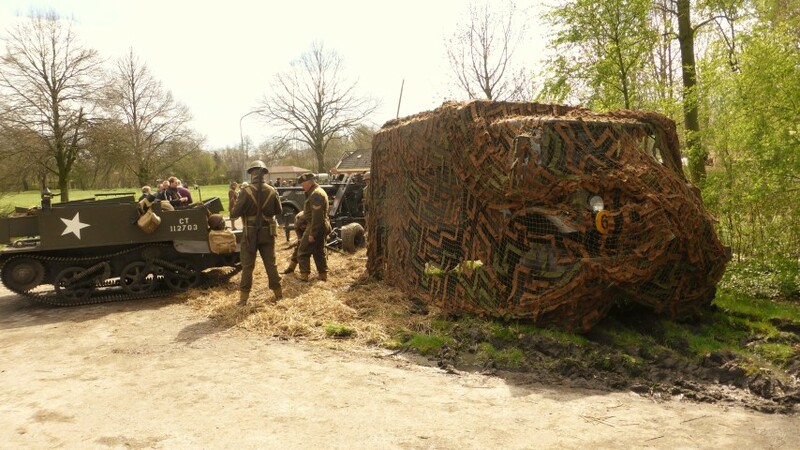 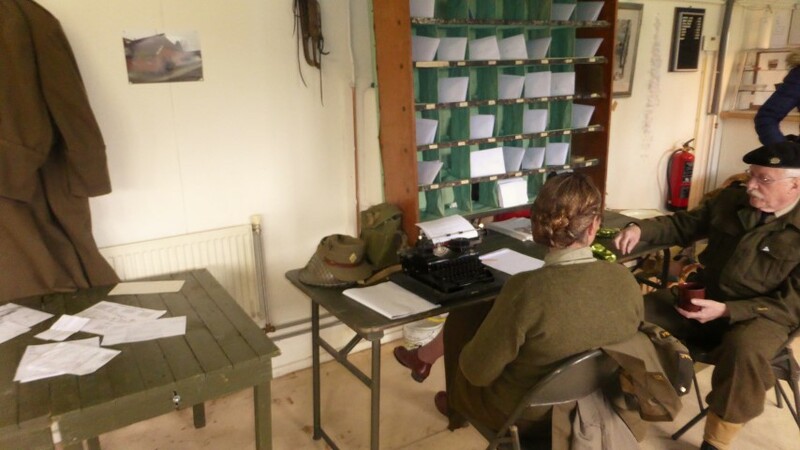 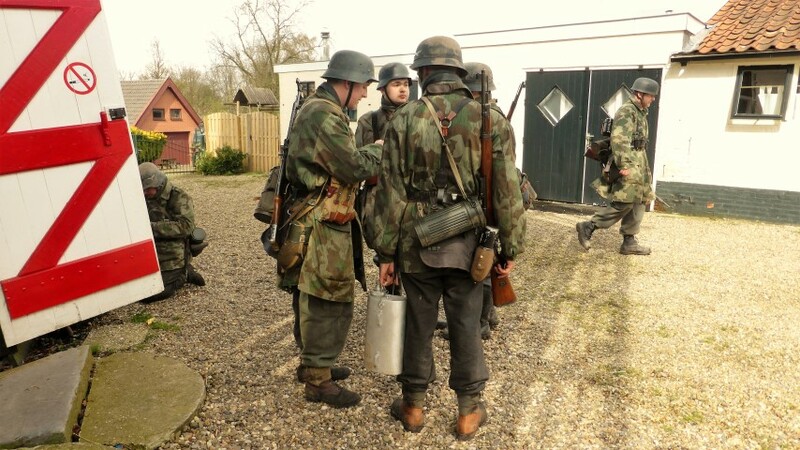 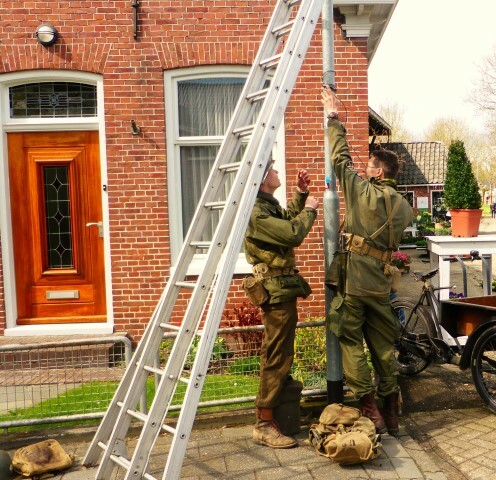 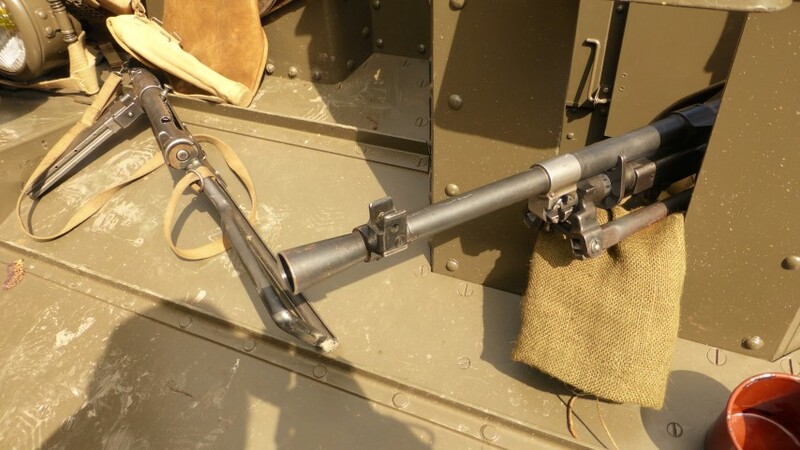 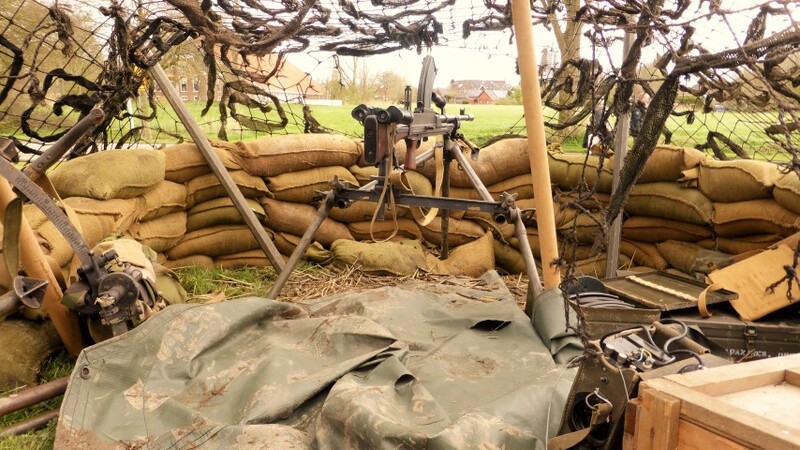 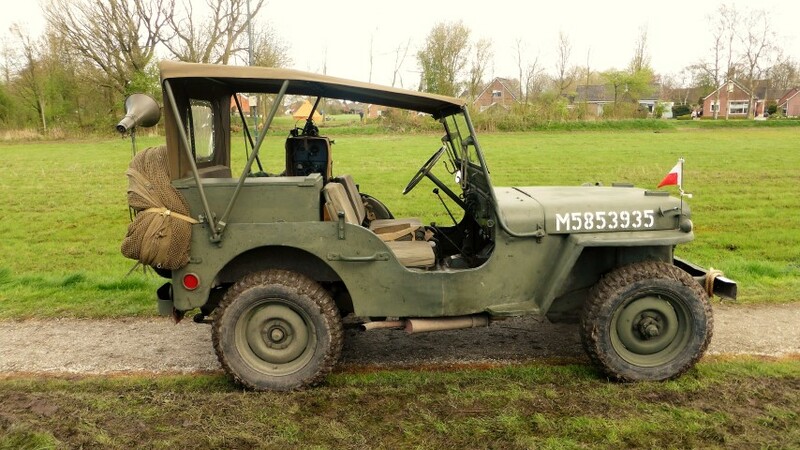 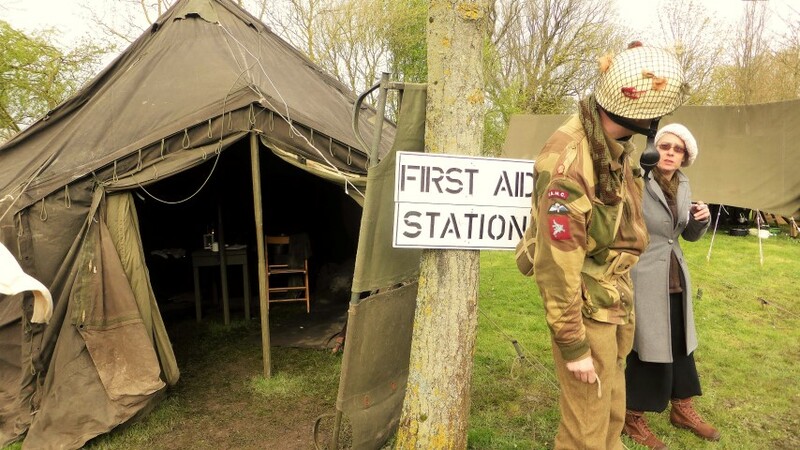 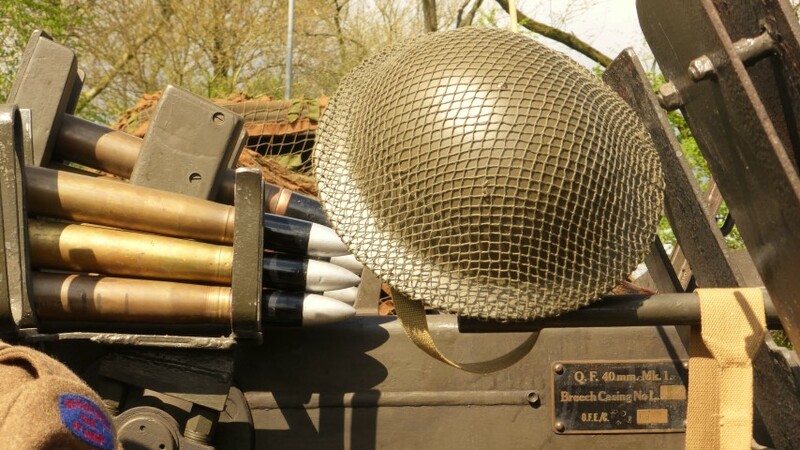 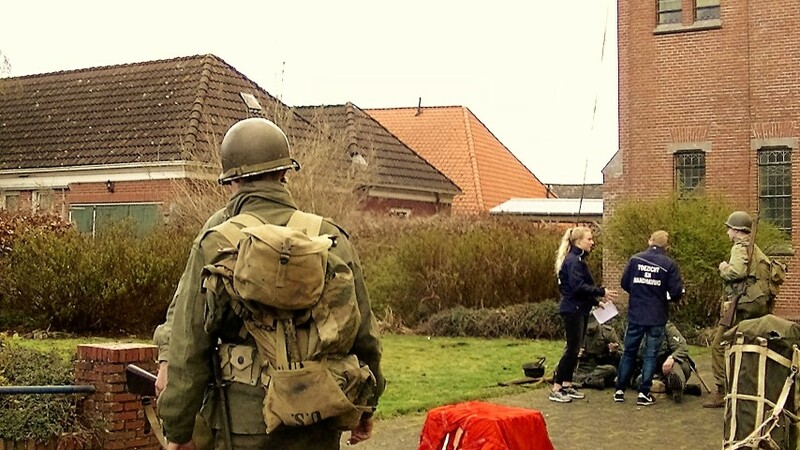 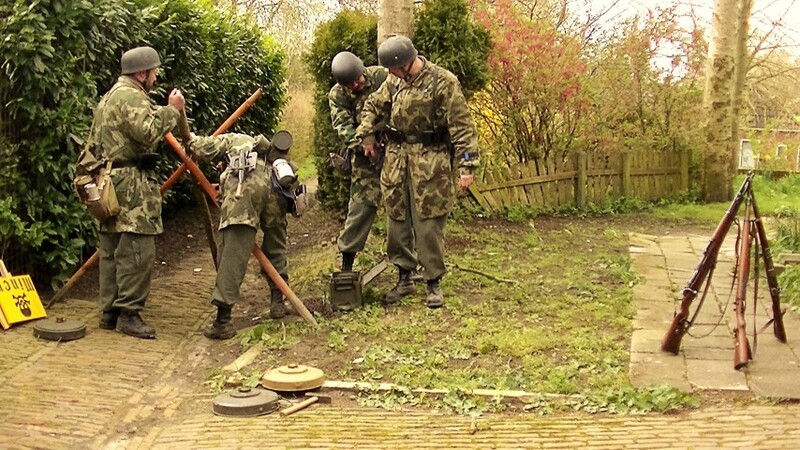 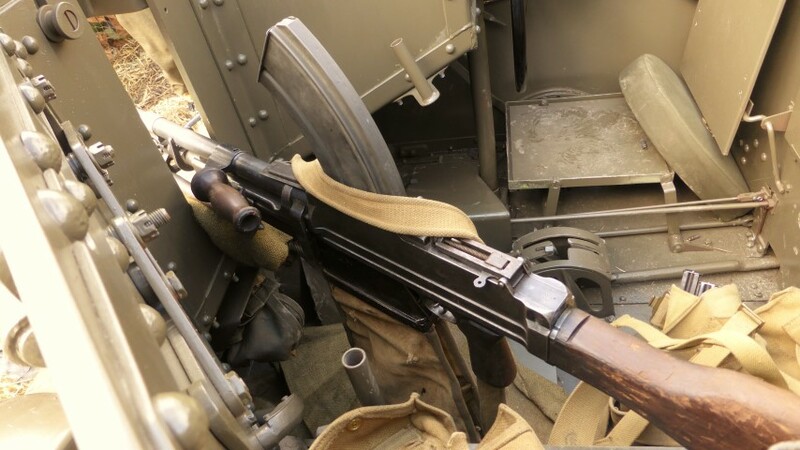 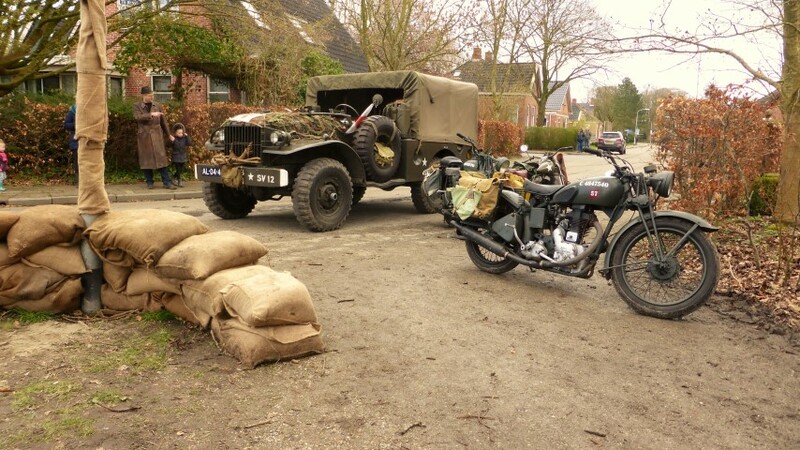 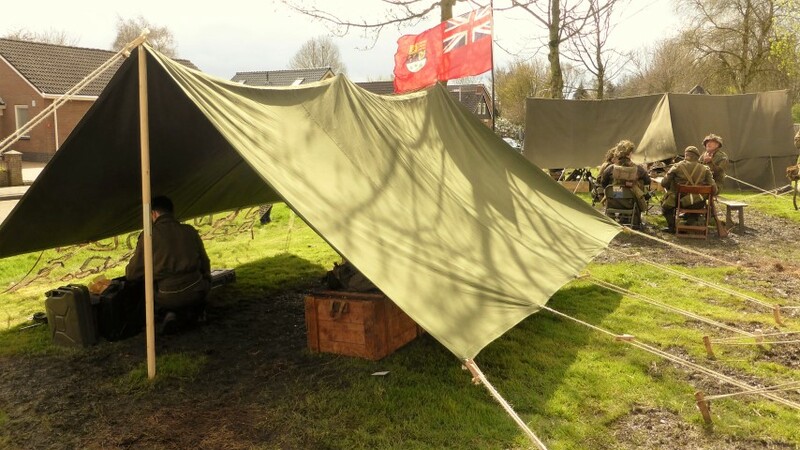 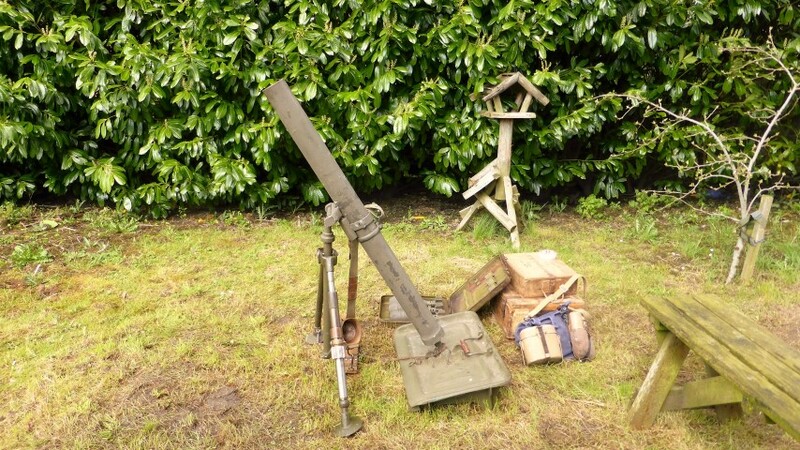 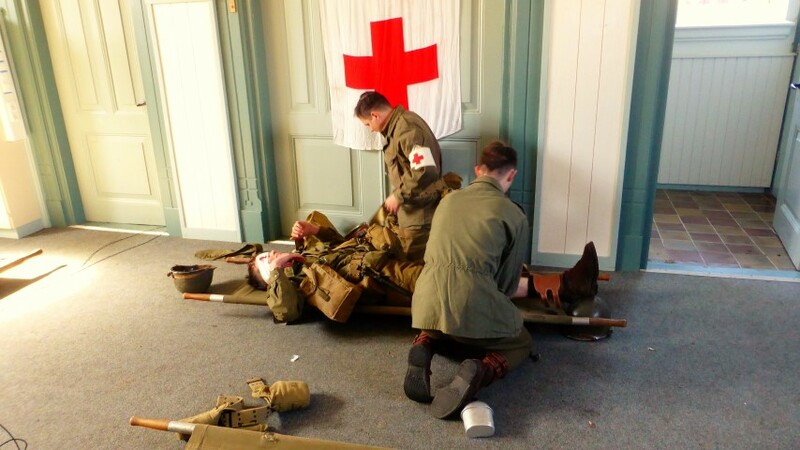 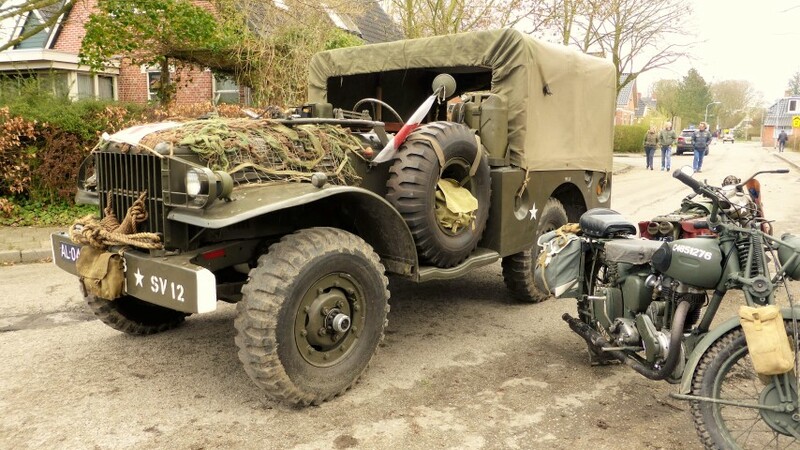 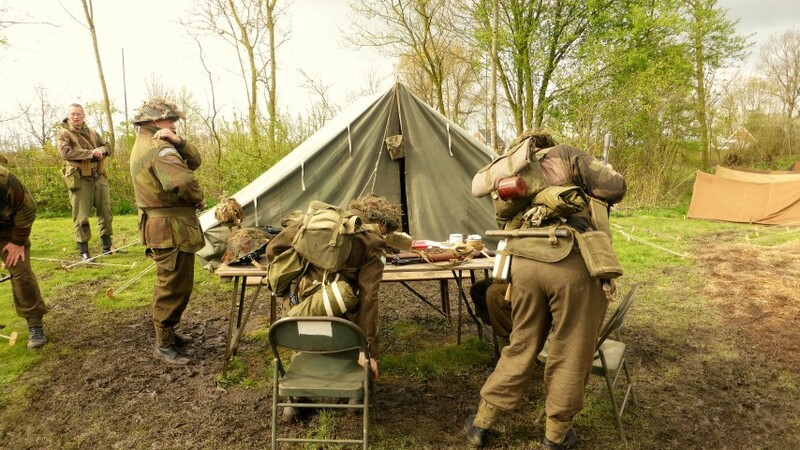 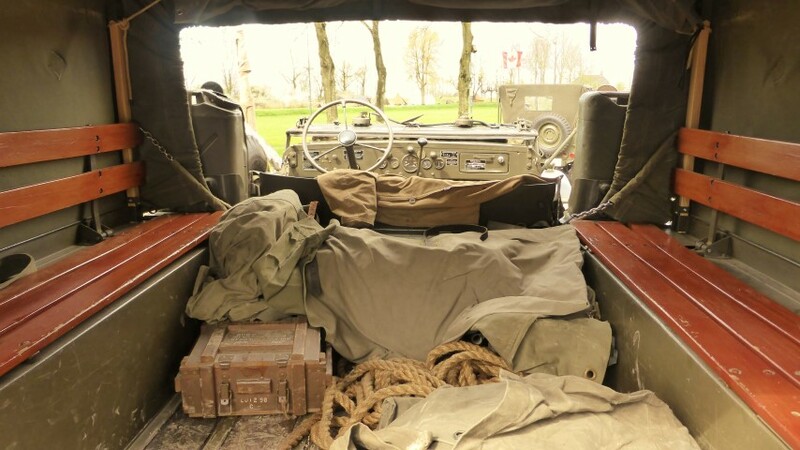 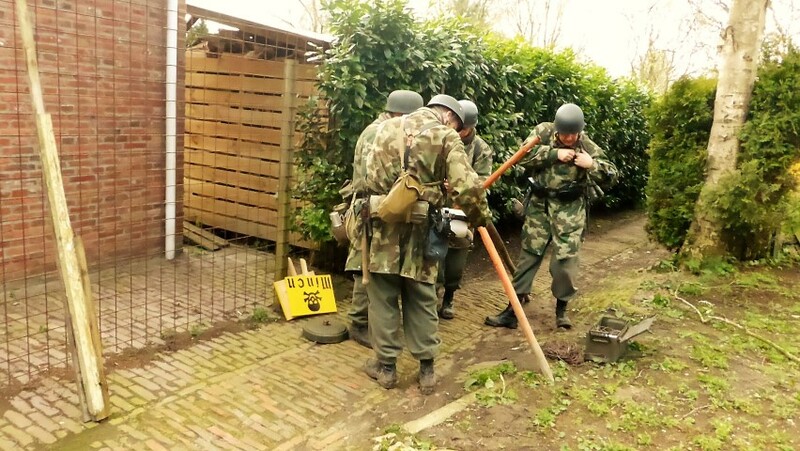 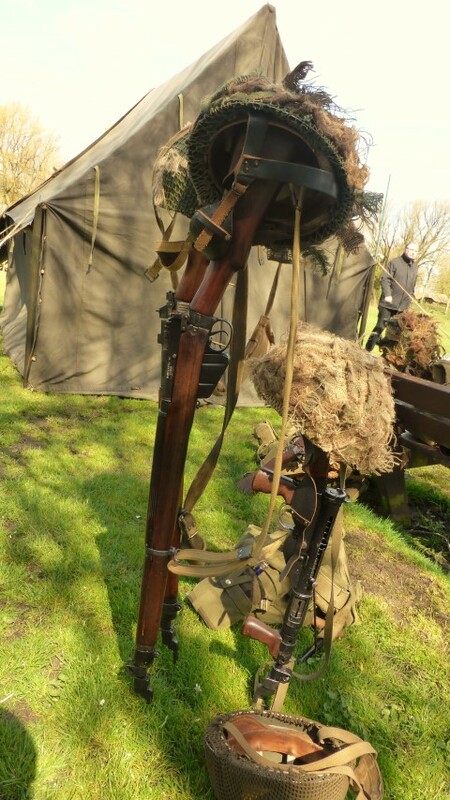 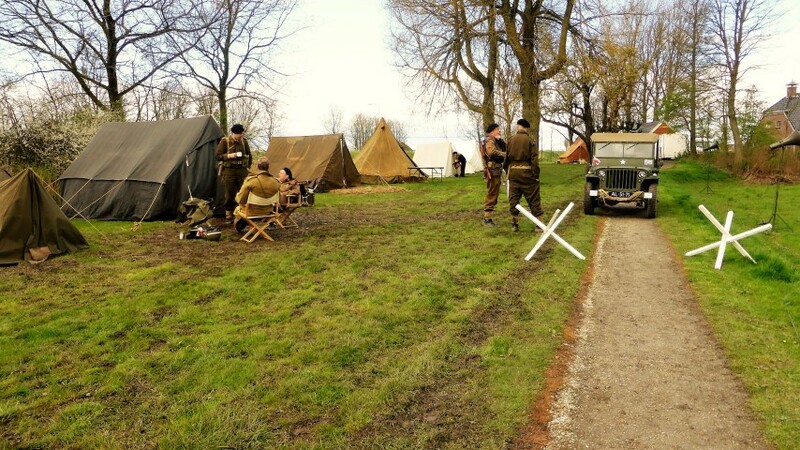 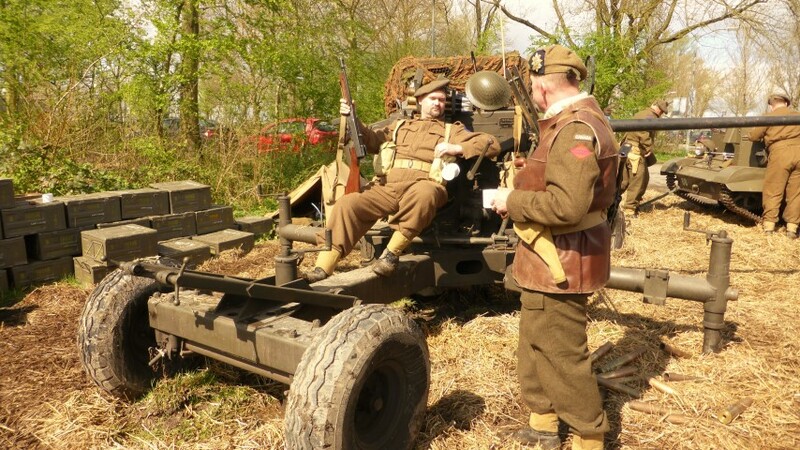 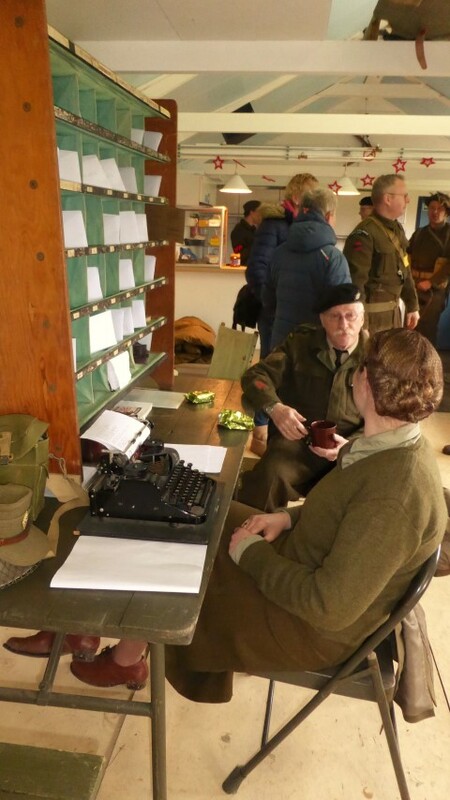 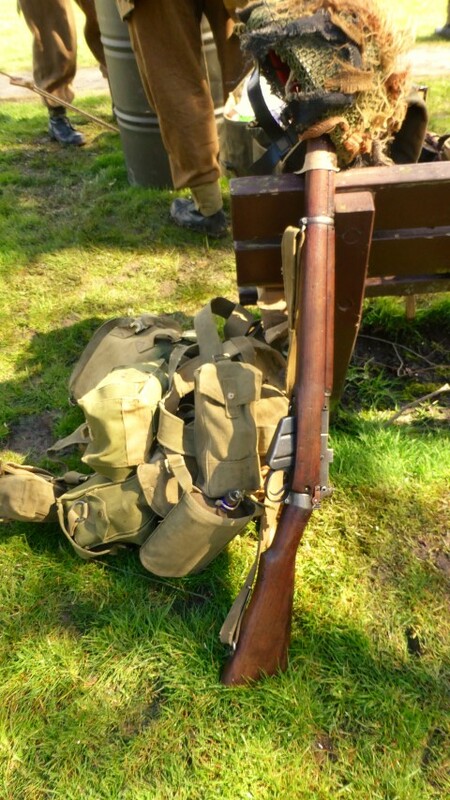 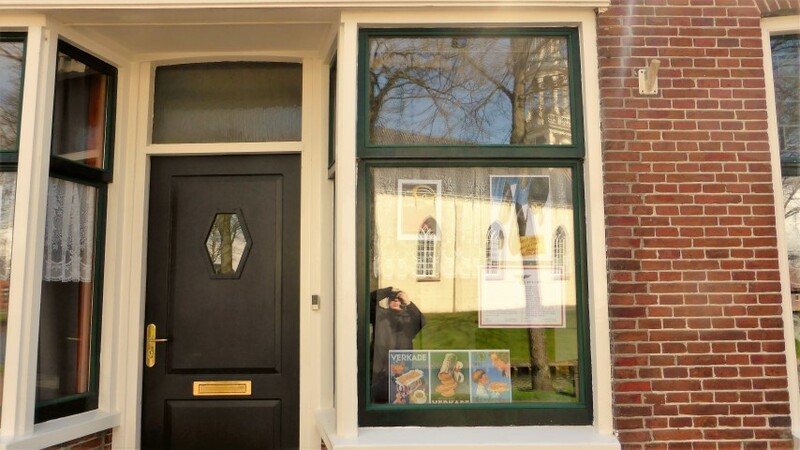 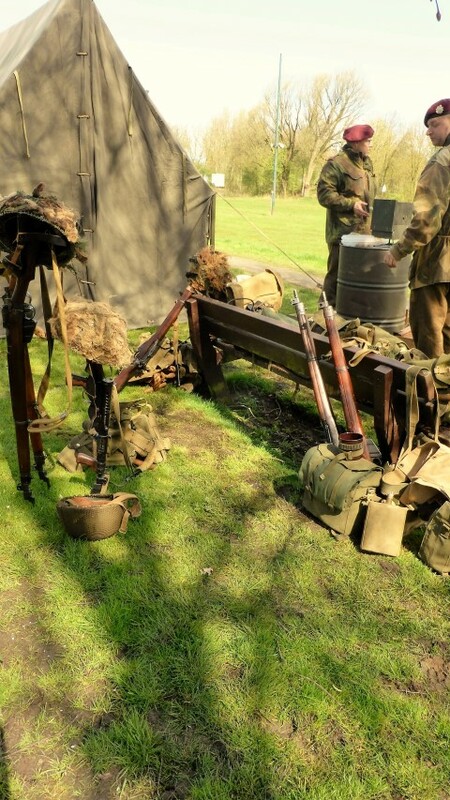 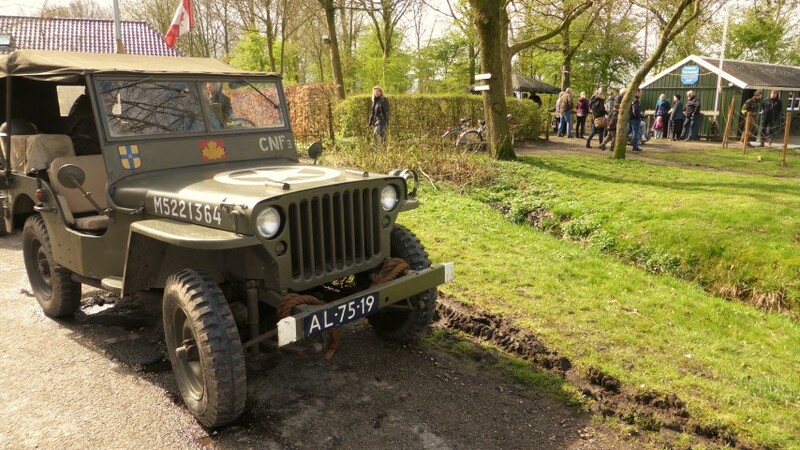 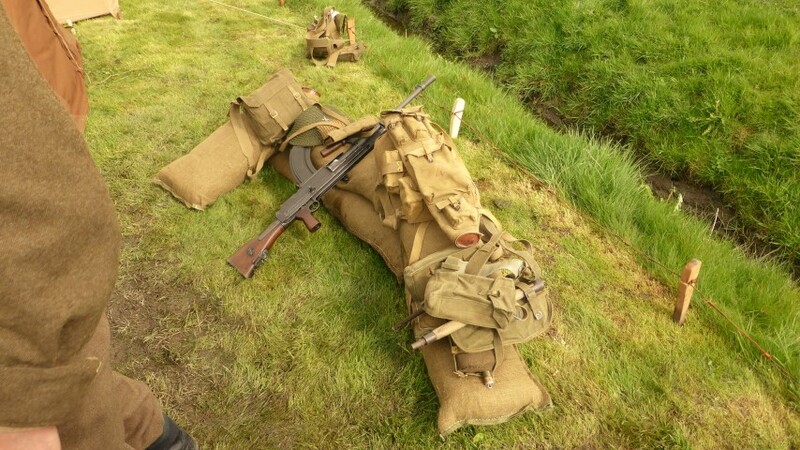 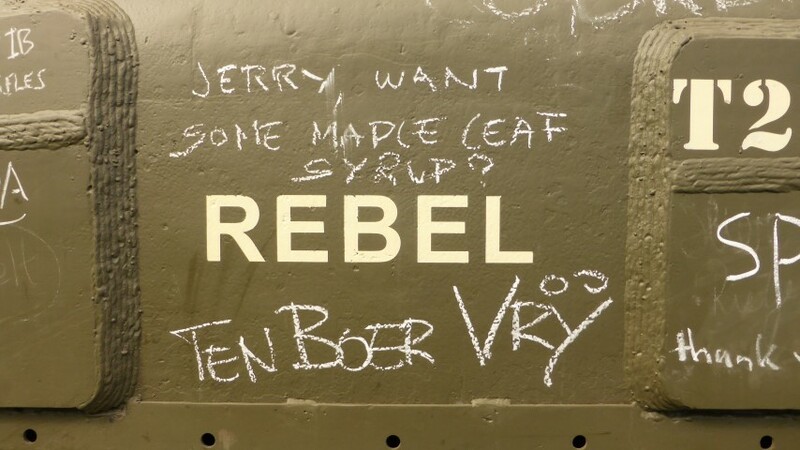 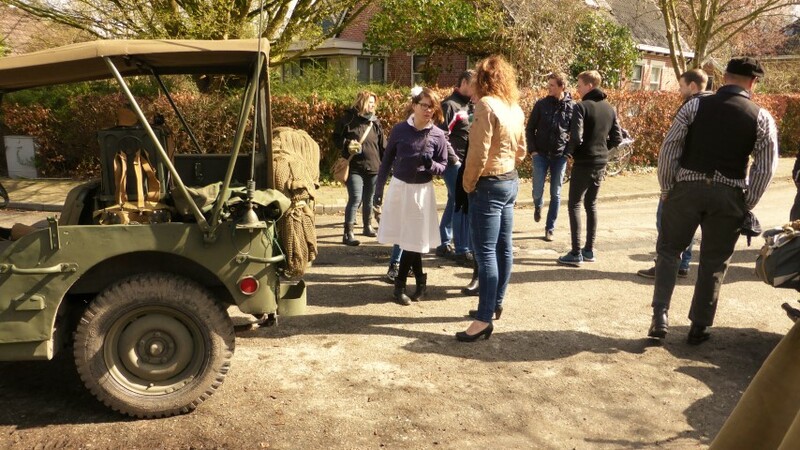 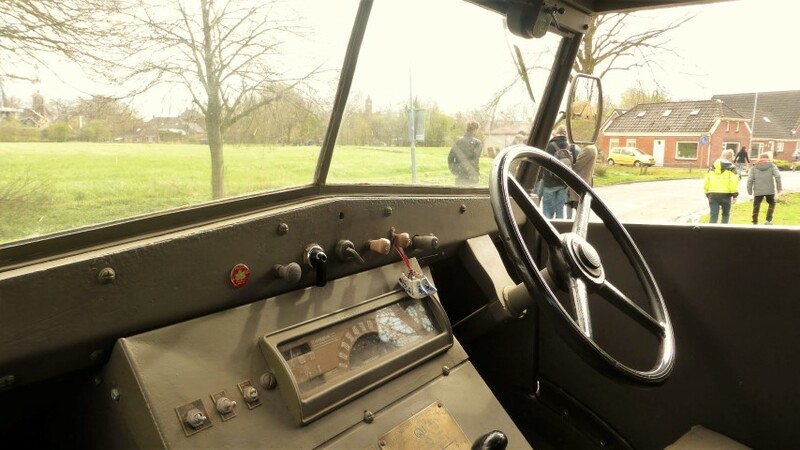 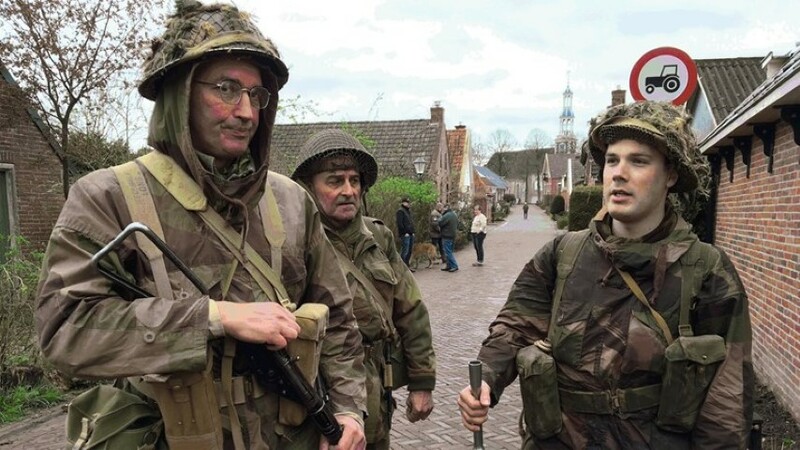 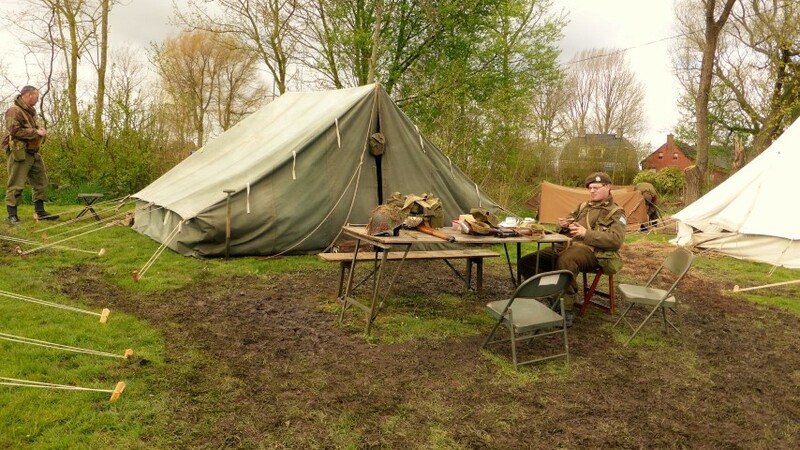 Watch photoshoot of Spijk returns to ... 1945 on Saturday 16 April 2016.